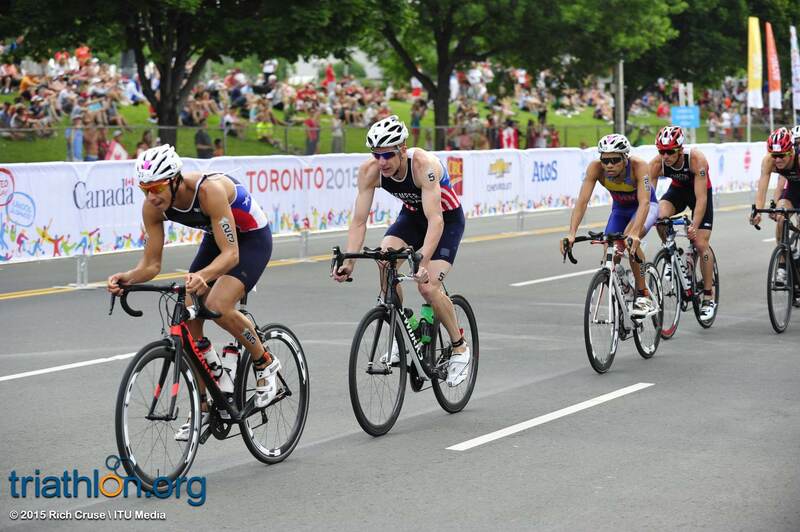 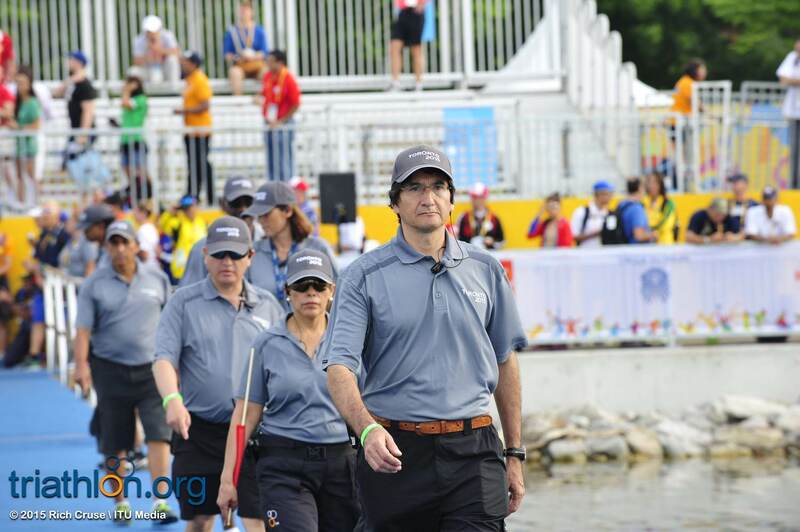 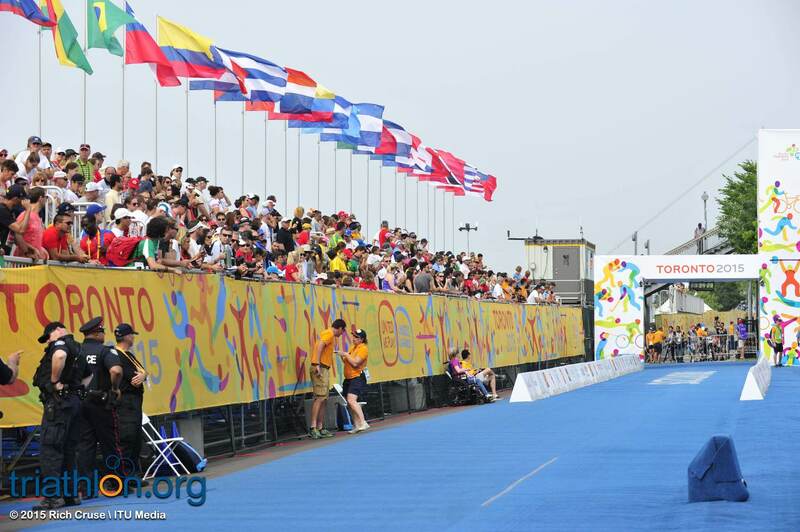 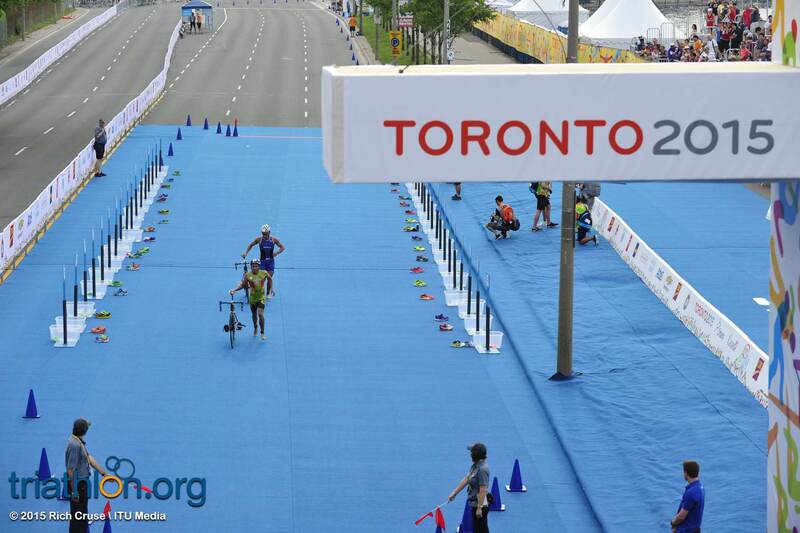 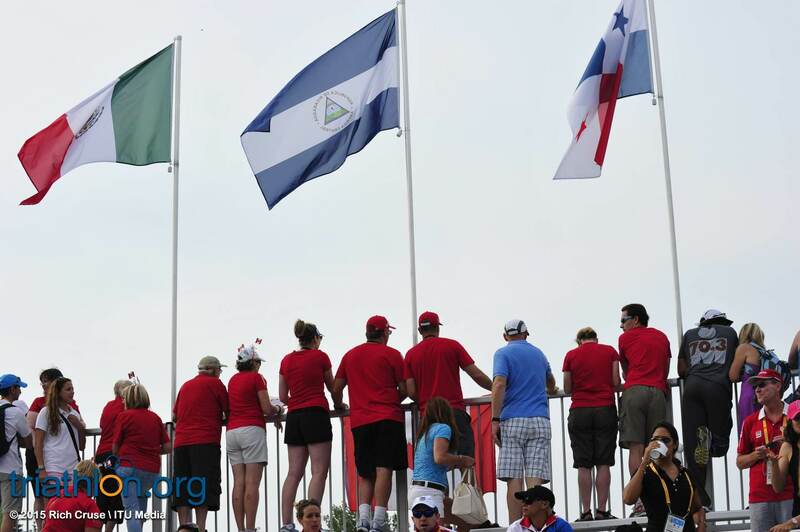 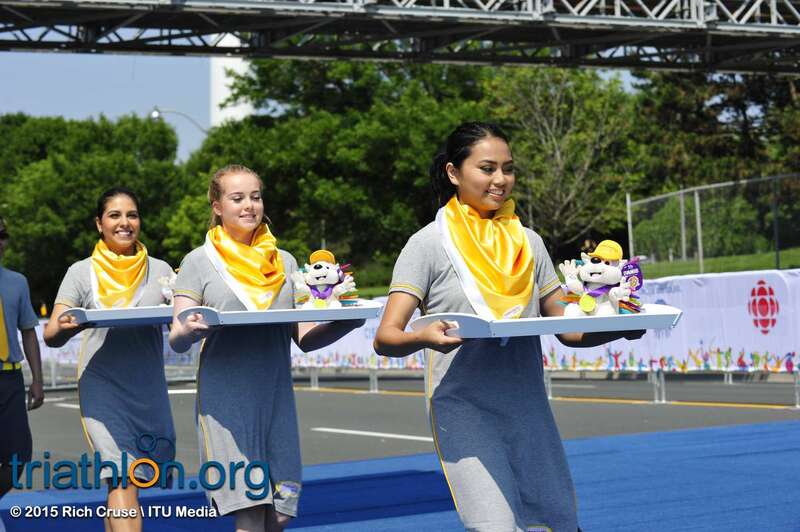 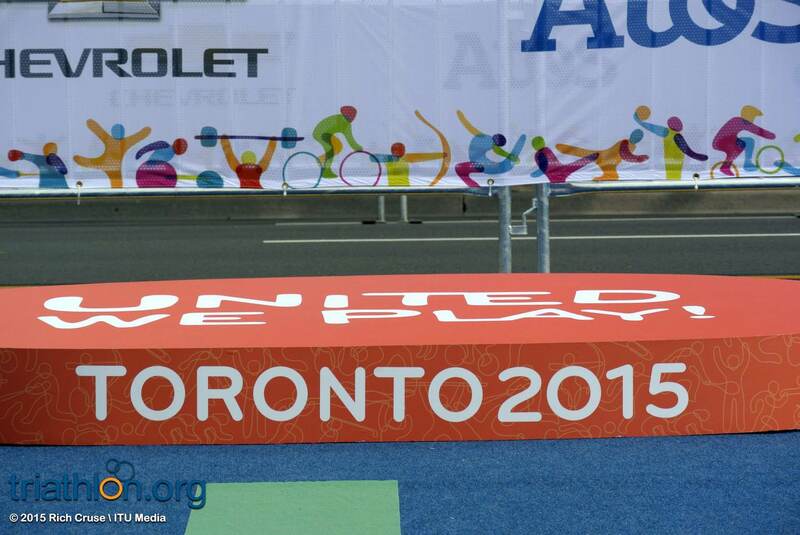 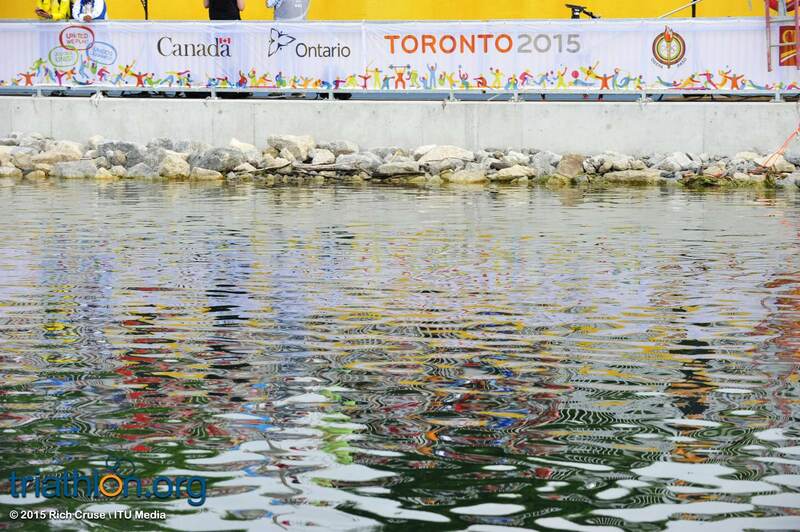 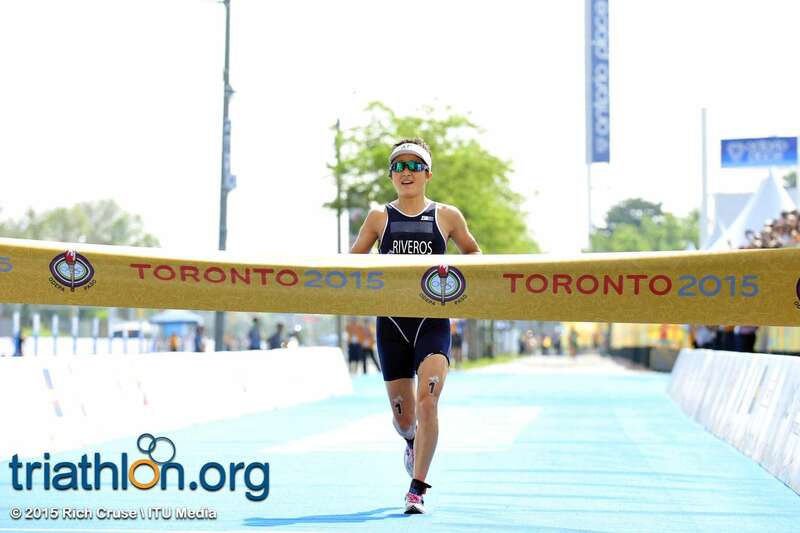 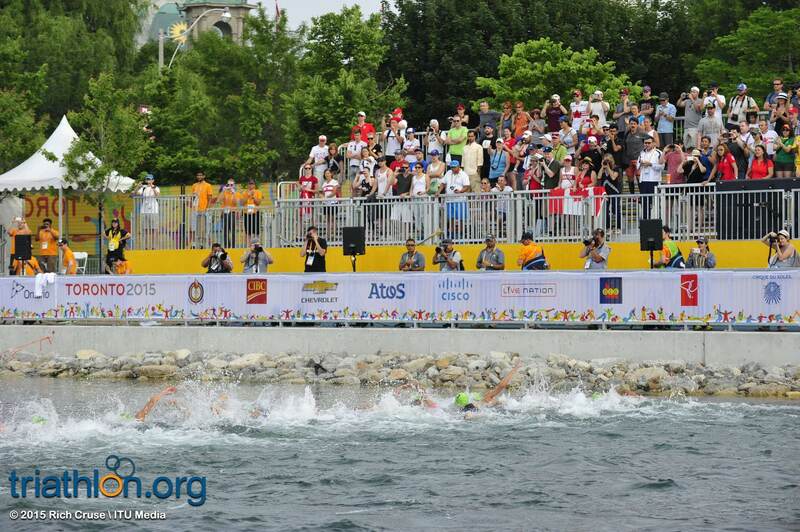 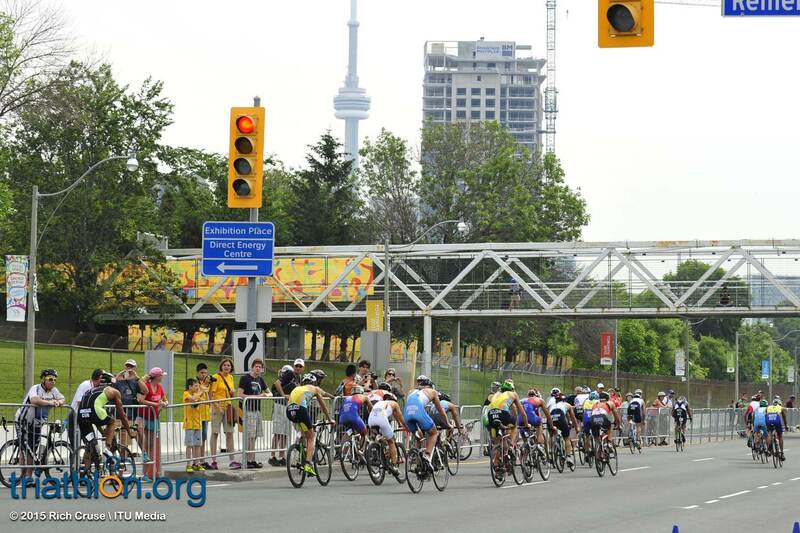 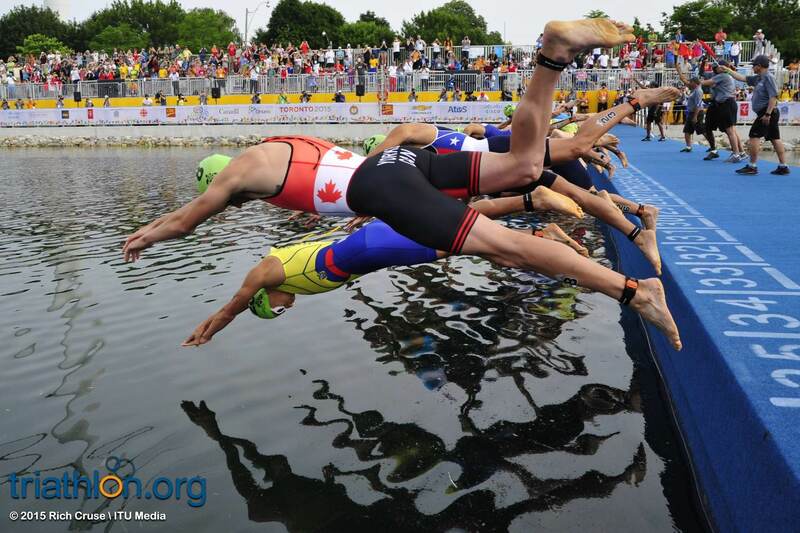 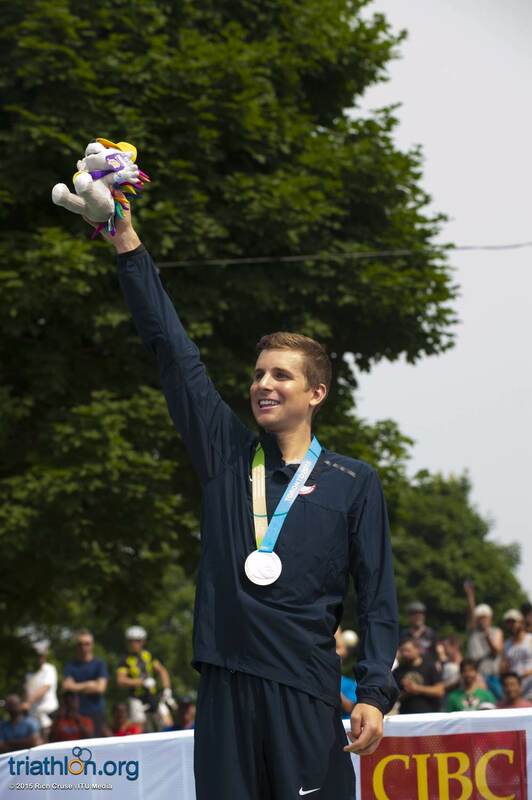 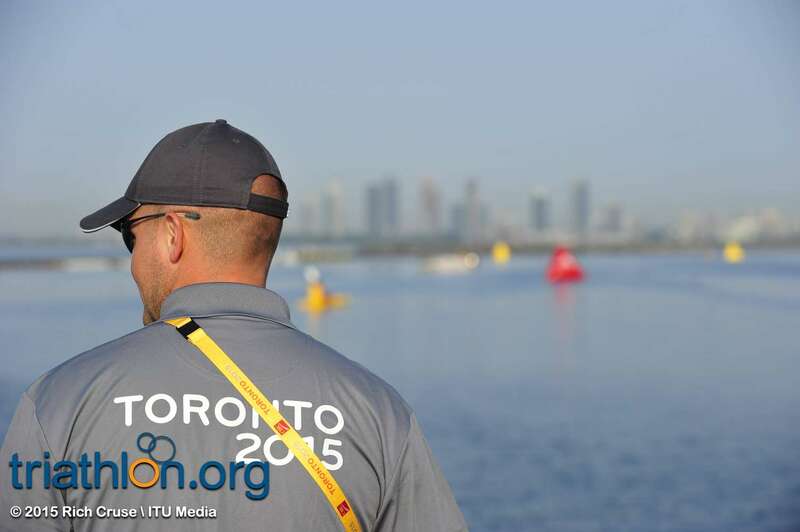 A feat that occurs every four years, the Pan American Games returns this weekend in Toronto, Canada. 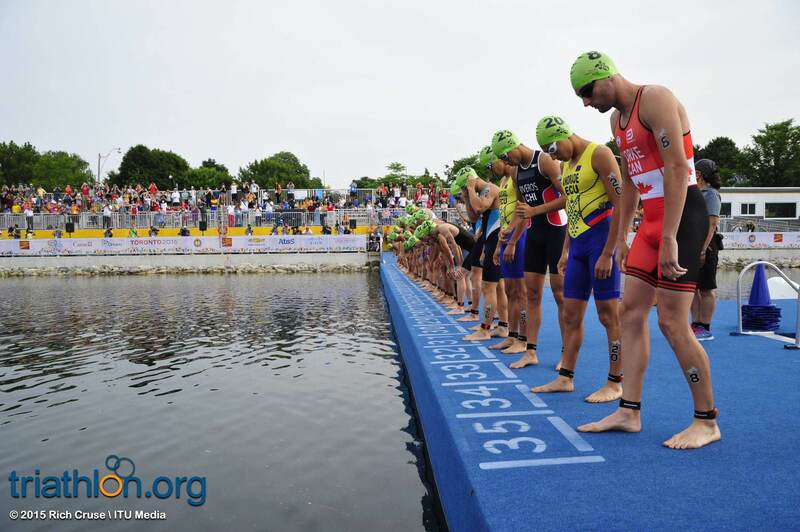 With start lists packed with talent on both the men’s and women’s side, the competition is expected to be as fierce as ever since the winner of each race will give their home country an automatic qualifying spot for the Rio Olympic Games next summer. 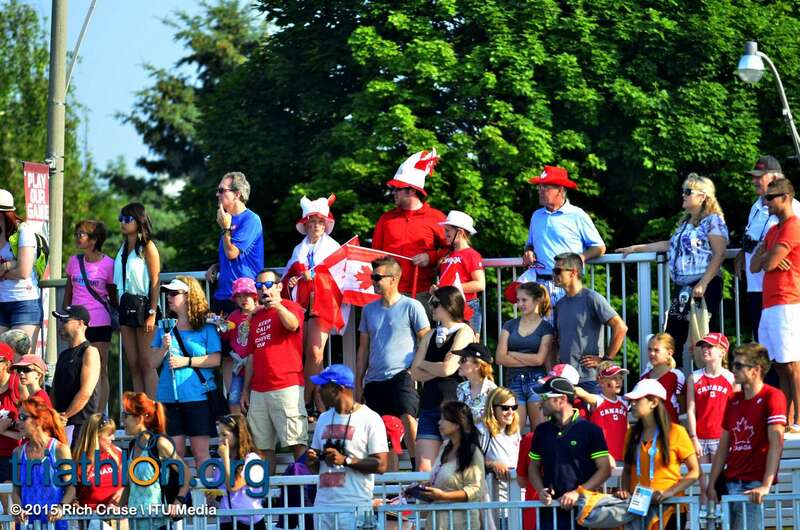 Representing the host country, the Canadian team has a strong lineup that is sure to evoke some Canuck pride with the local spectators. 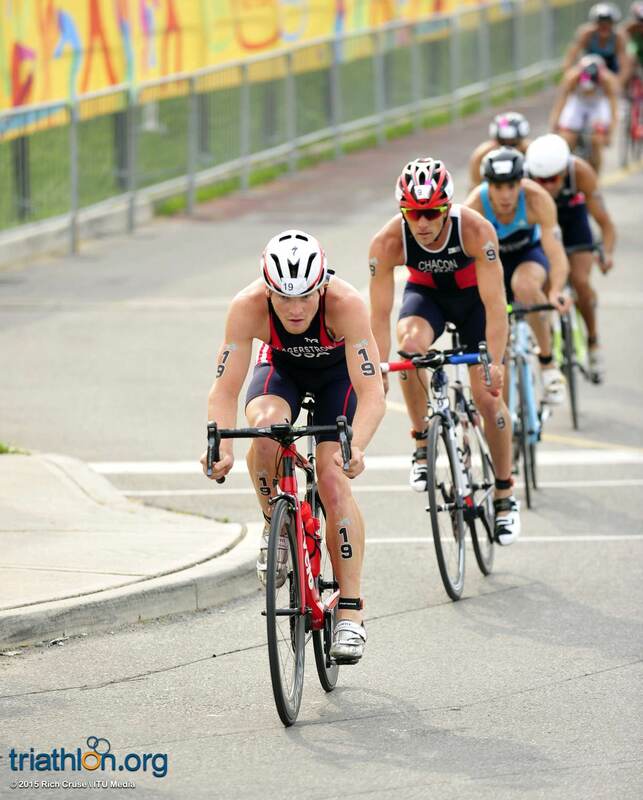 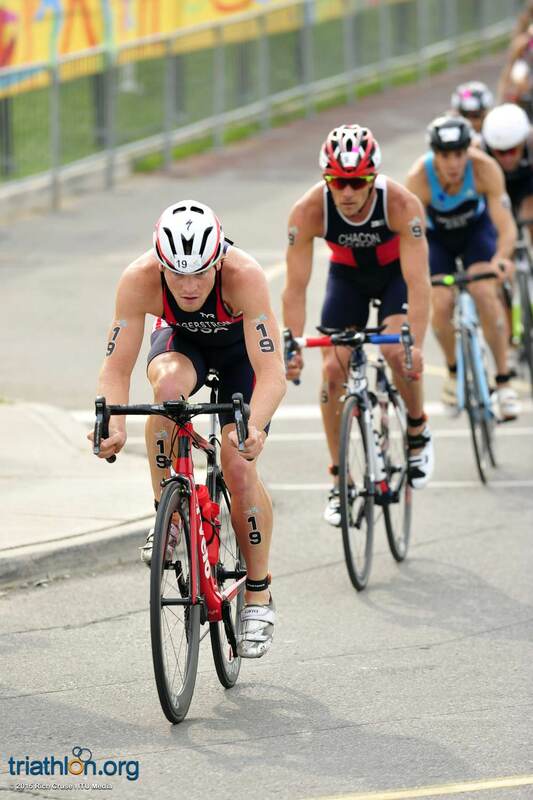 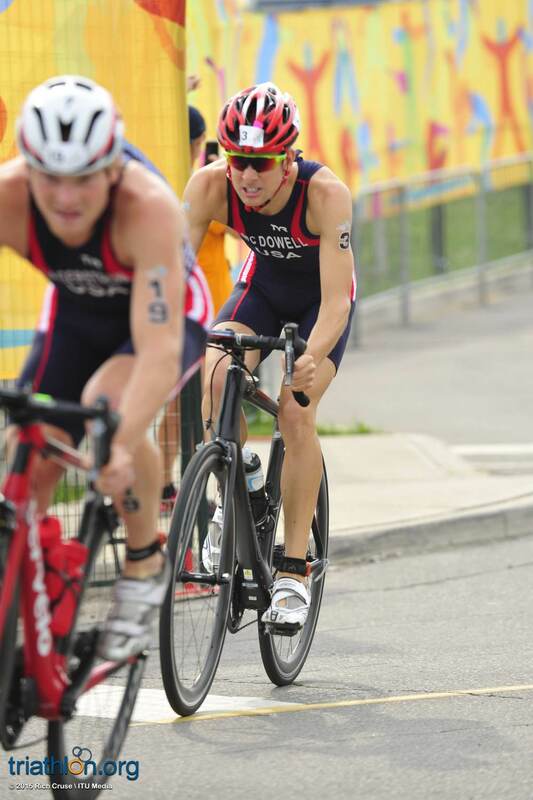 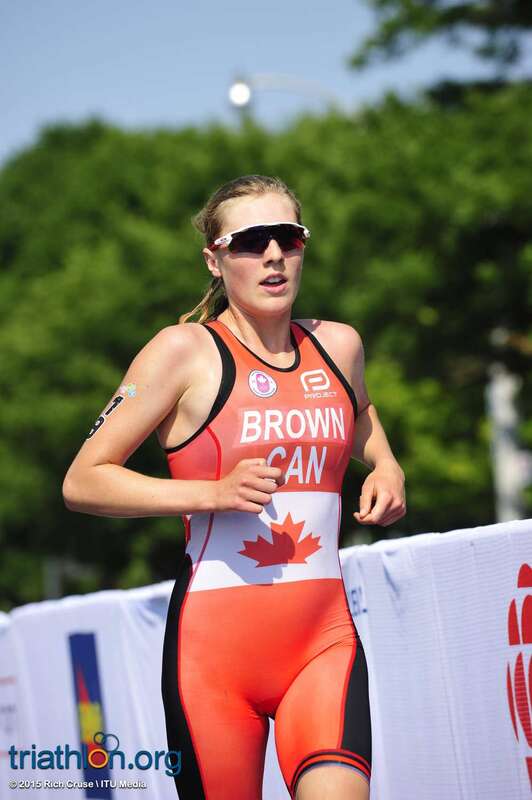 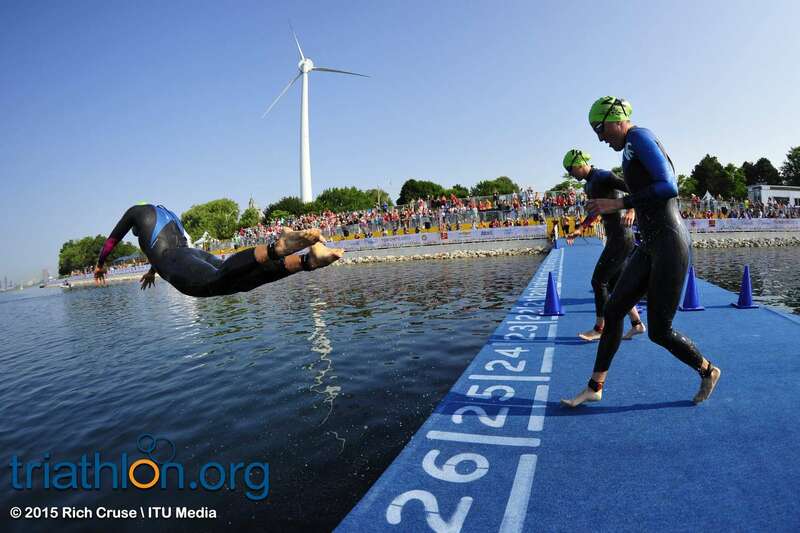 Paula Findlay (CAN) dominated the triathlon circuit back in 2010 and 2011, ranking first in the then 2011 Dextro Energy World Championships after winning three consecutive races in Sydney, Madrid and Kitzbuehel. 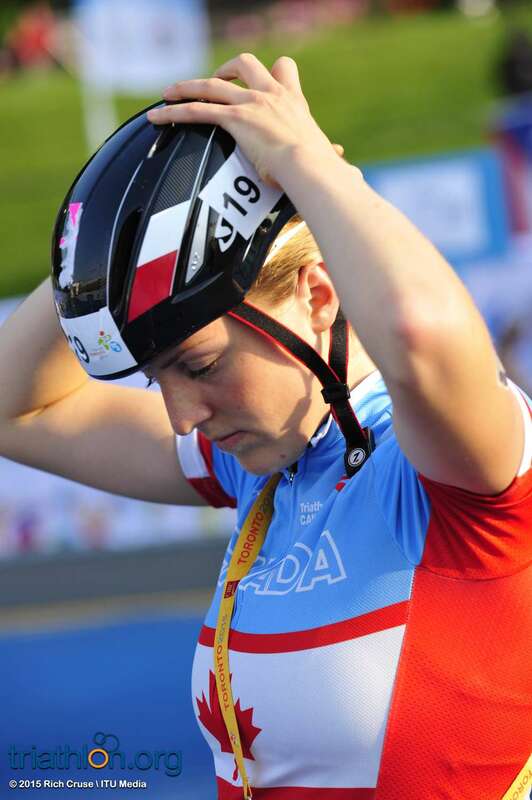 While her reign was brought to a halt however when she suffered a hip injury, Findlay has worked on her recovery and her climb back to her former glory. 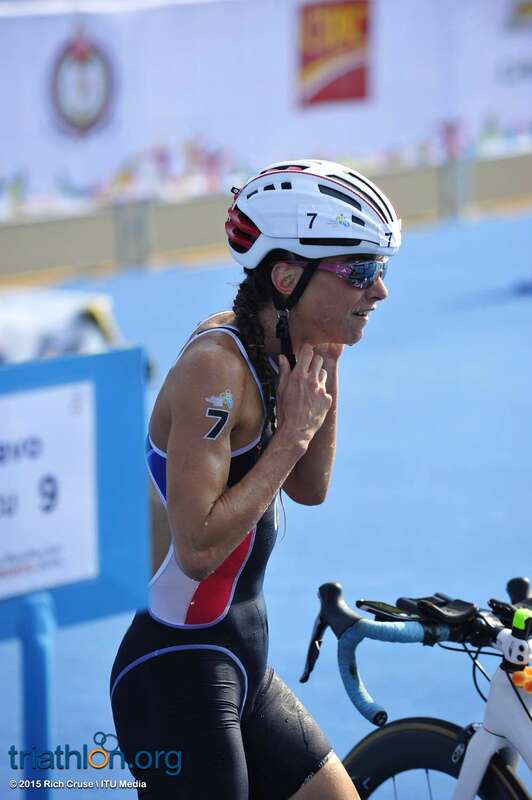 She had a top-ten finish in the WTS London race back in May. 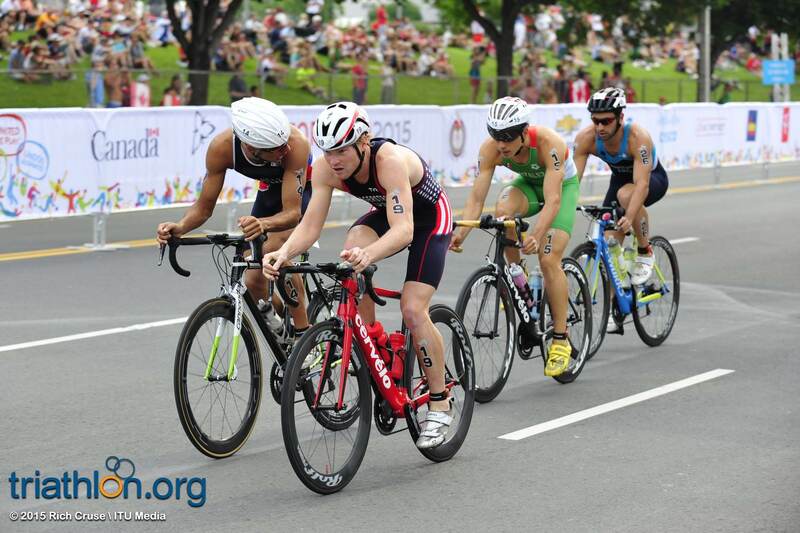 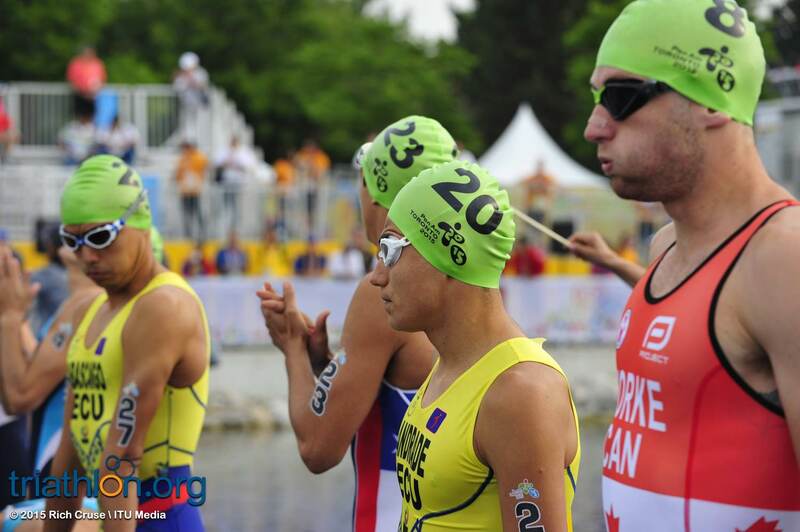 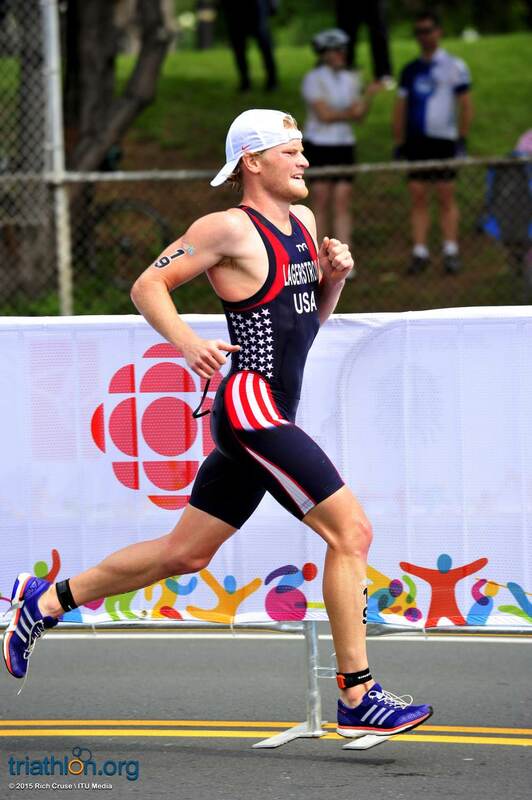 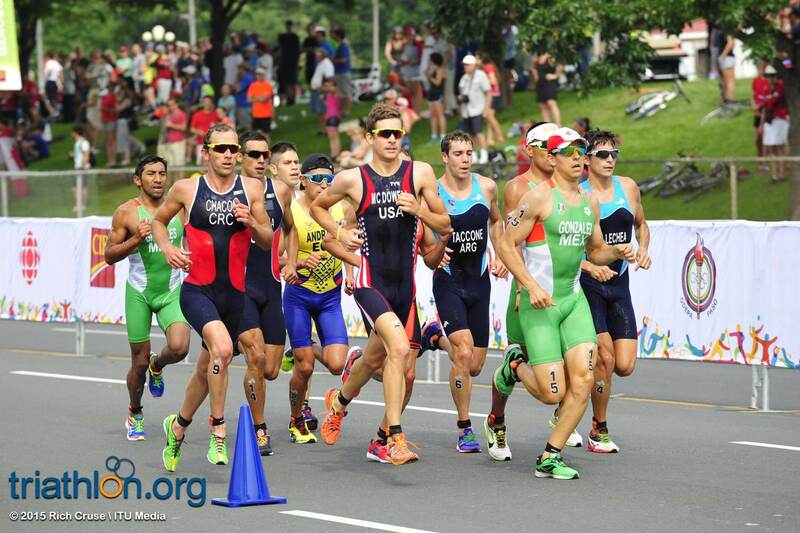 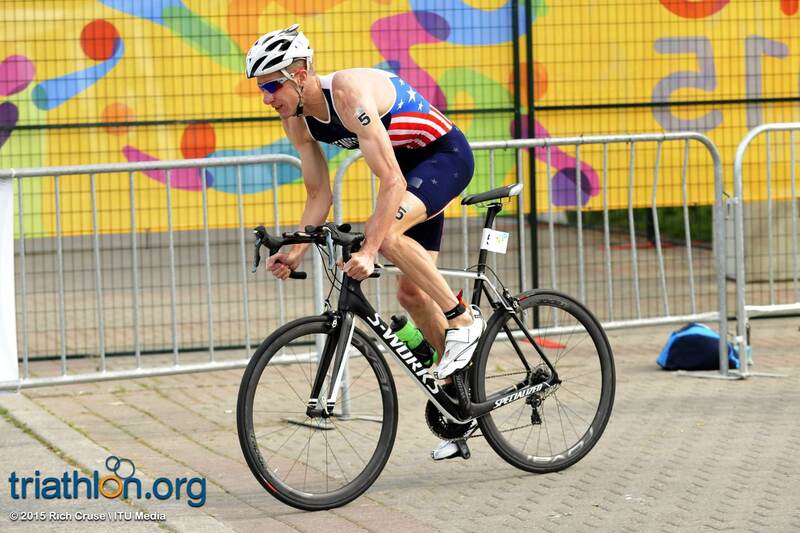 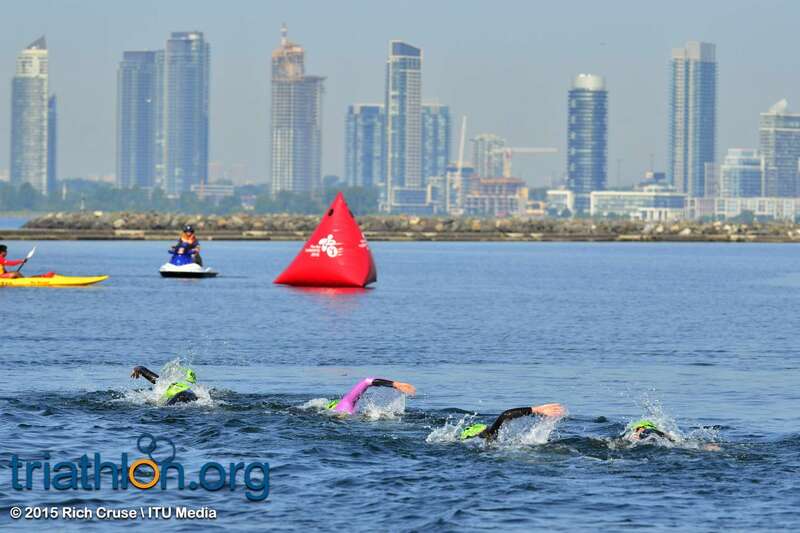 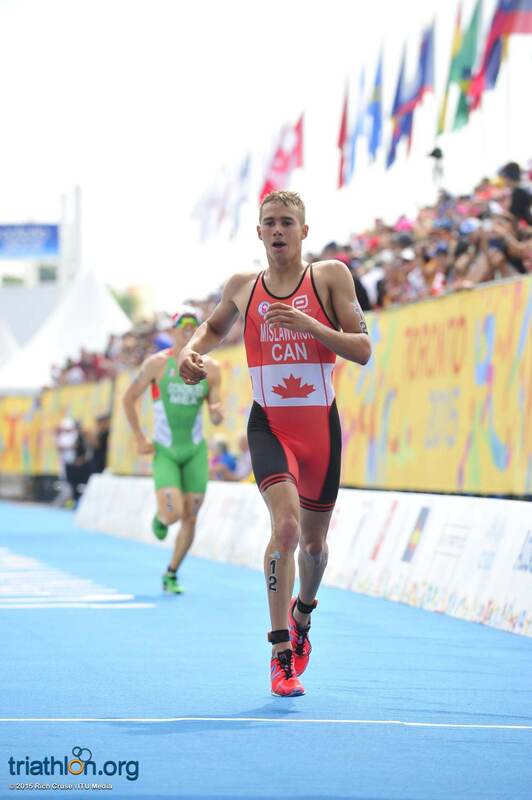 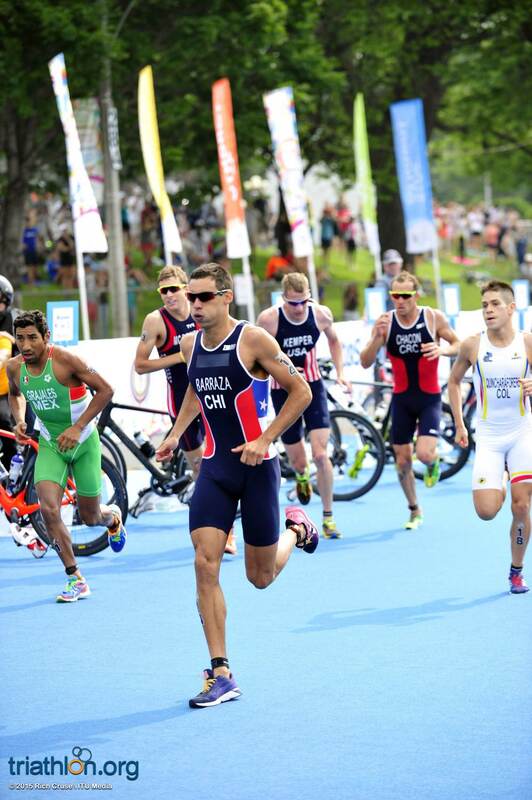 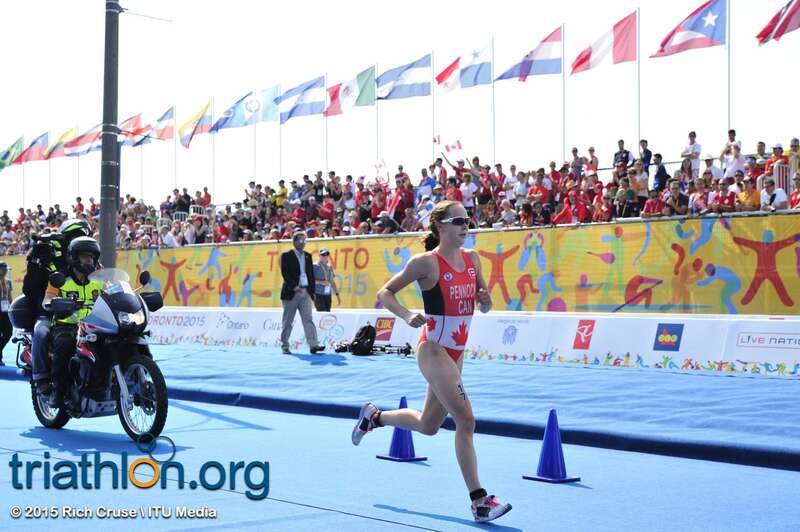 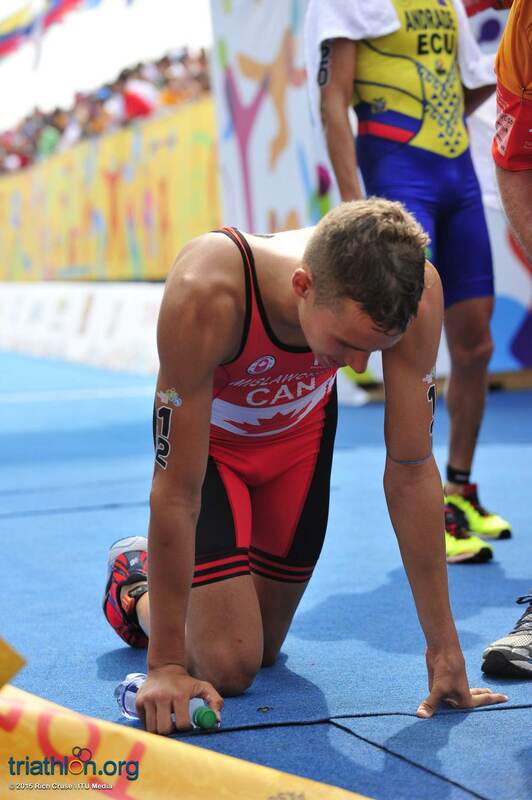 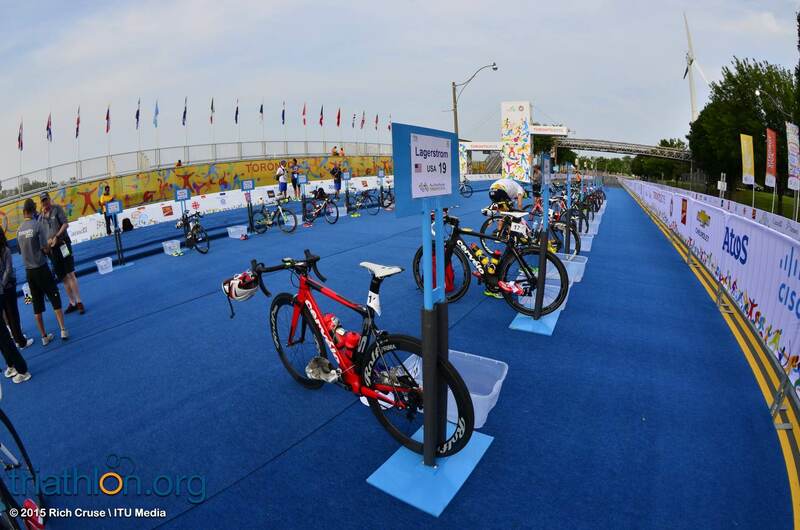 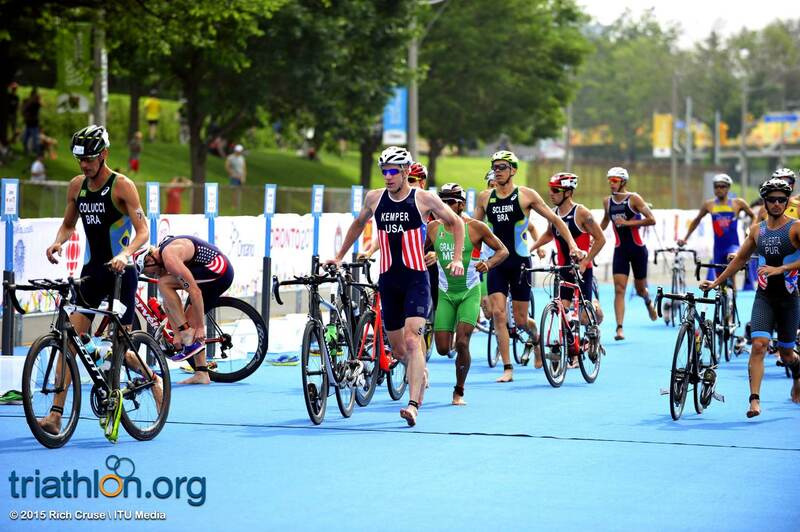 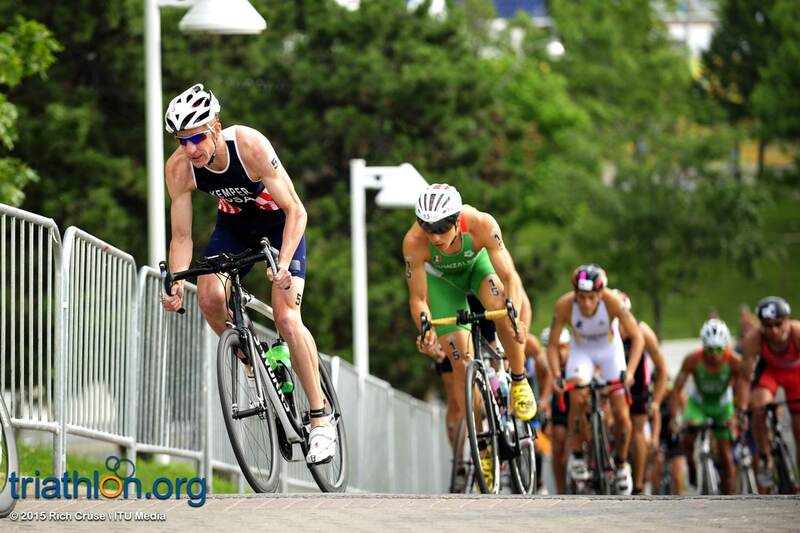 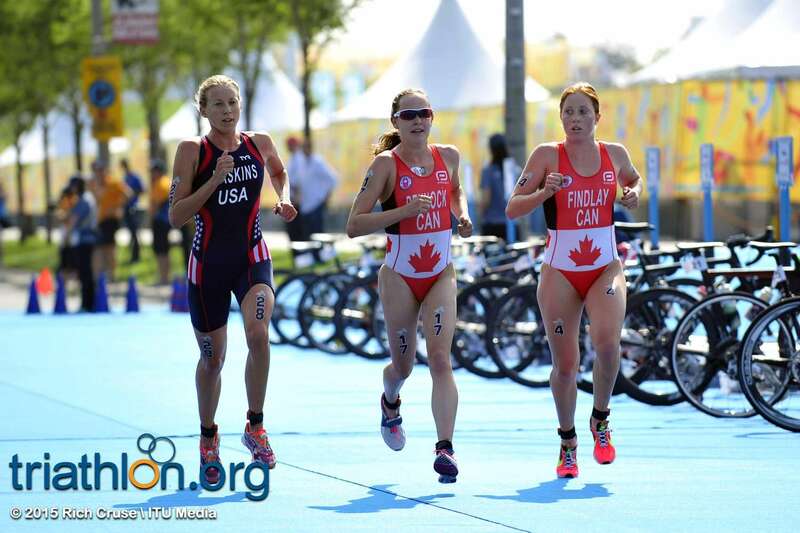 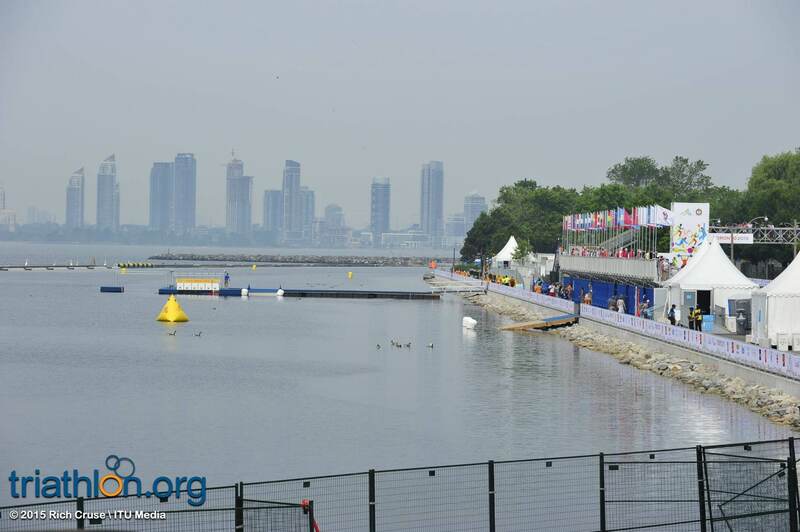 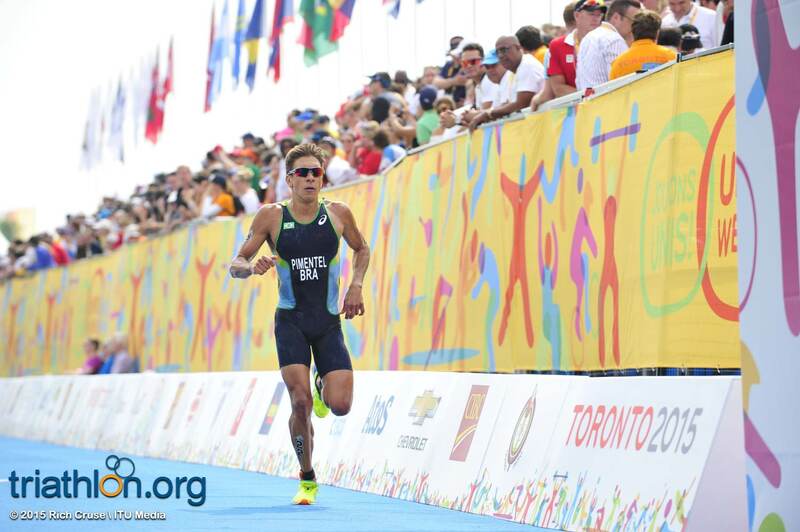 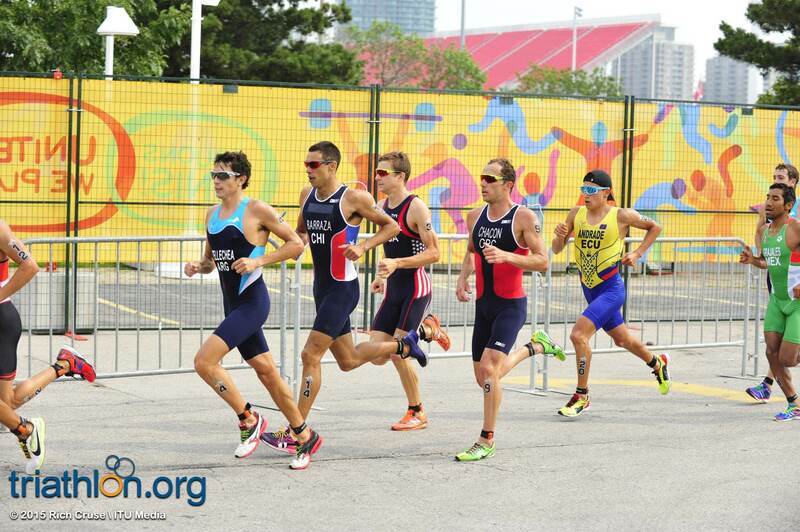 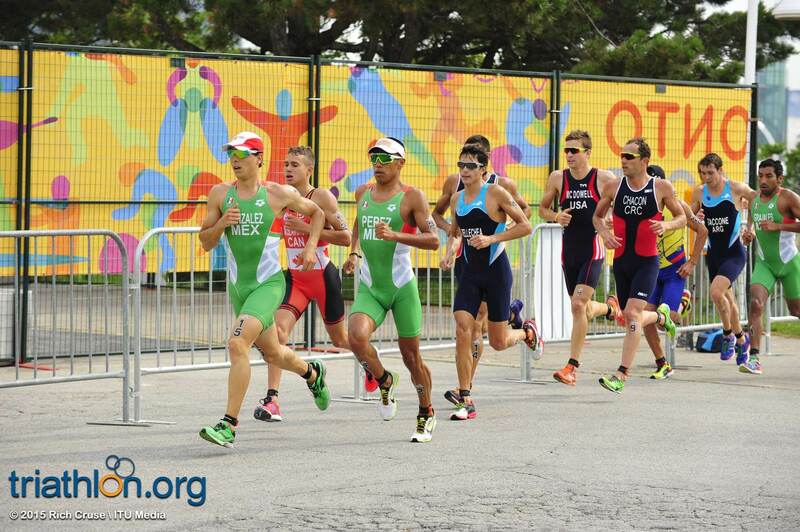 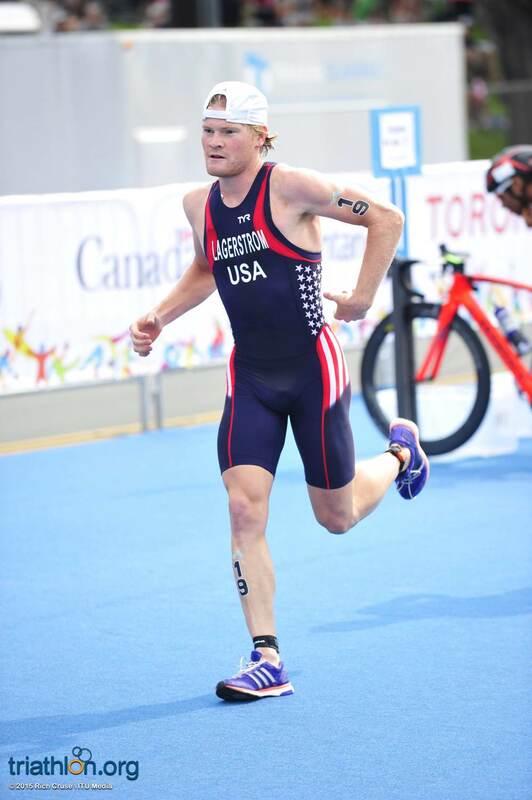 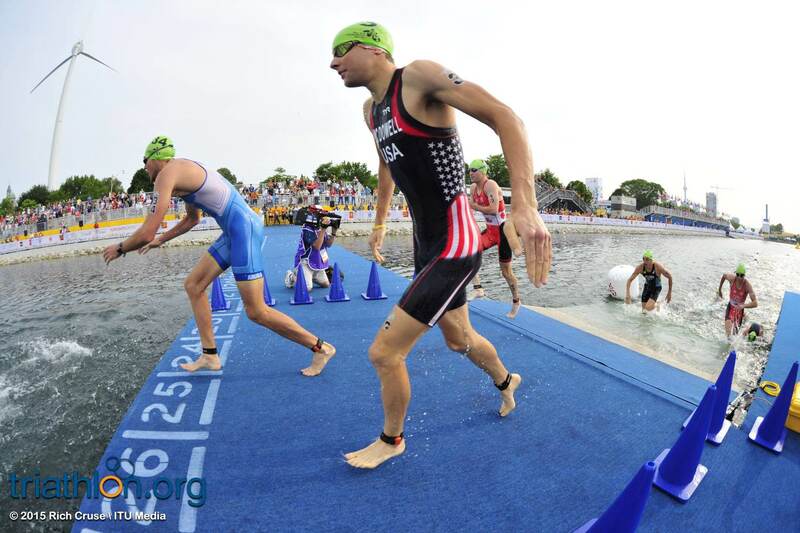 Joining Canada on the start list is three strong contenders from the USA. 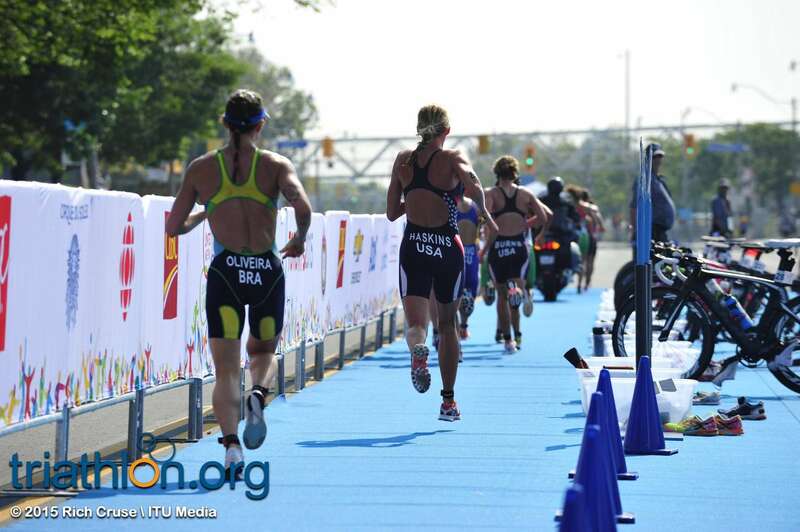 Chelsea Burns and Erin Jones have been regular competitors in the WTS and World Cup seasons this year. 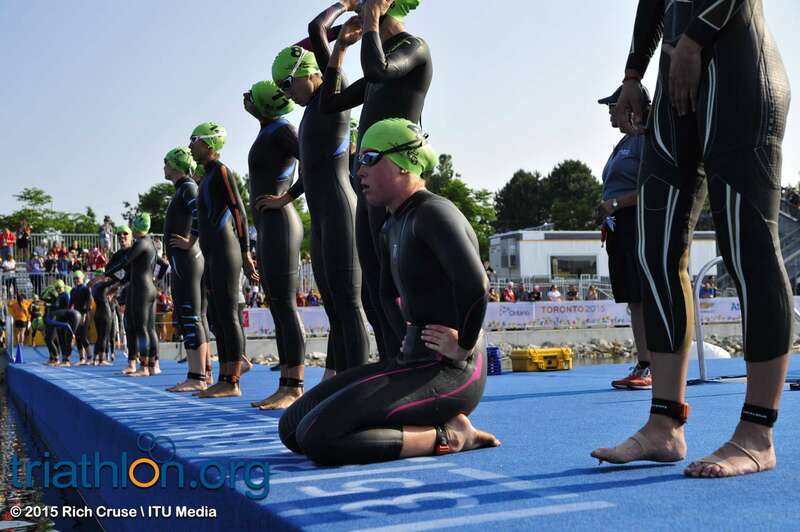 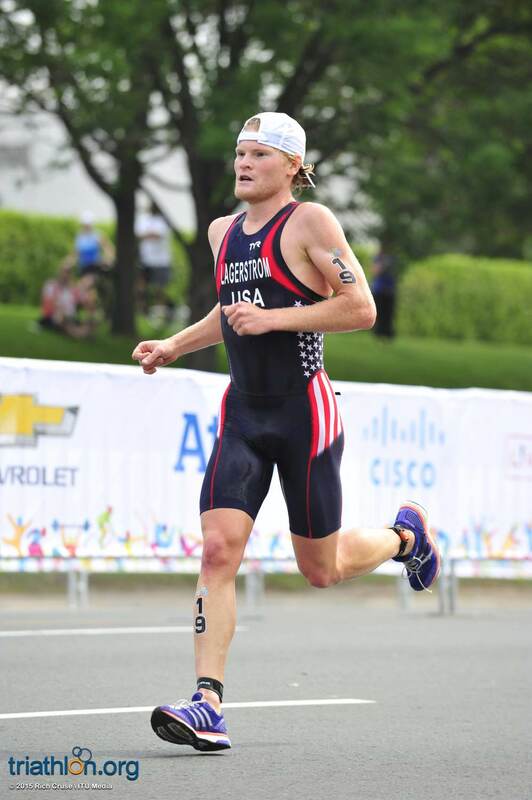 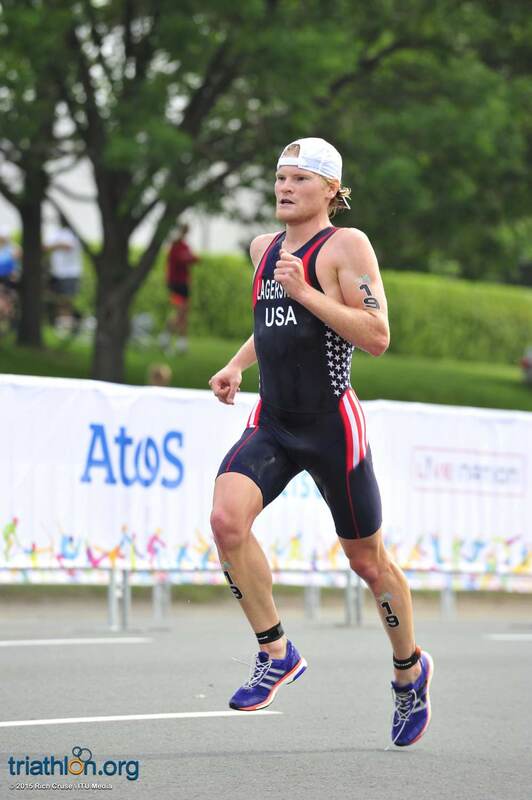 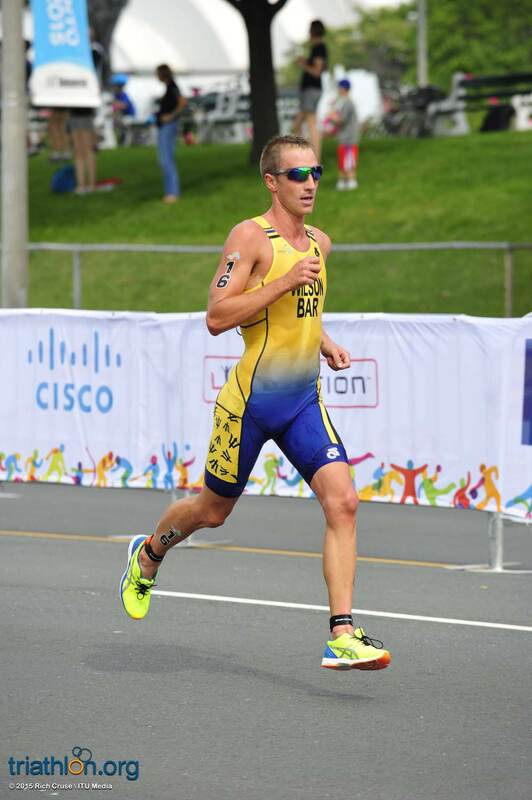 Burns tallied a top-ten finish in both WTS Cape Town and the Huatulco World Cup, while Jones made the top-twenty in Huatulco and WTS Yokohama. 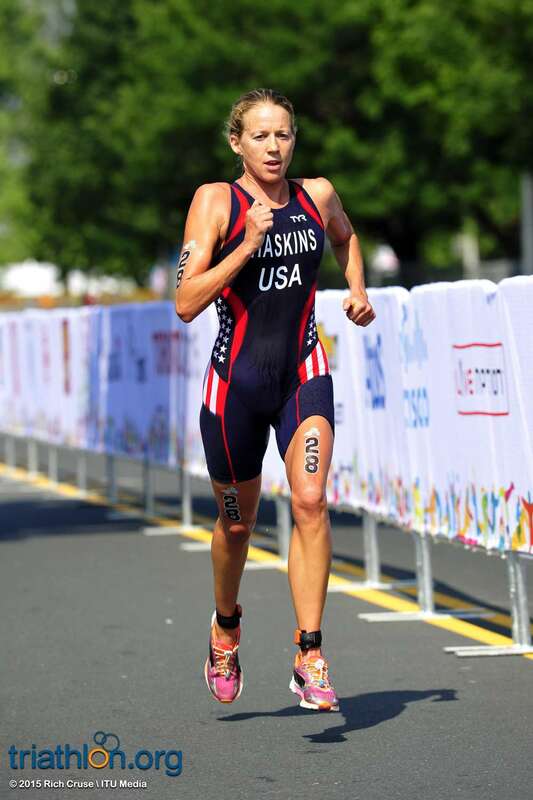 Sarah Haskins is a 2008 Beijing Olympian, who took home the last Pan Am title back in Guadalajara in 2011. 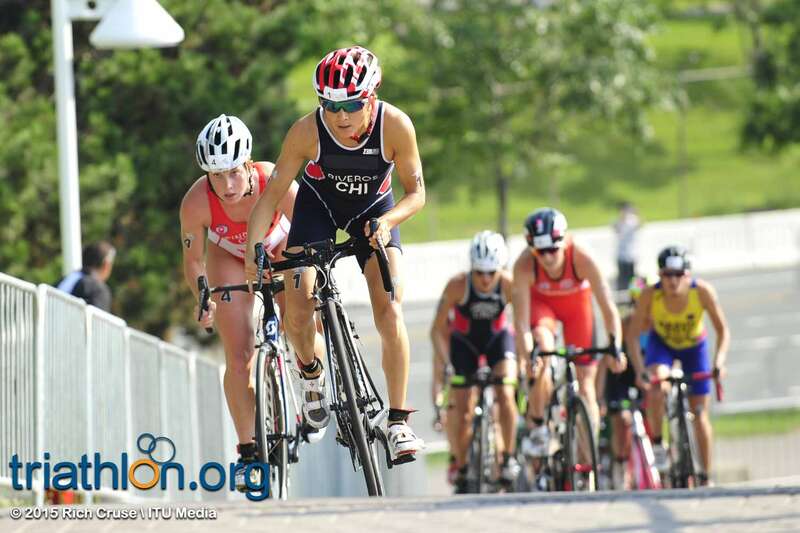 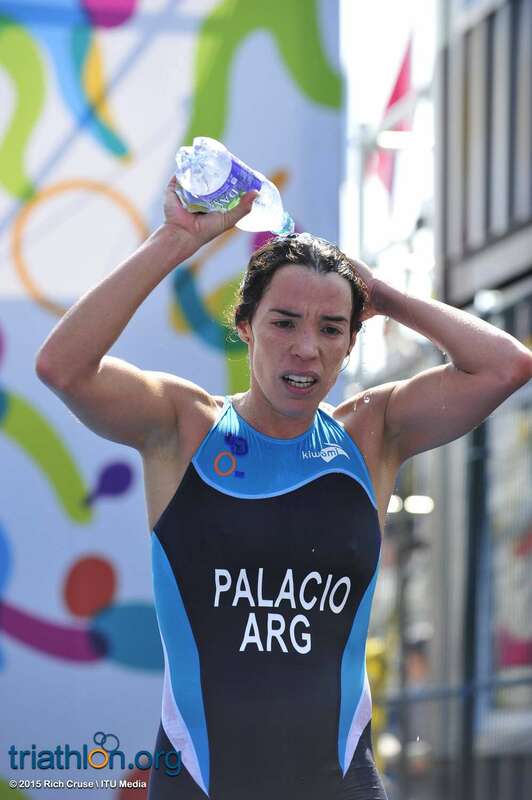 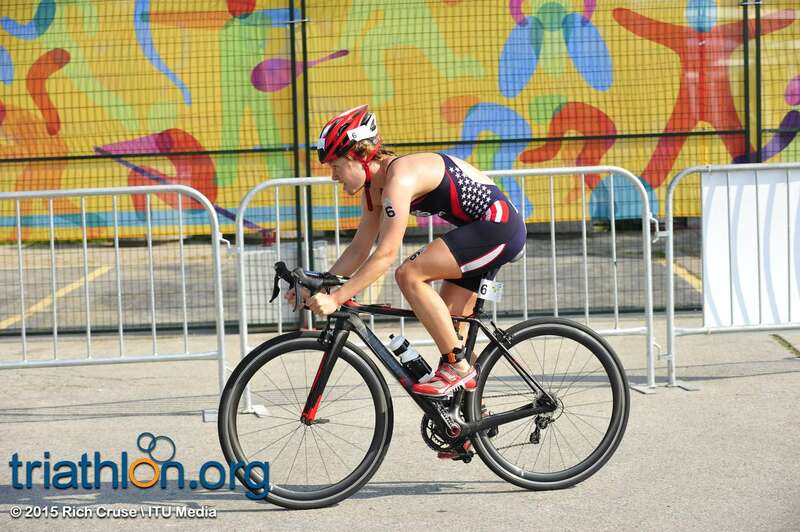 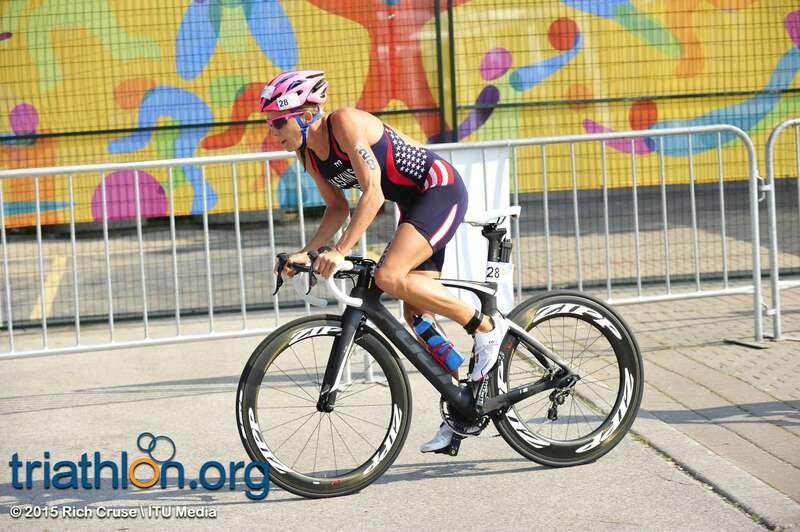 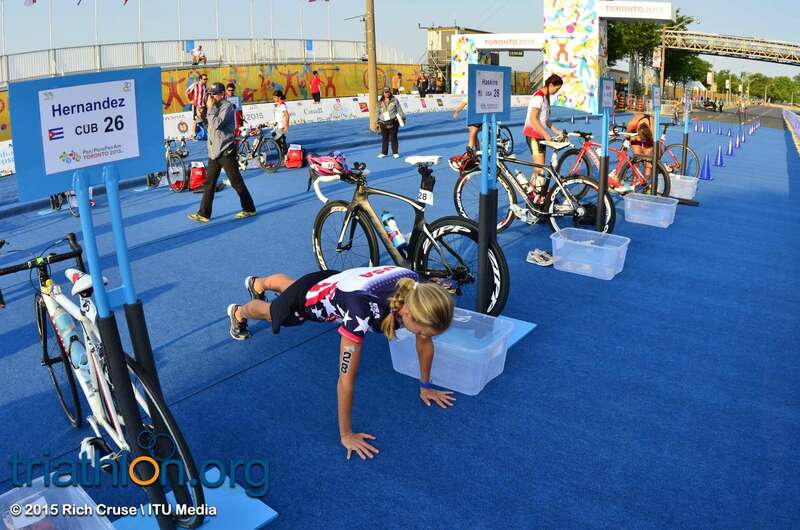 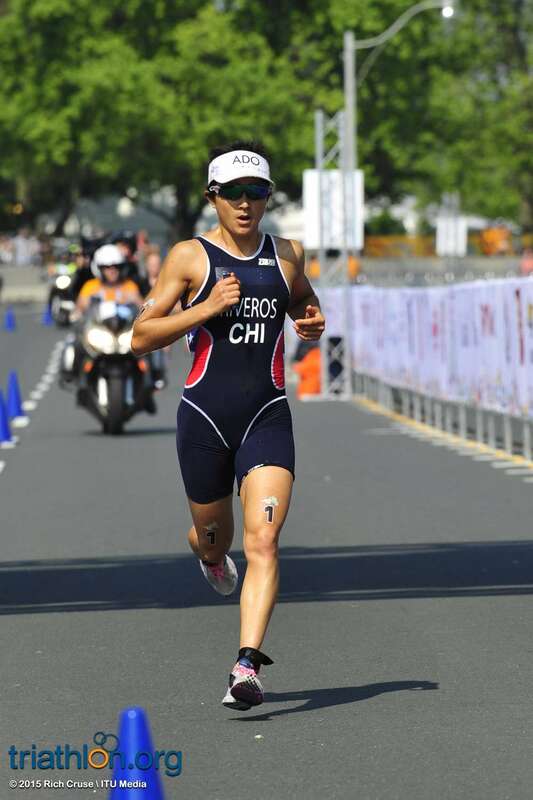 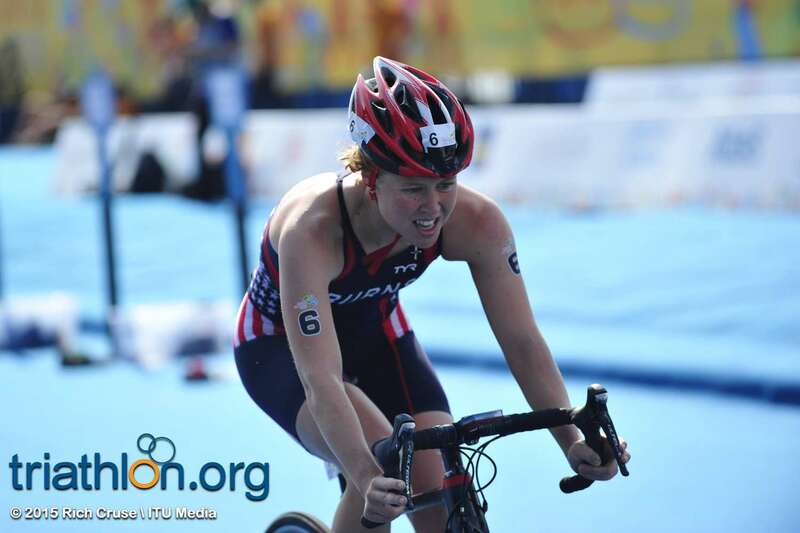 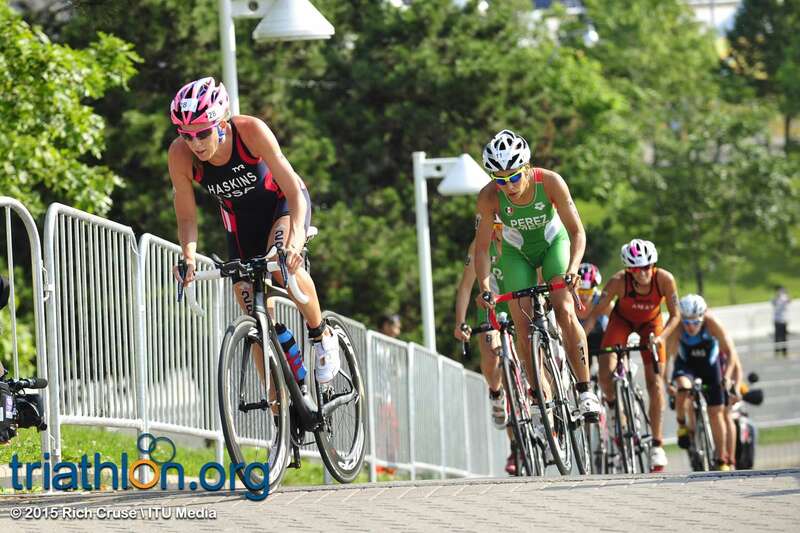 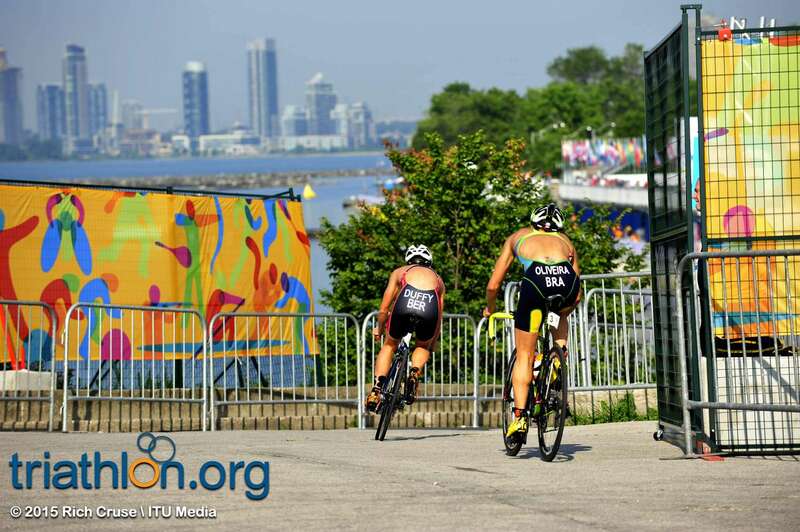 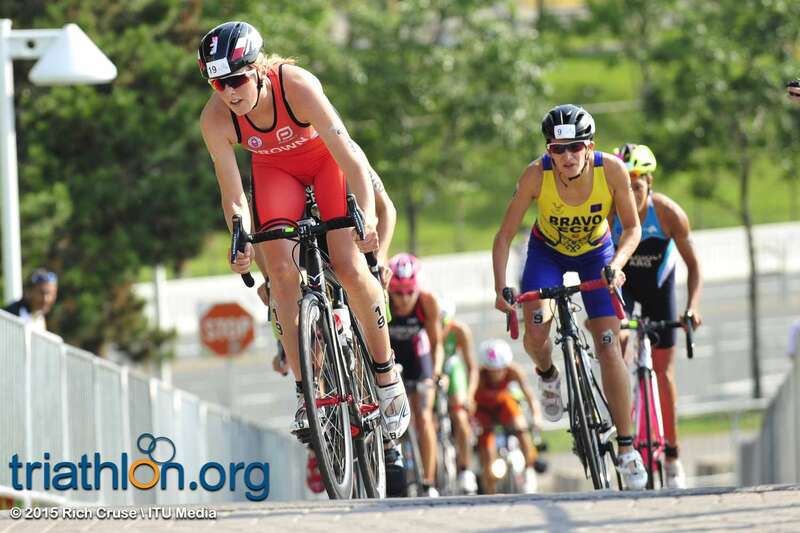 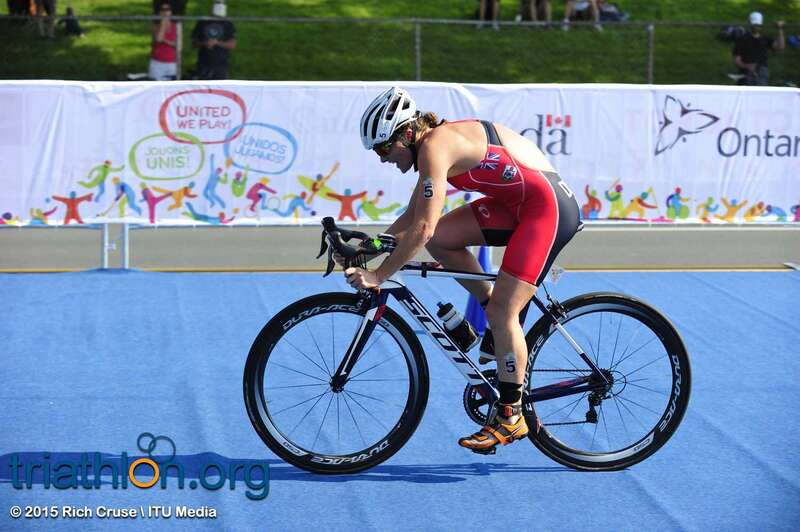 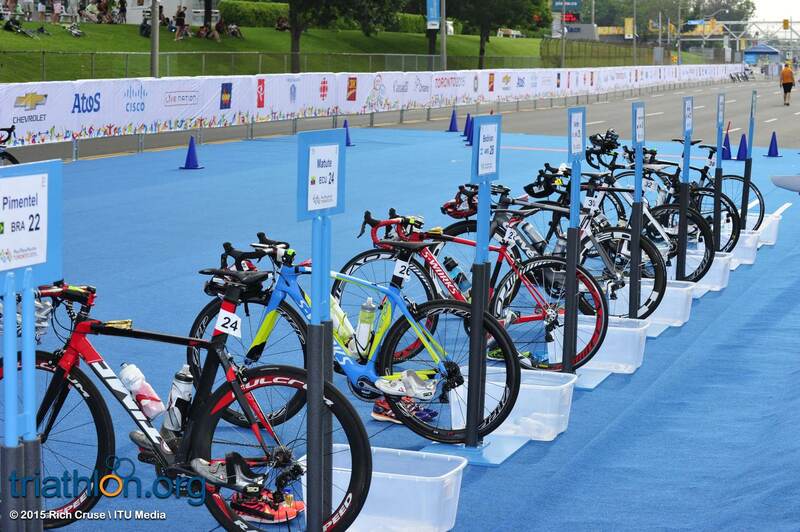 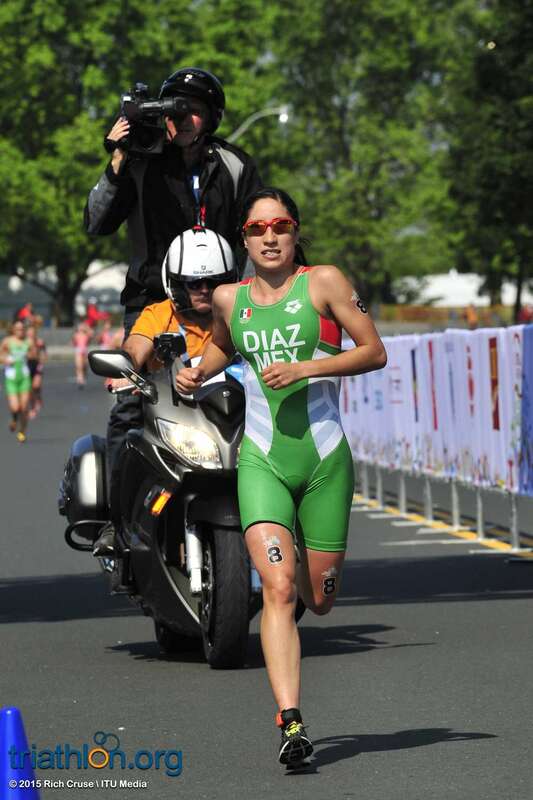 While she has not made many appearances in the ITU circuit, expect her to produce a strong showing in the bike leg. 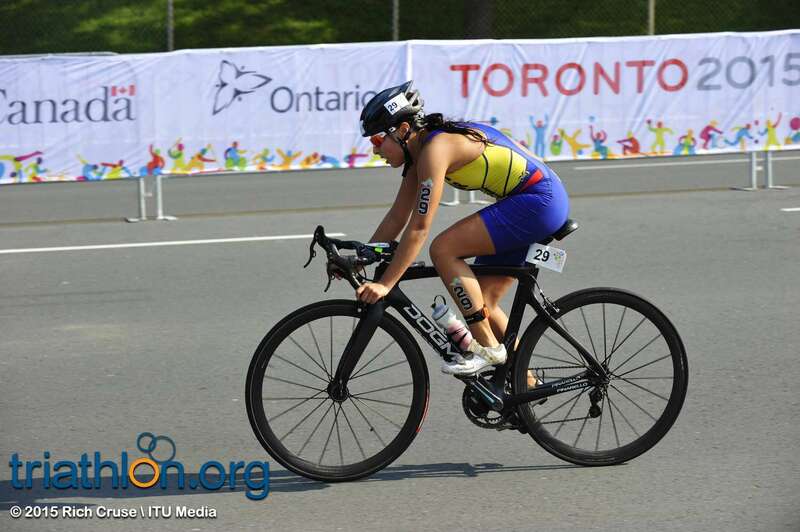 Pamela Oliveira (BRA) is also set to race in Toronto. 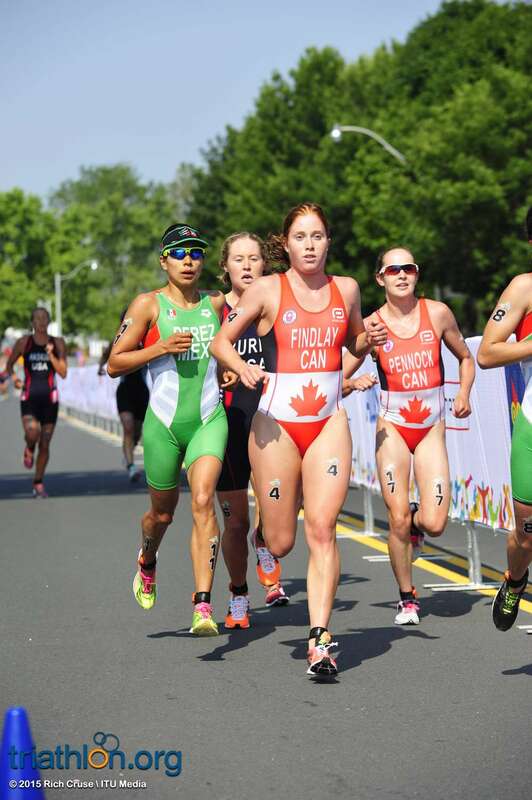 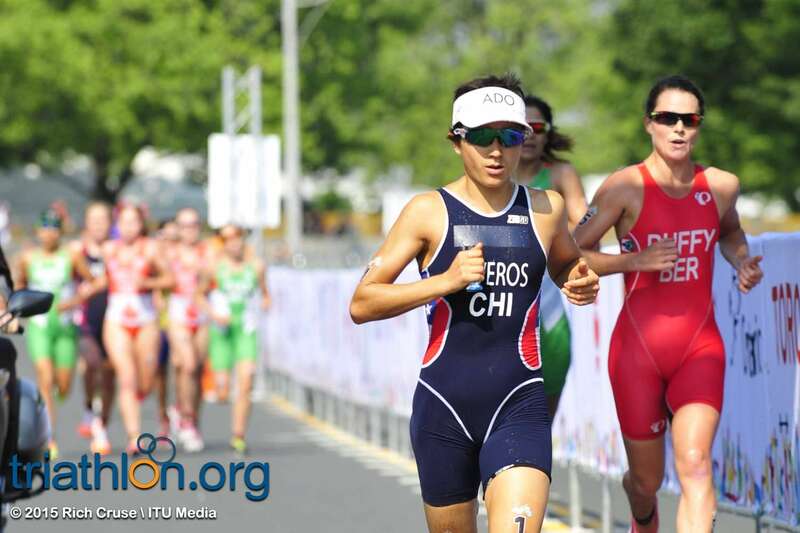 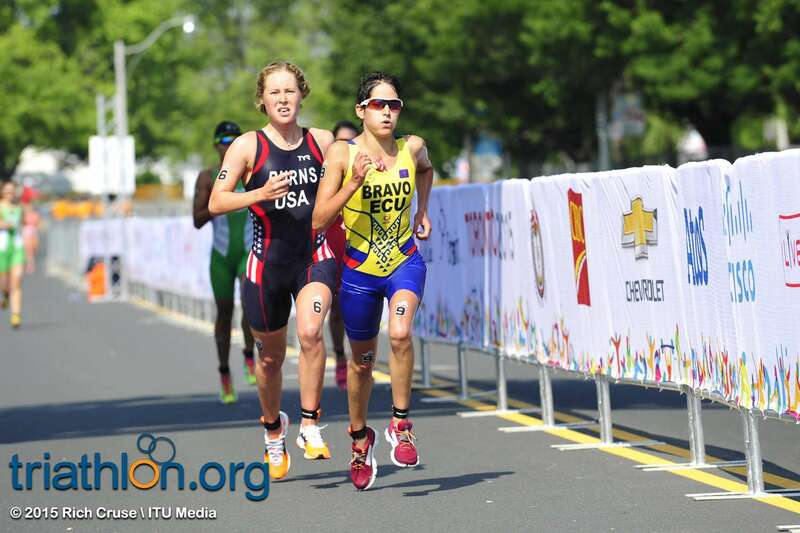 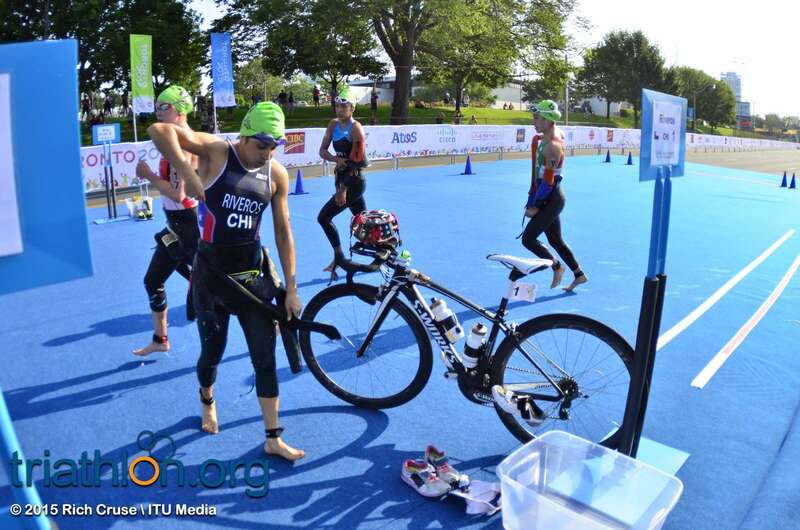 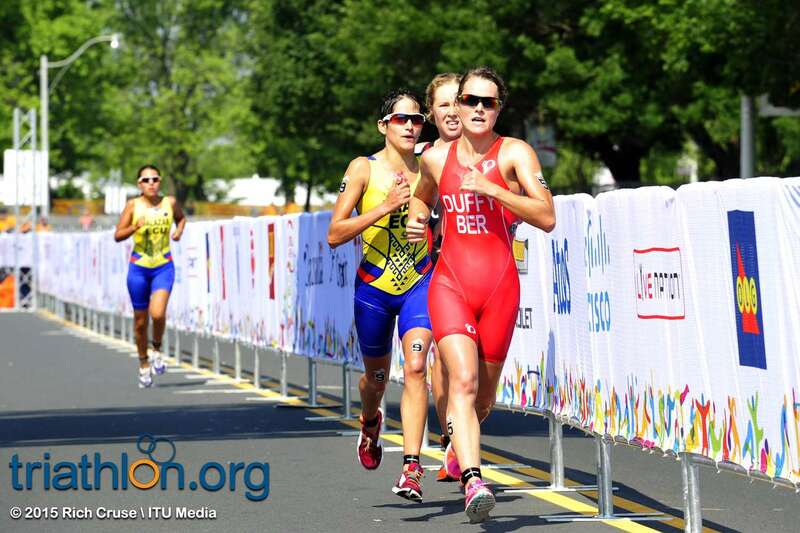 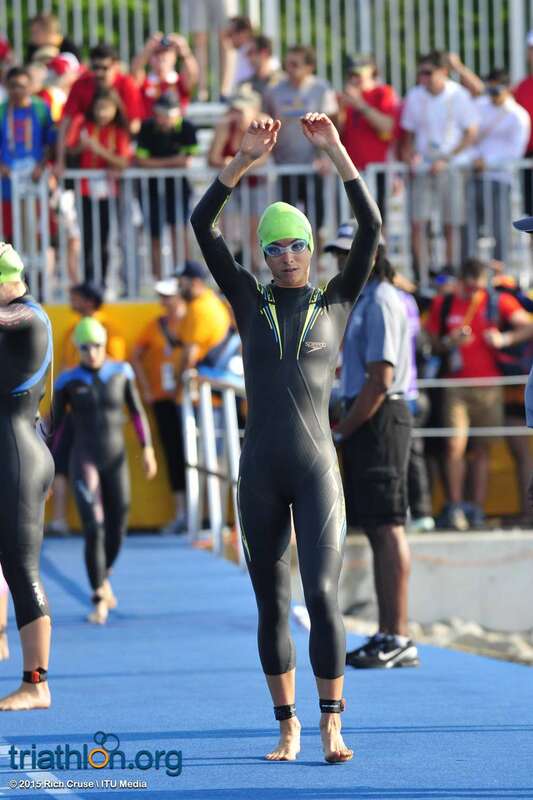 She posted a top-ten finish in WTS Gold Coast earlier this year and will be looking to get the Olympic qualifying spot for the Olympics in her native Brazil. 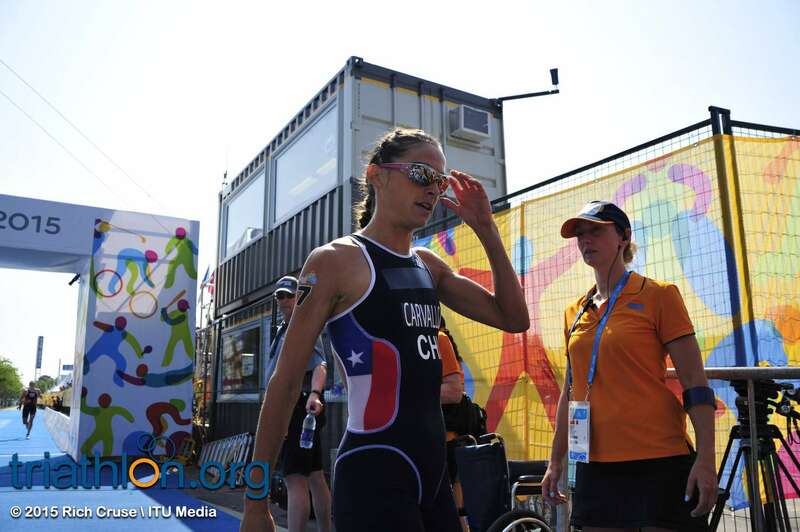 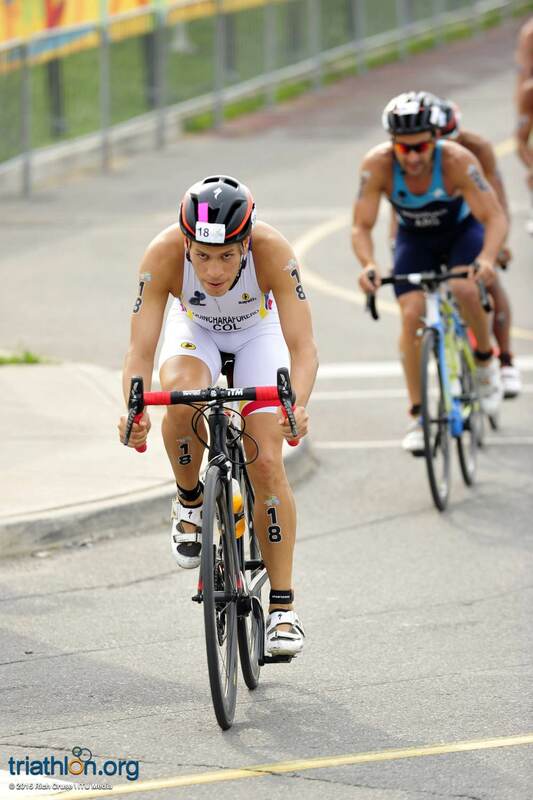 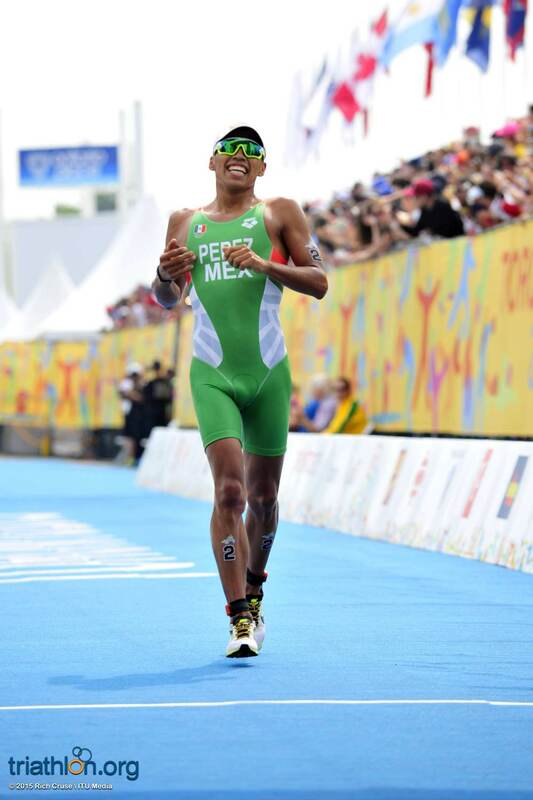 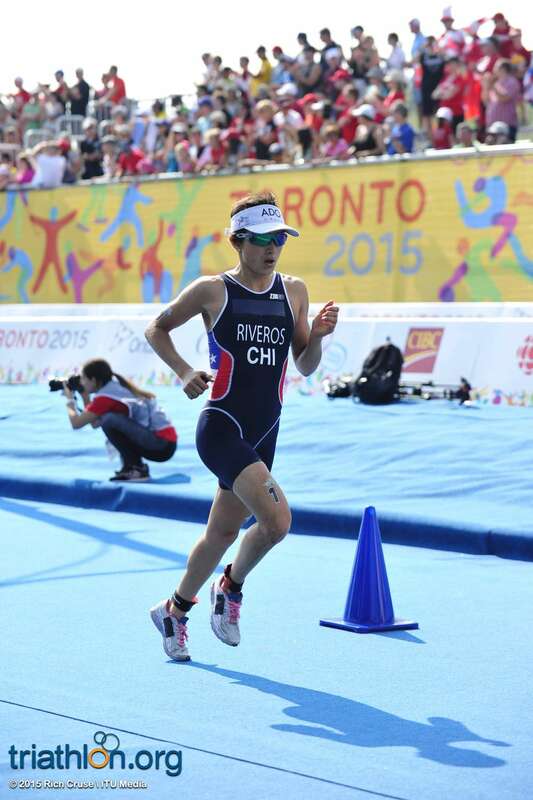 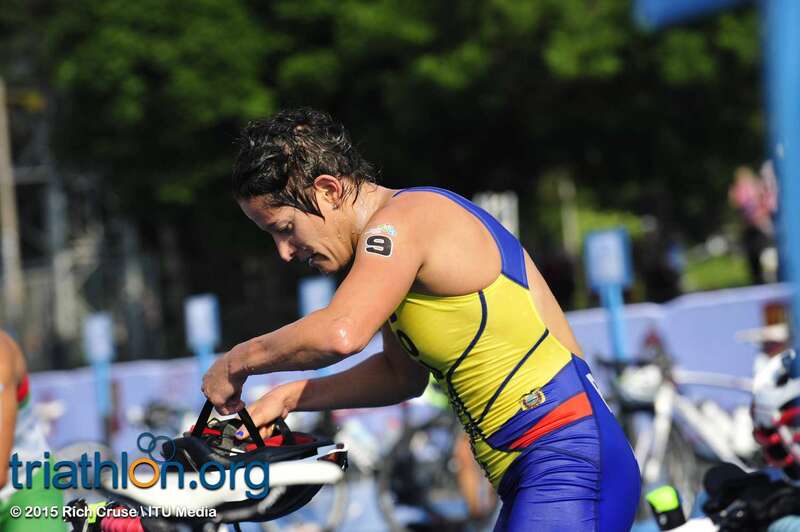 Dangerous on both the bike and swim, Oliveira has been working on her run to challenge the top contenders. 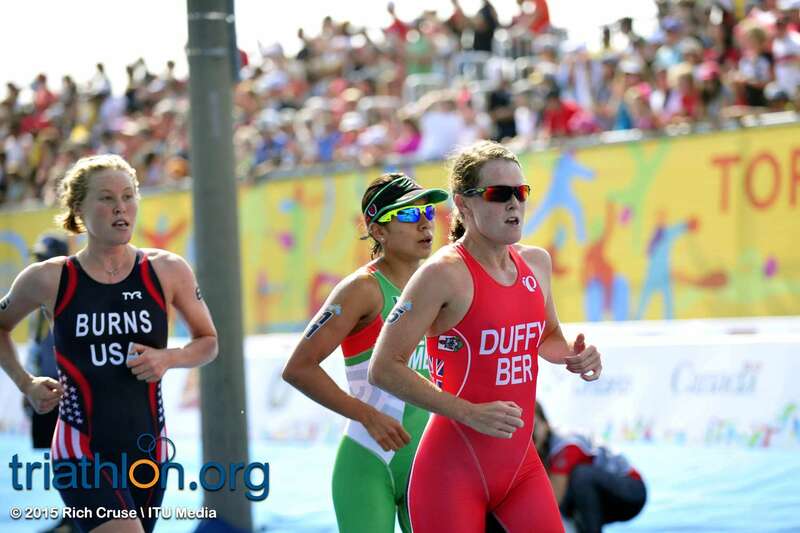 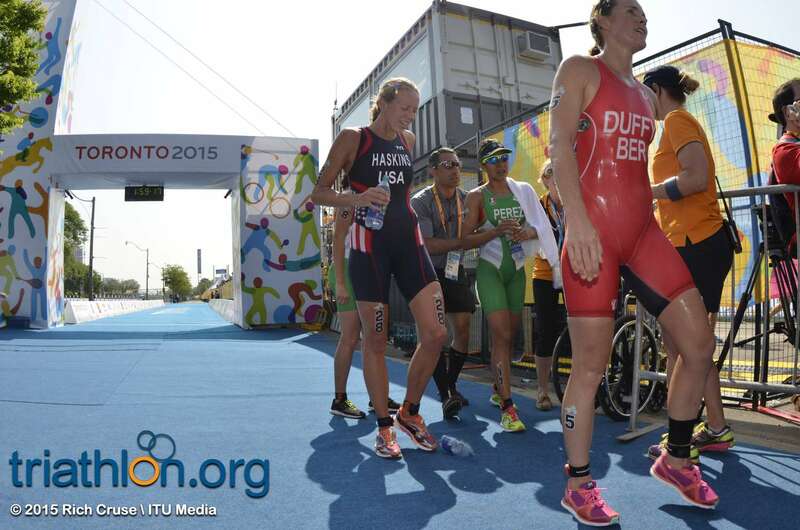 Bermuda’s Flora Duffy will be a name to look out for this weekend. 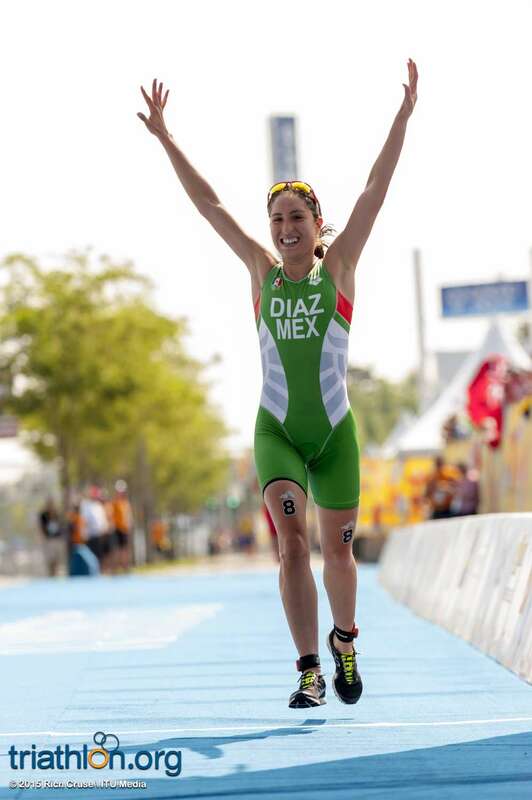 She has been having a dynamite year so far. 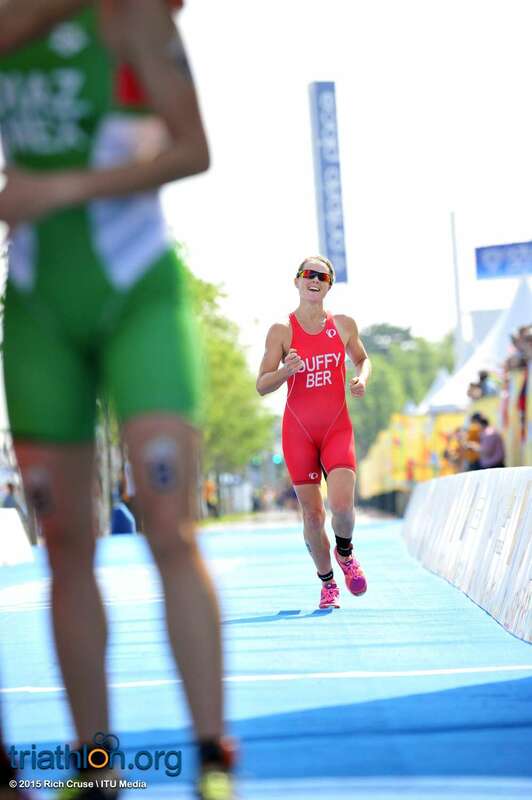 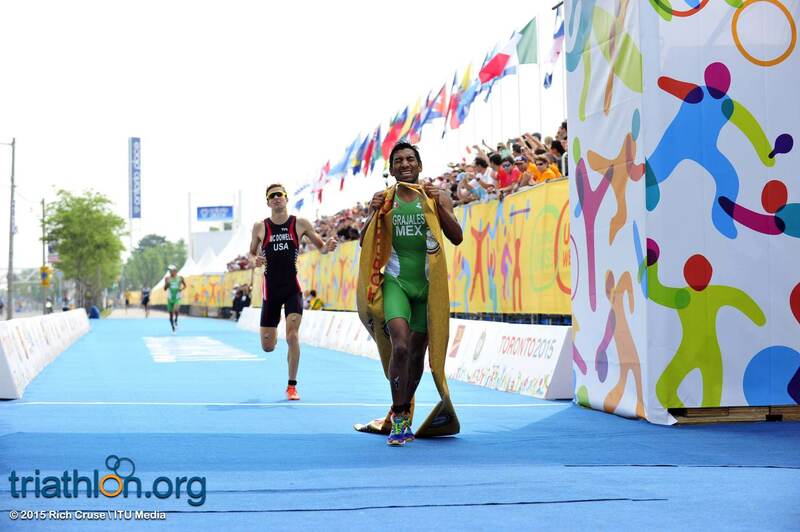 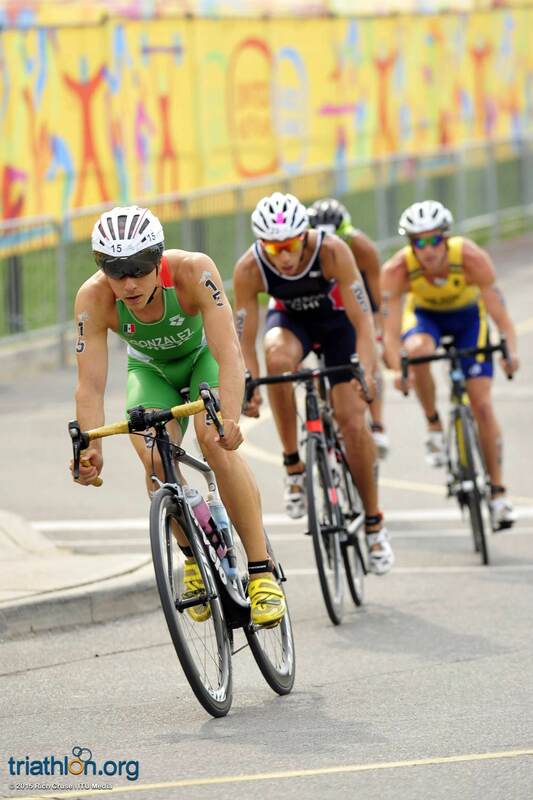 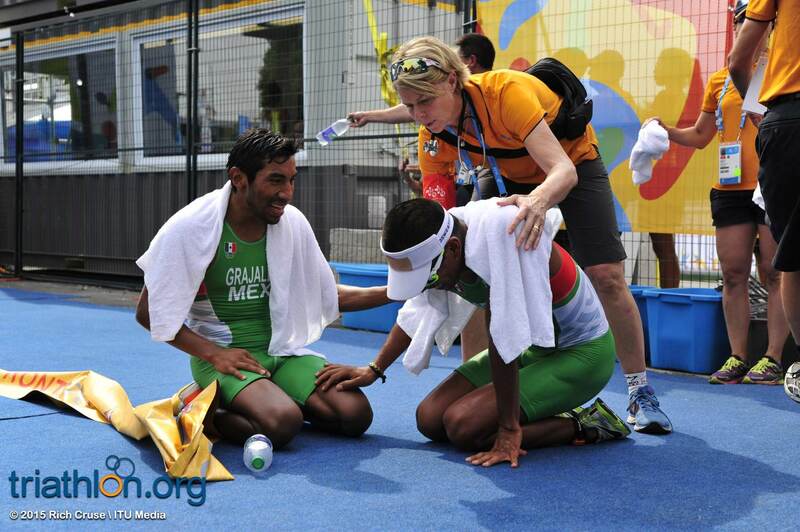 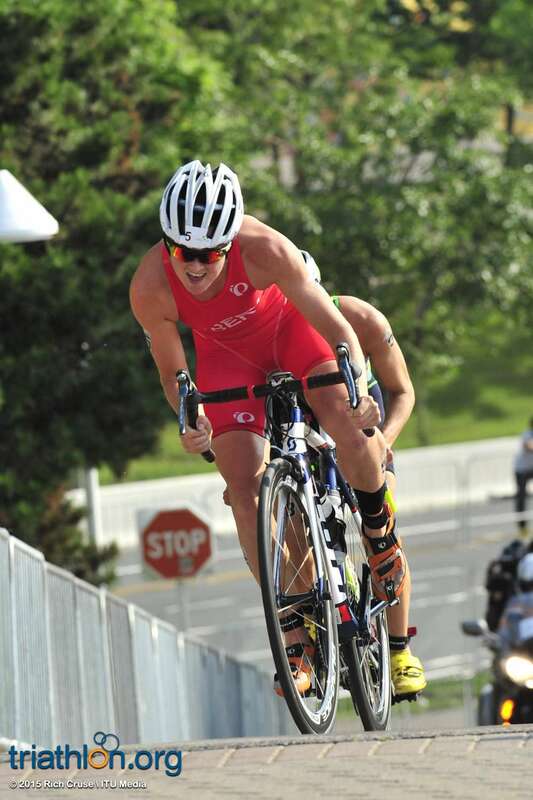 While she hasn’t raced since WTS Cape Town, she took home the bronze medal in Abu Dhabi and placed fifth in Gold Coast. 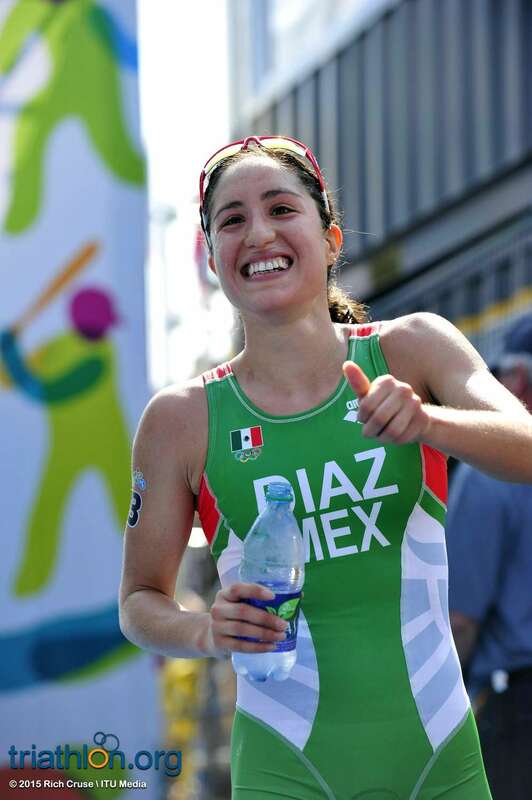 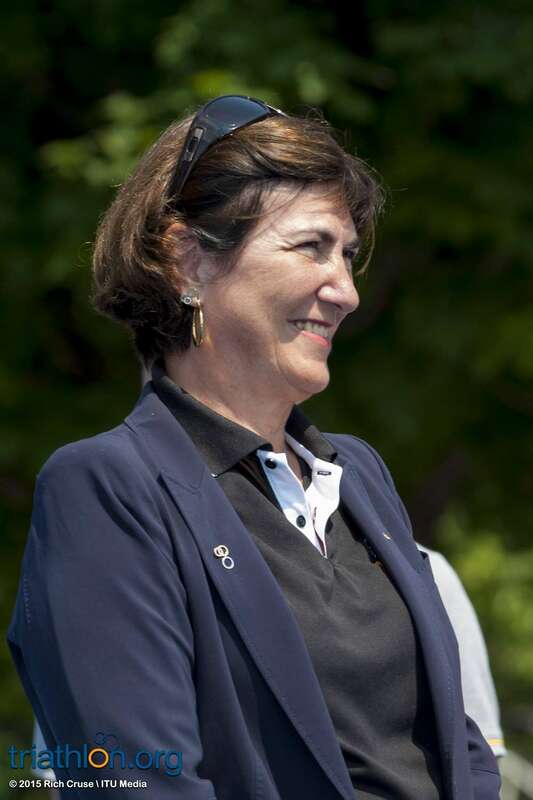 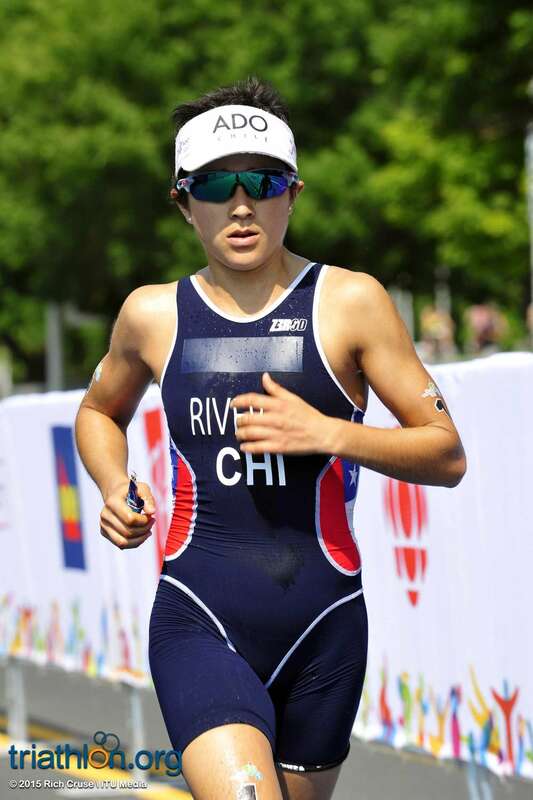 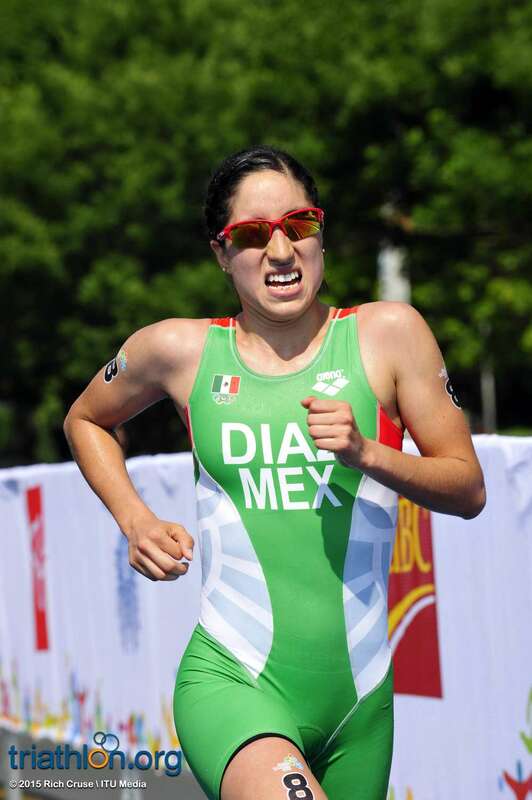 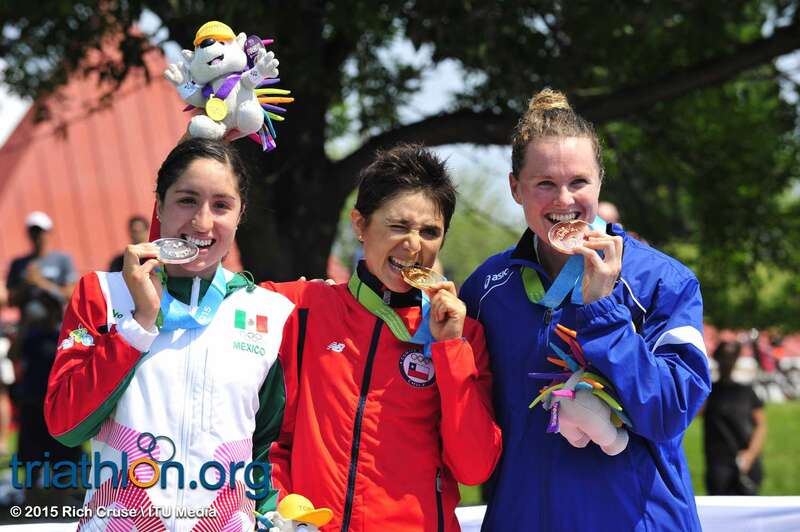 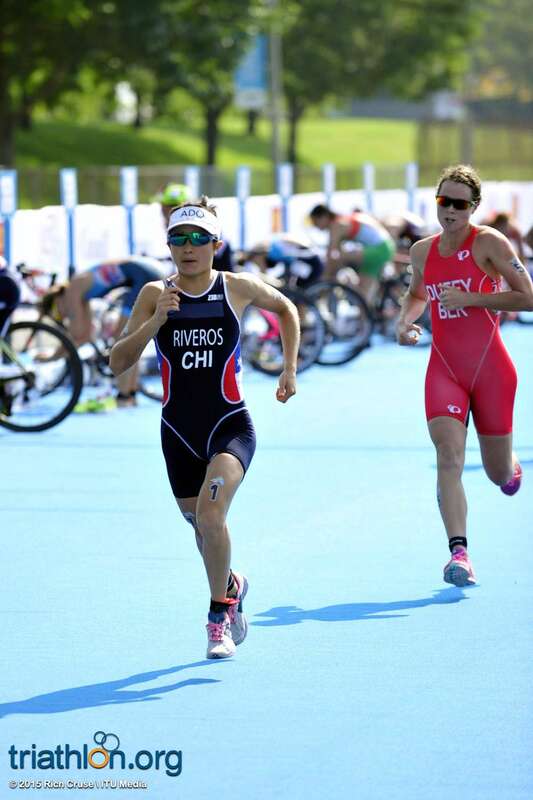 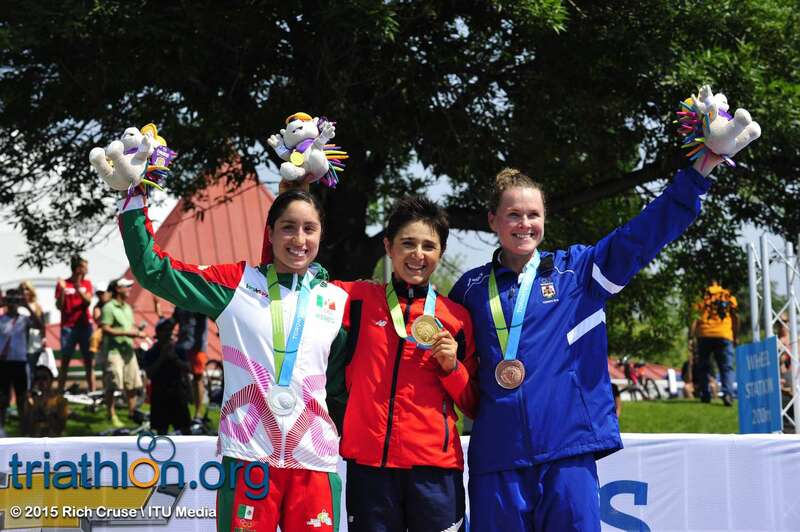 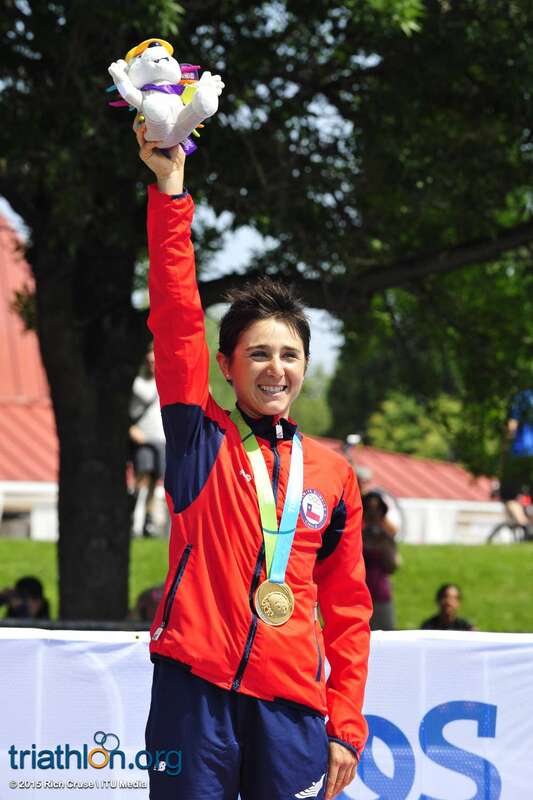 Barbara Riveros (CHI), who scored silver at the 2011 Guadalajara Pan American Games, also started her season with a bang in Abu Dhabi and brings a wealth of experience to Canada With Haskins, Duffy, Riveros and Oliveira all toeing the line, expect some breakaways to occur on the bike. 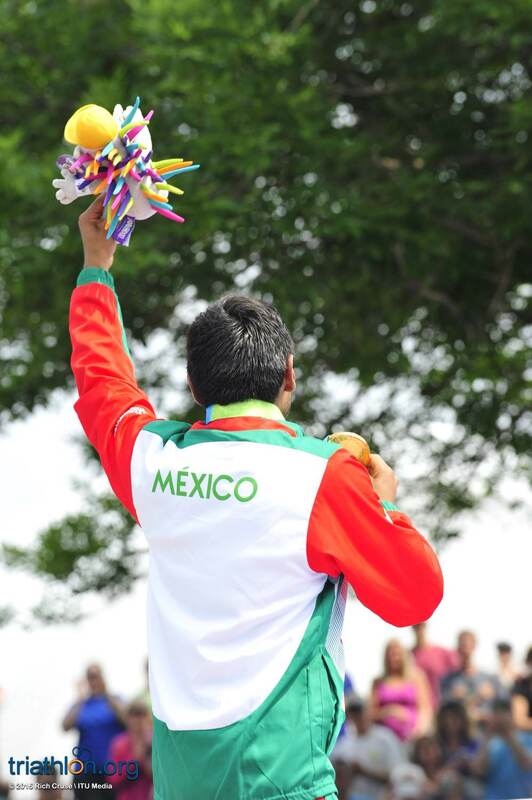 On the men’s side, Mexico is bringing a top team and is sure to impress their northern neighbor. 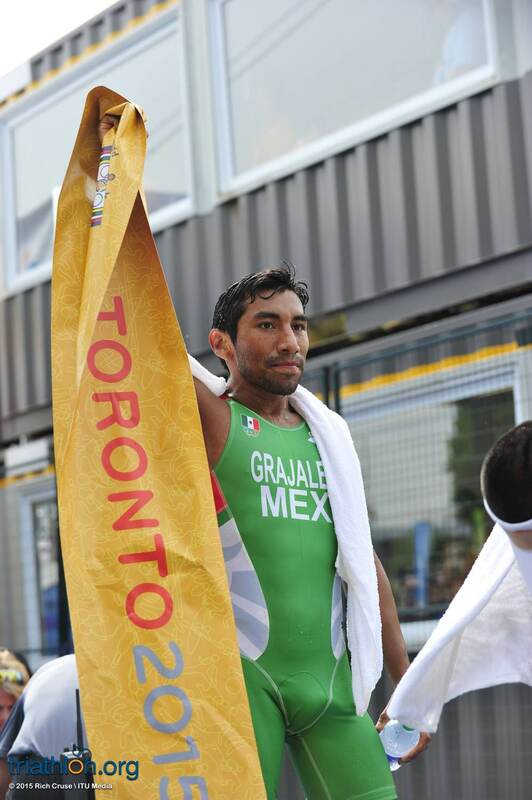 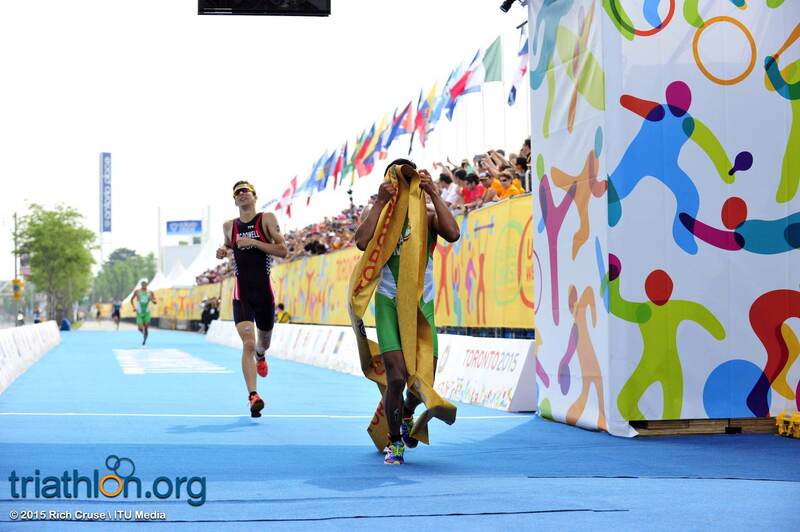 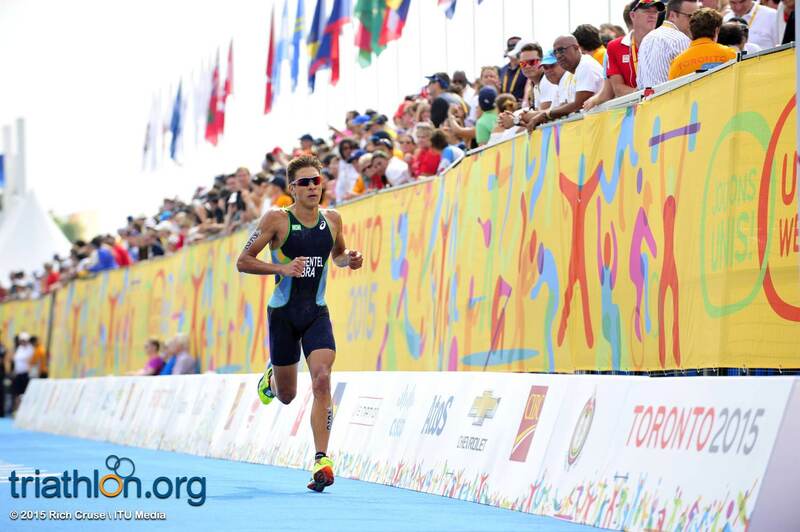 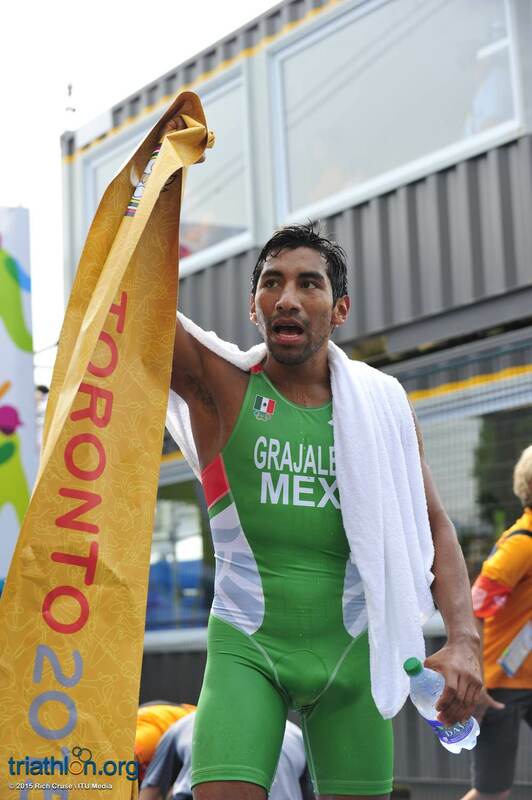 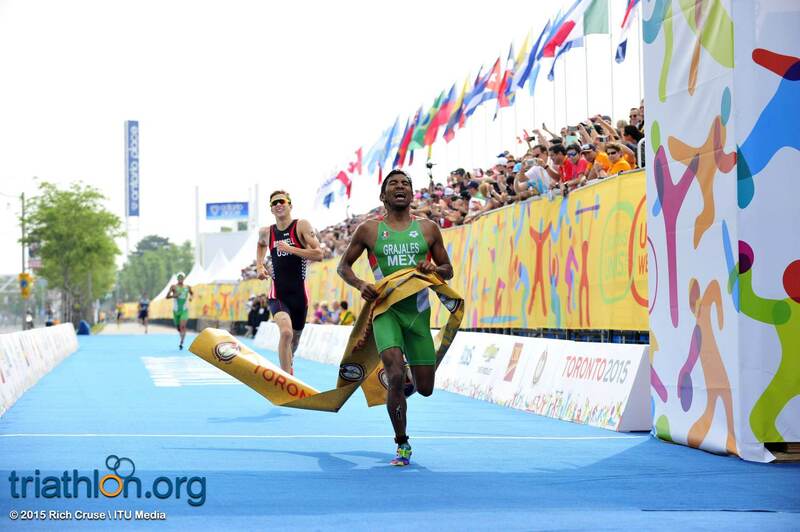 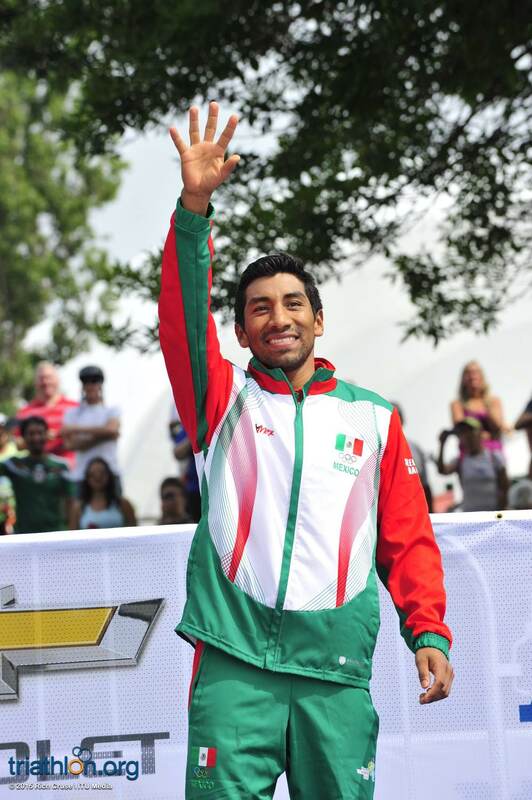 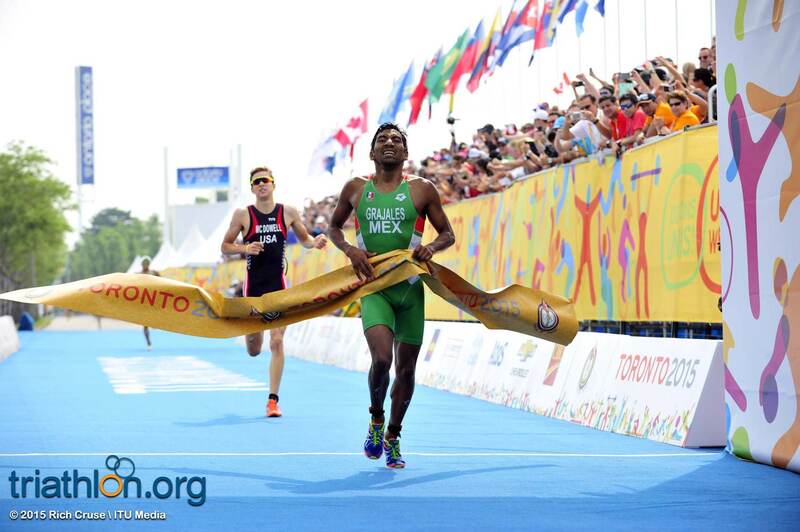 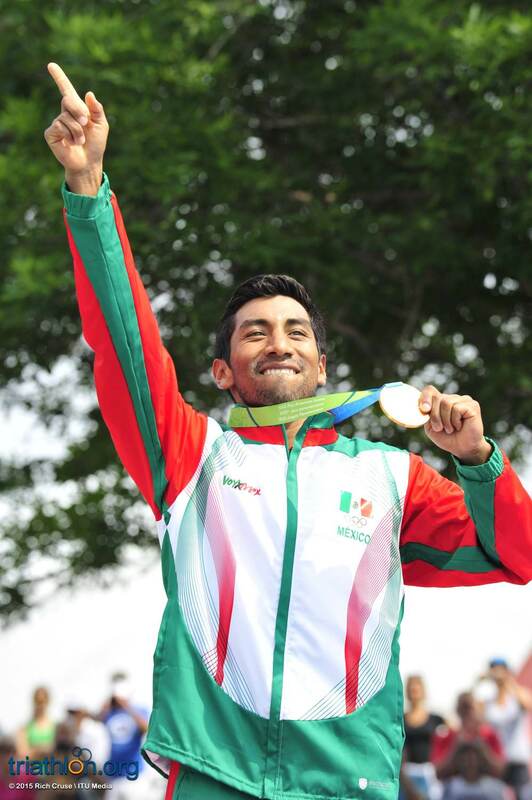 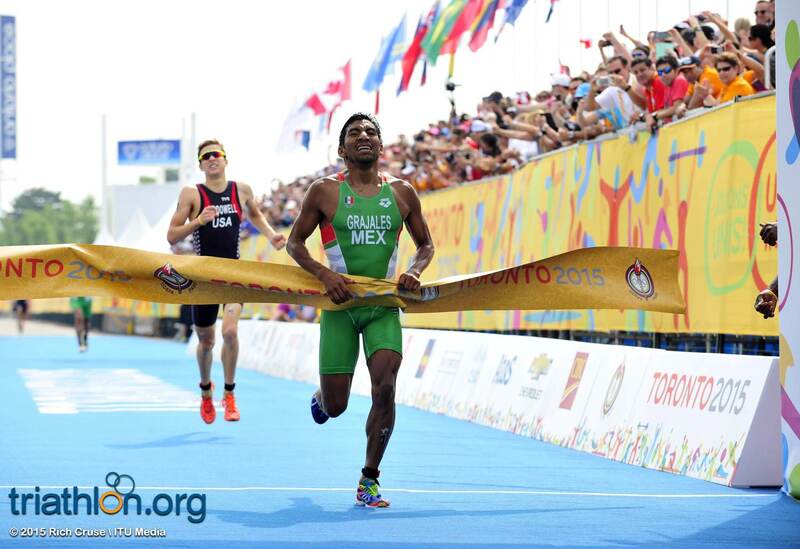 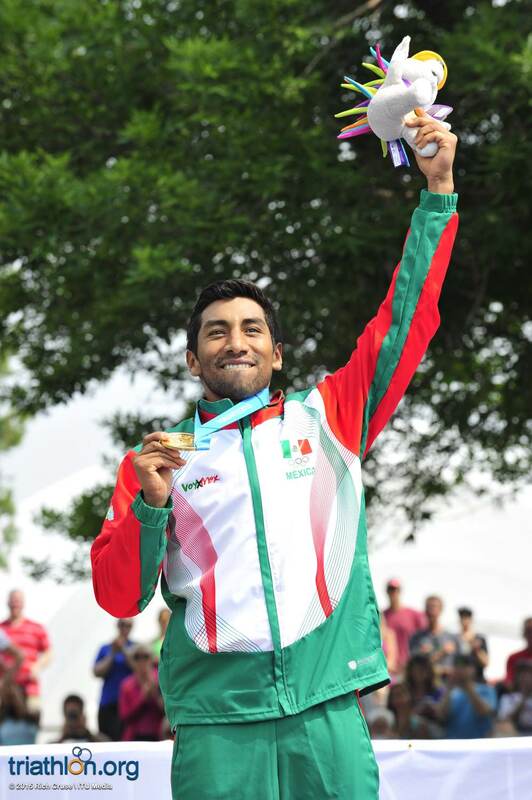 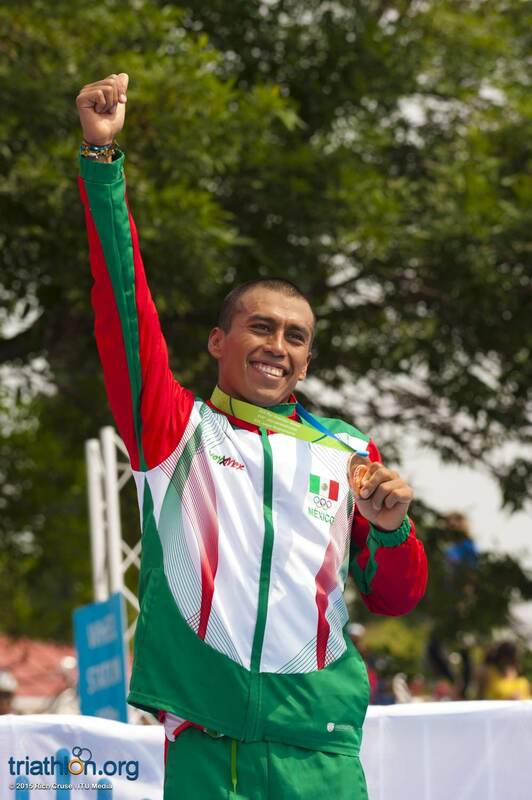 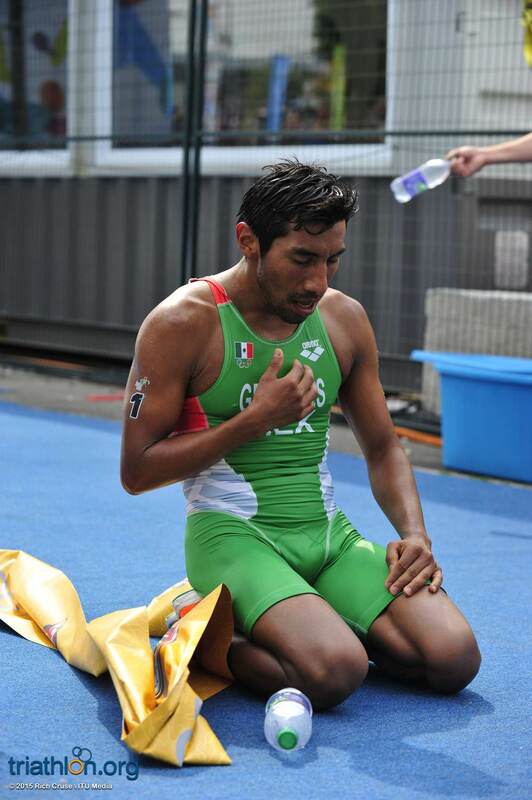 Despite his finish in the Huatulco World Cup, Crisanto Grajales has been having a great season. 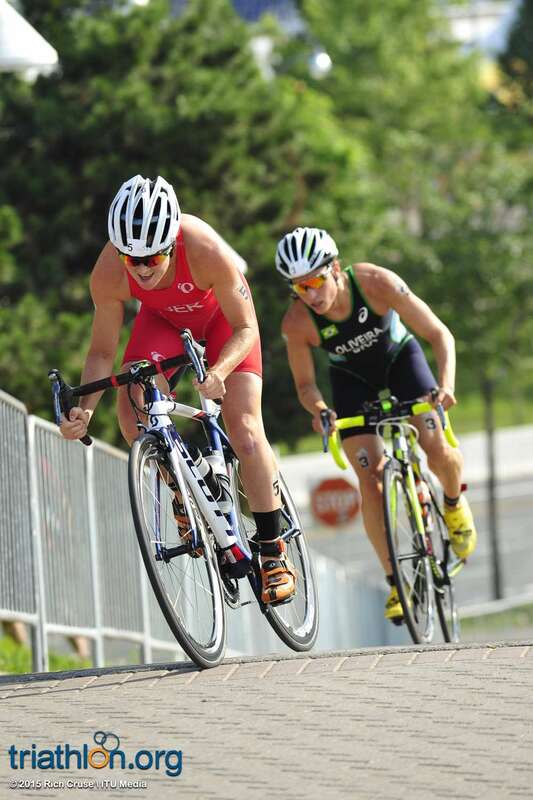 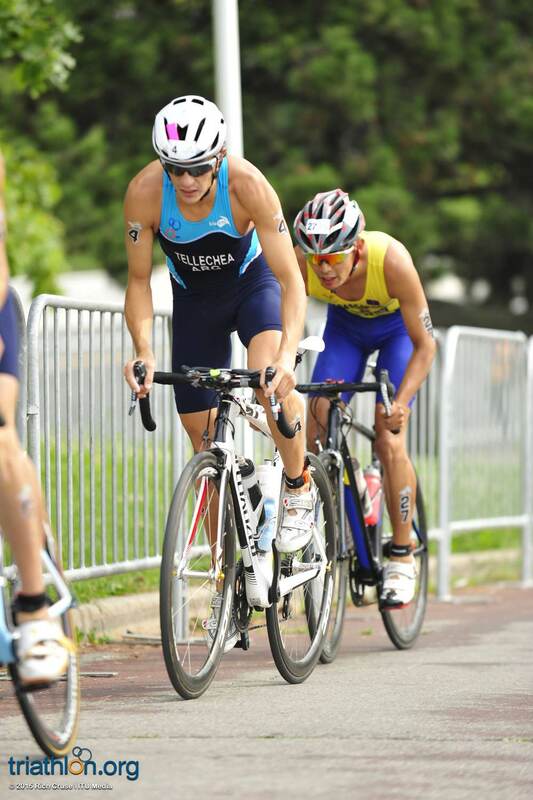 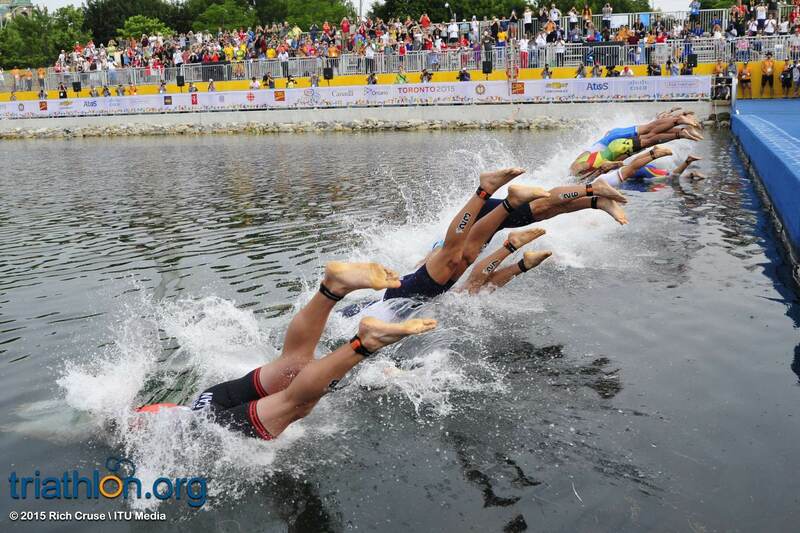 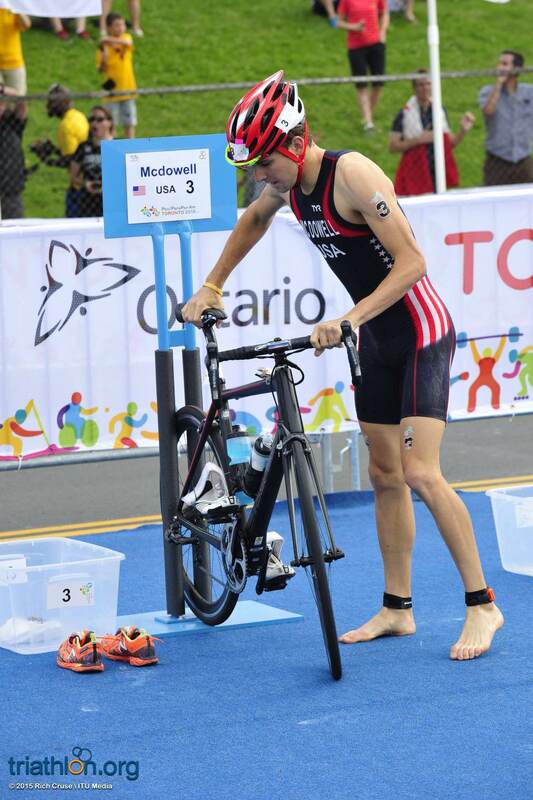 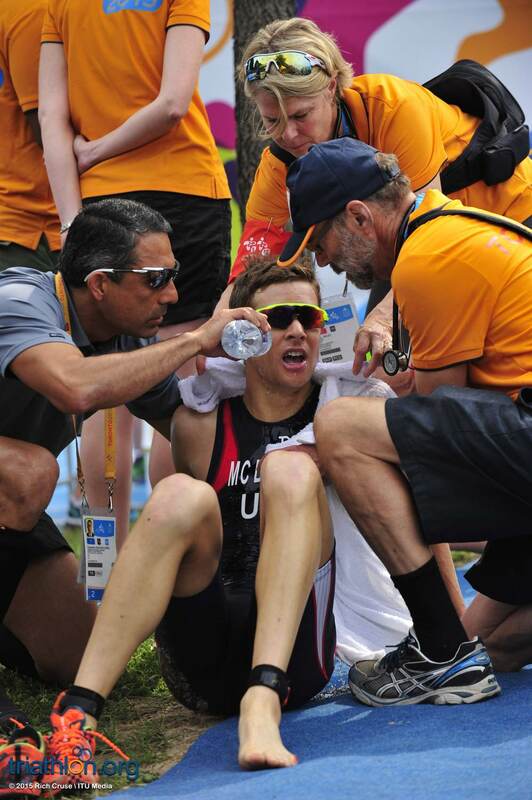 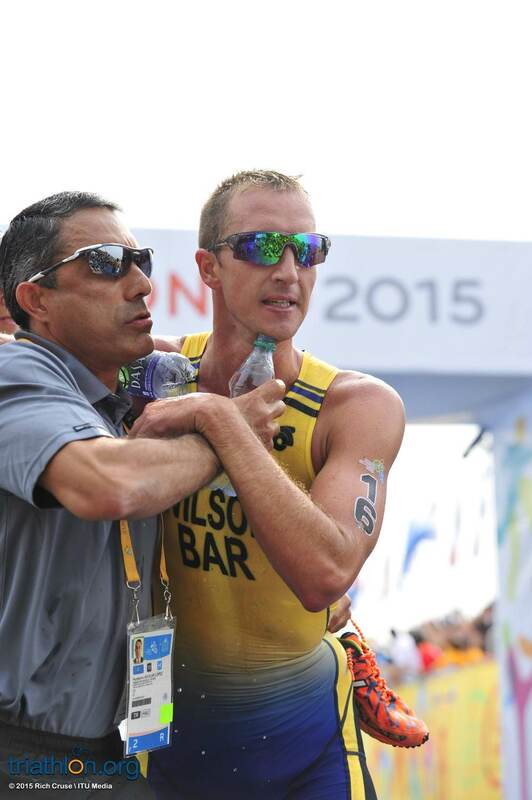 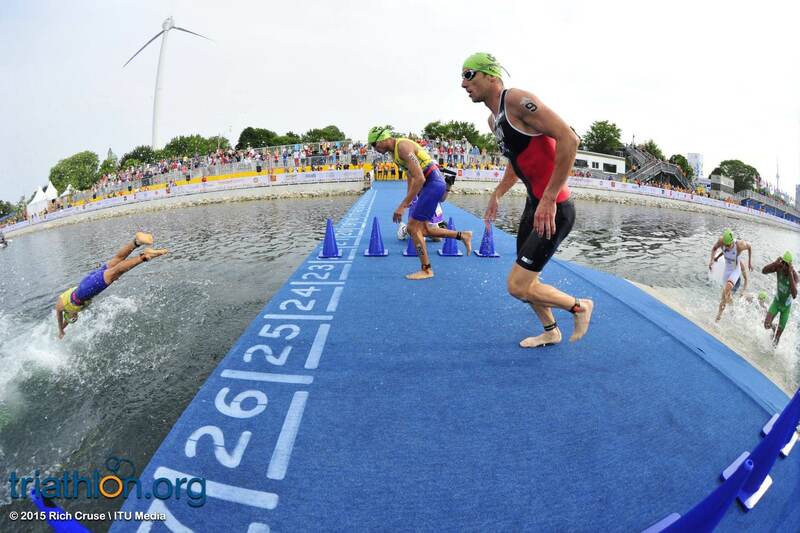 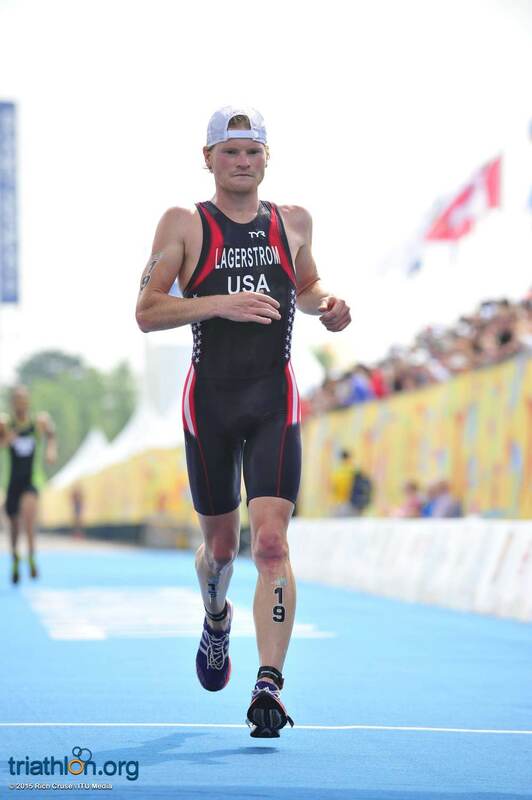 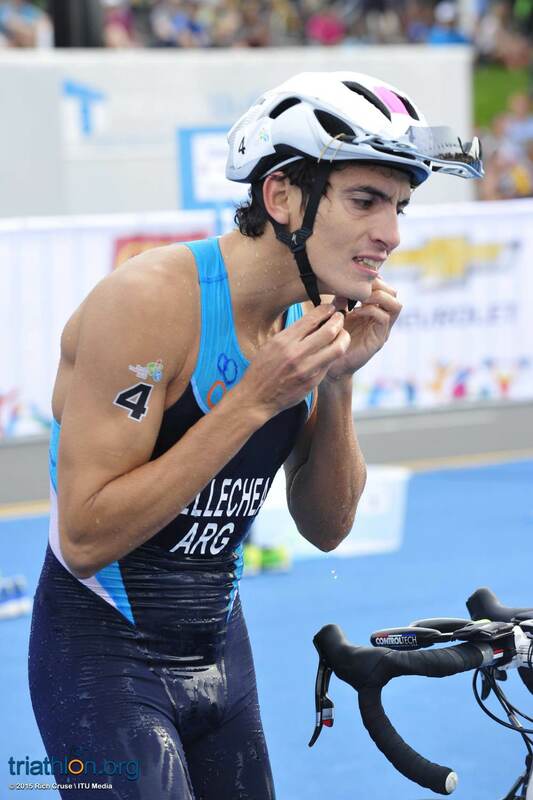 He has produced three top-five finishes in the WTS cycle, earning his best result in Yokohama when he took fifth. 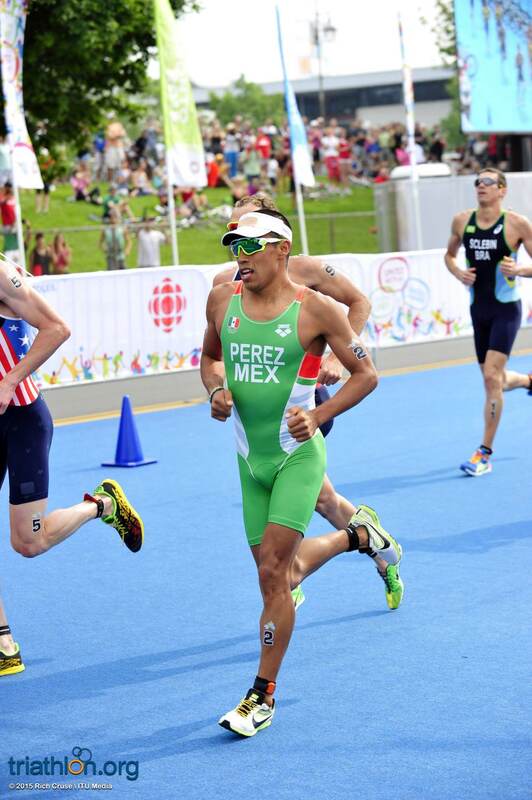 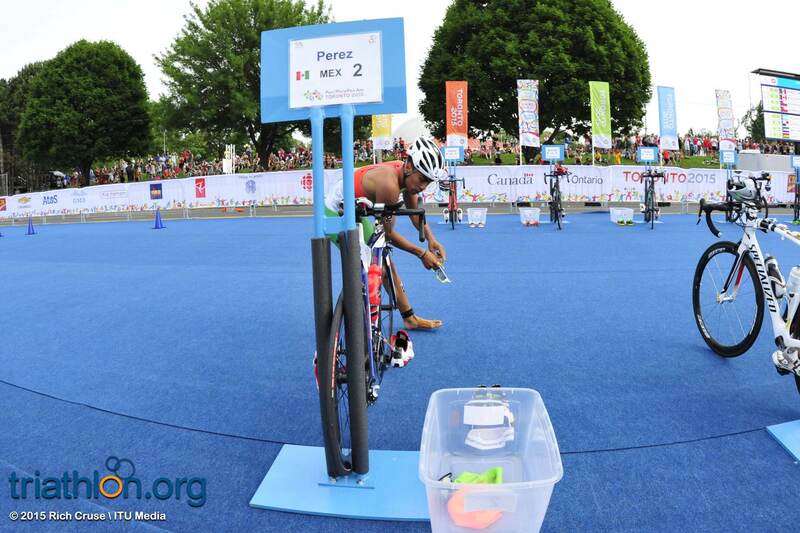 Compatriot Irving Perez stunned in the most recent showing in Huatulco under very hot and hilly conditions. 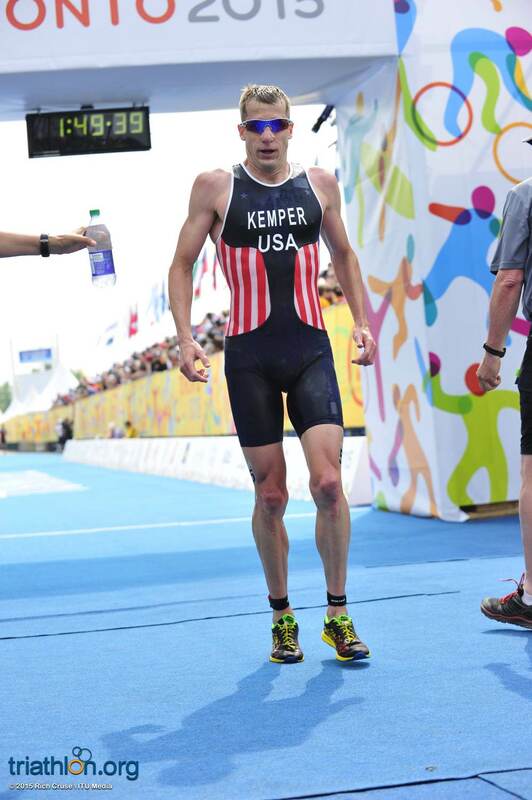 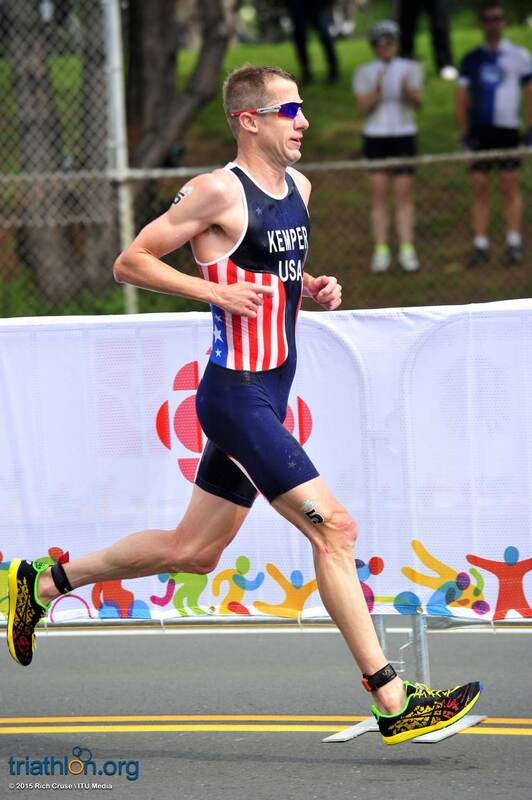 With the Olympic qualifying spot on the line, the title may not mean more to anyone more than Hunter Kemper (USA). 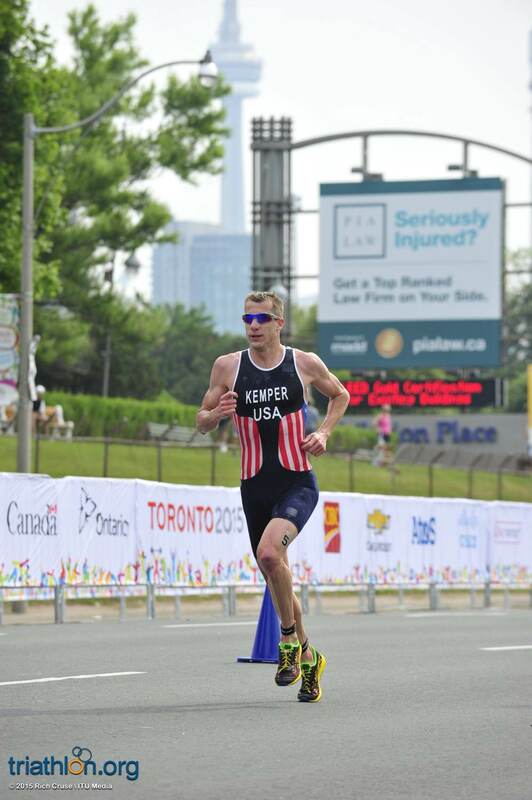 With the most experience on the start list, Kemper is looking become the first triathlete to race in every Olympics since the sport was introduced to the Games in 2000. 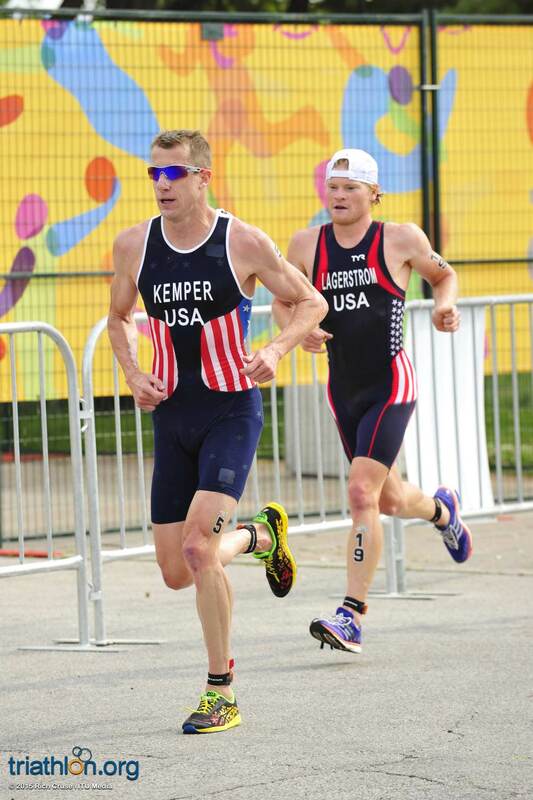 While a win from Kemper would only guarantee a spot for the US, and not Kemper himself, the victory would put the veteran in the running to return to his fifth Olympic Games. 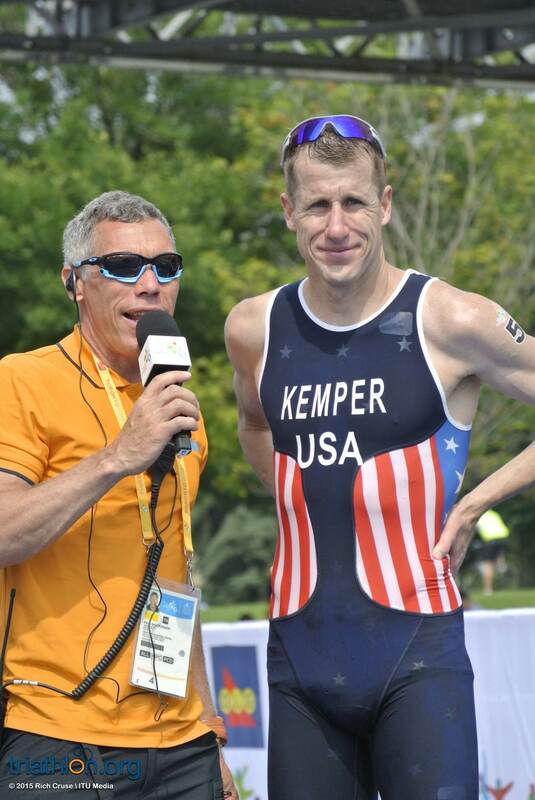 Joining Kemper, who won the 2003 and silver in 1999, will be Kevin McDowell, who has made an incredible comeback after beating cancer just years ago, as well as Eric Lagerstrom. 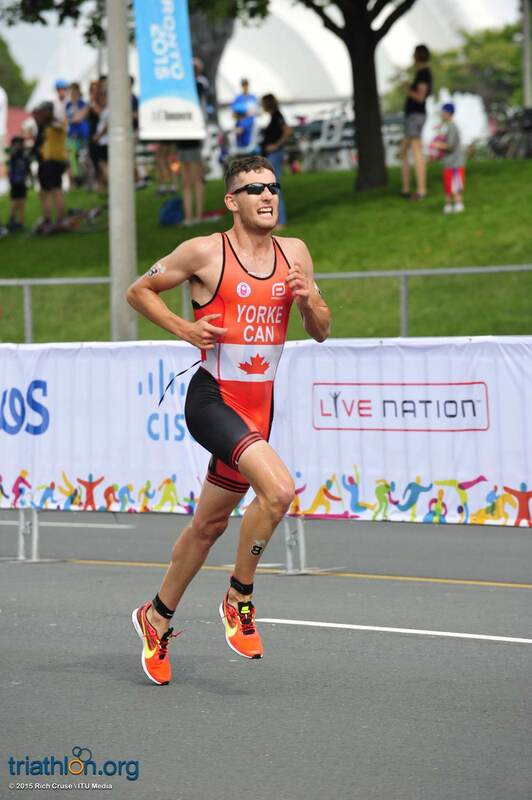 Canada’s Kyle Jones is the name to beat for the host country. 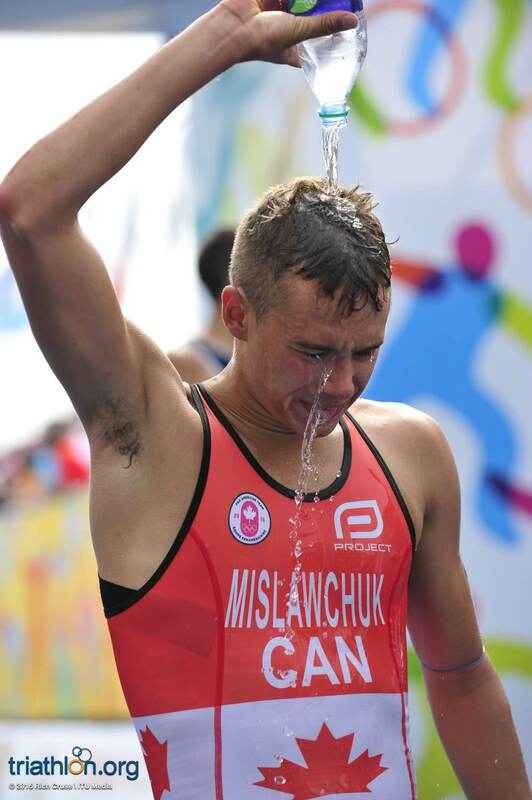 Jones, an Olympian that used to train with two-time Olympic medallist Simon Whitfield, leads a younger but ambitious team of Andrew Yorke and Tyler Mislawchuk. 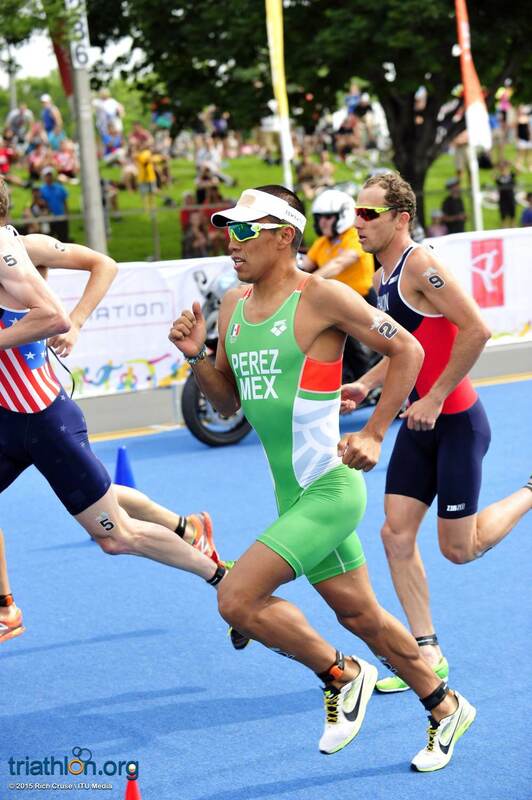 Yorke impressed at the Commonwealth Games last year when he finished just off the podium. 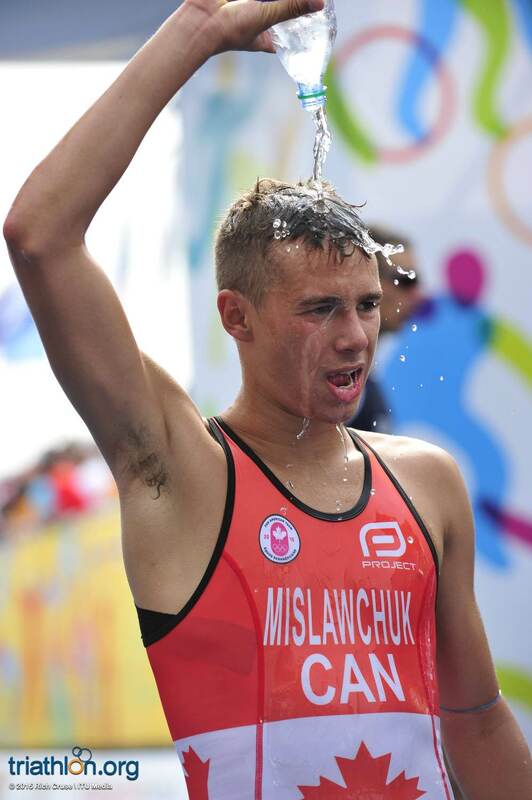 He’ll be looking to upgrade his fourth-place for a podium at this International Games. 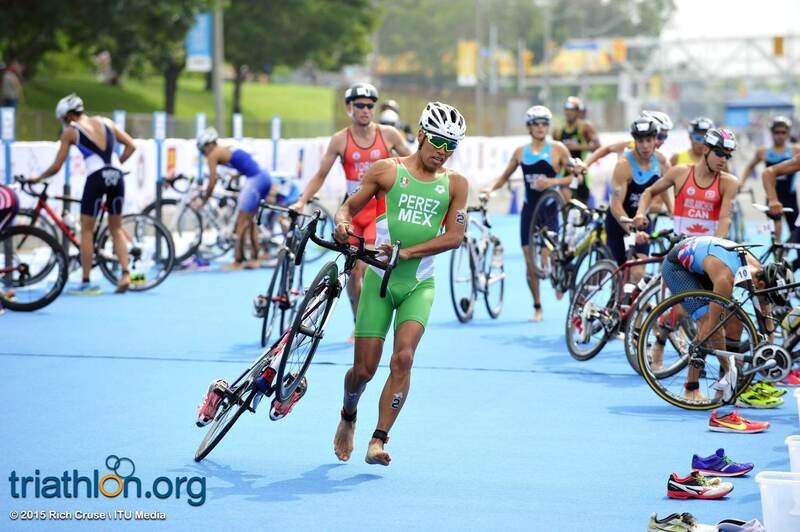 Brazil’s hope for clenching a spot in Rio could be in the hands of defending Pan American Champion Reinaldo Colucci. 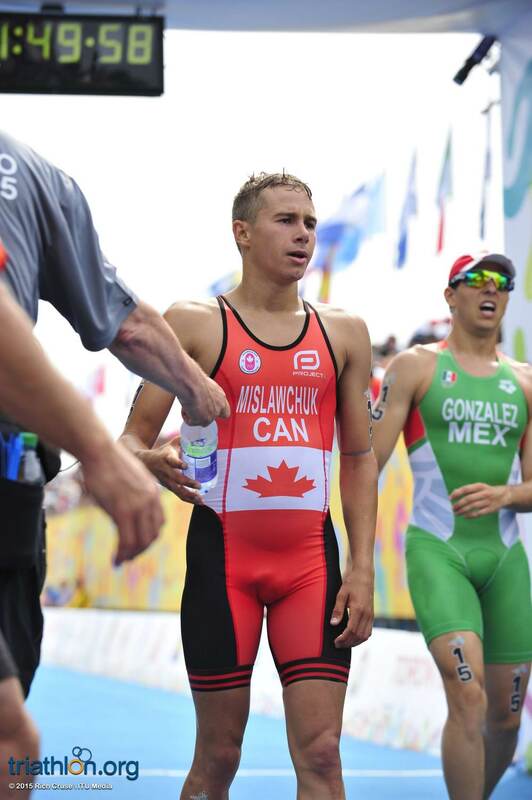 He started his 2015 season last month in the Huatulco World Cup, but took 10th-place in the Grand Final in Edmonton last year with an incredible performance on the bike. 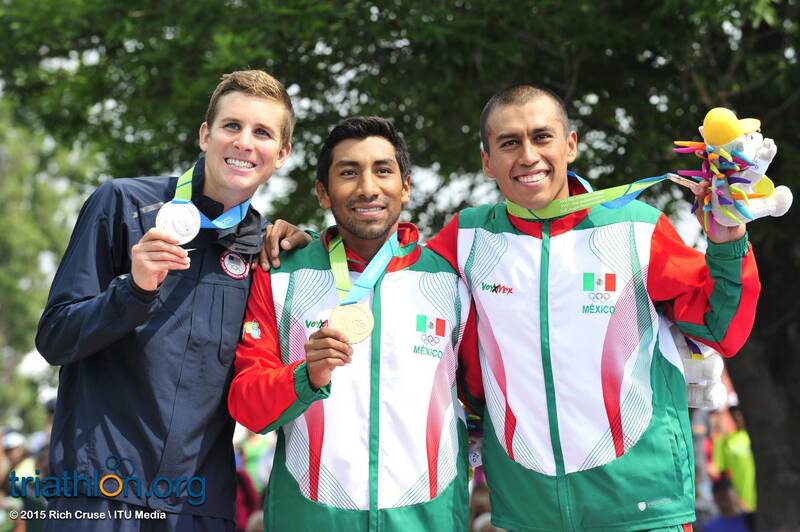 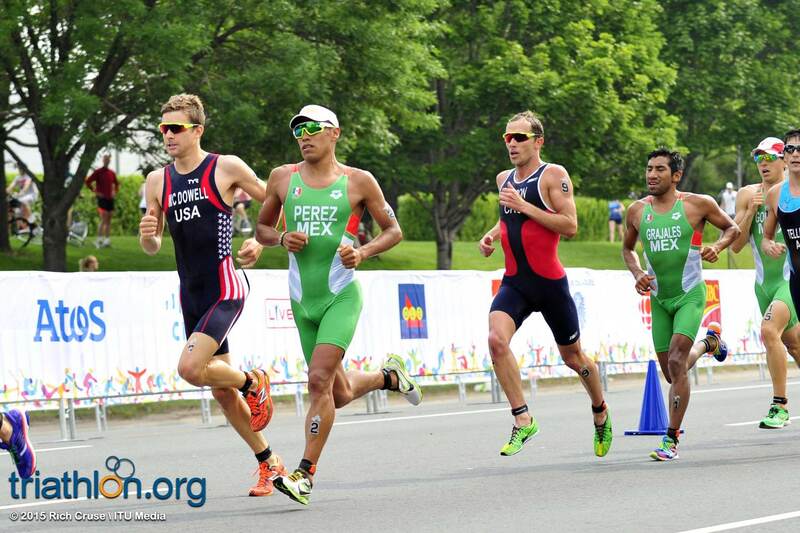 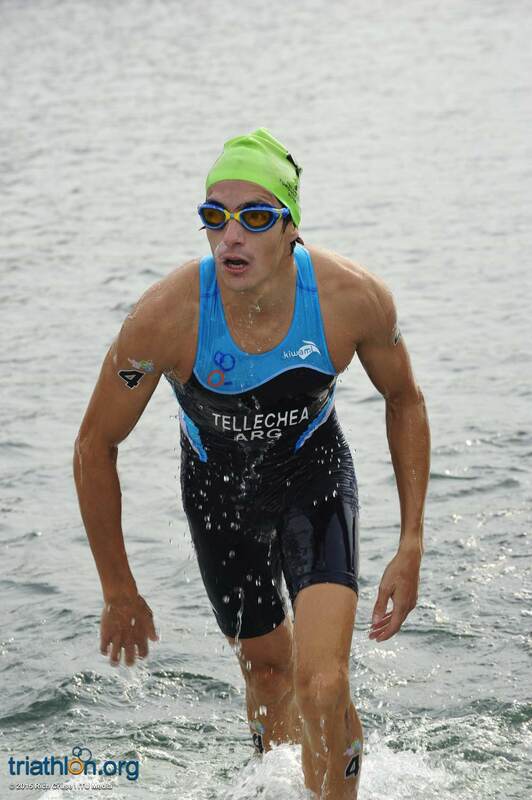 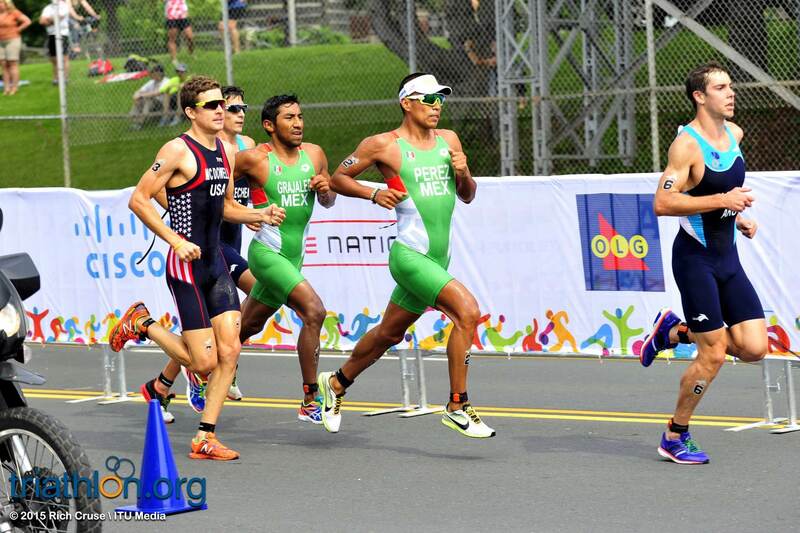 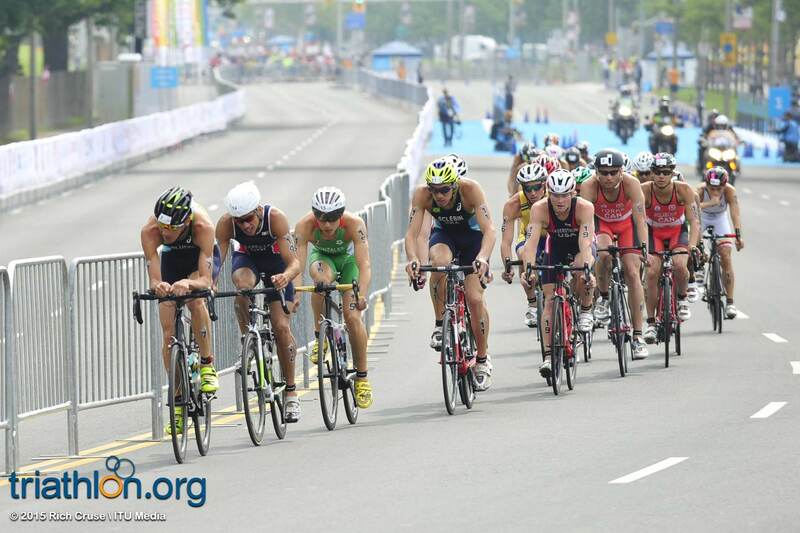 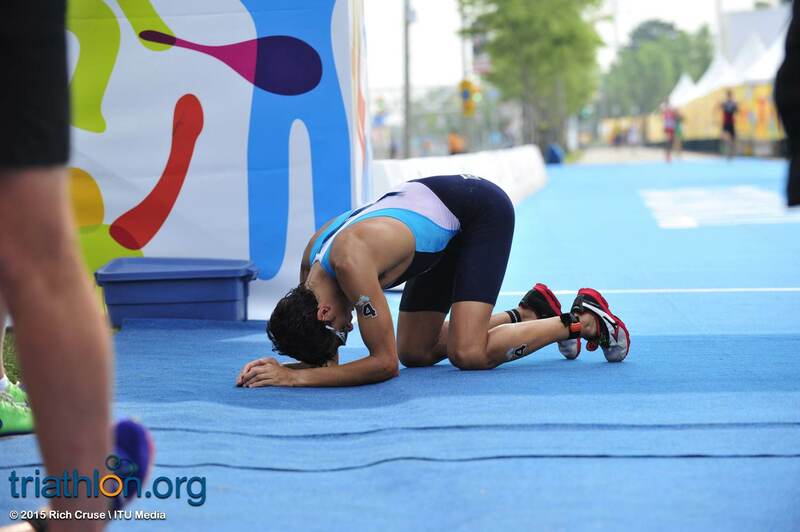 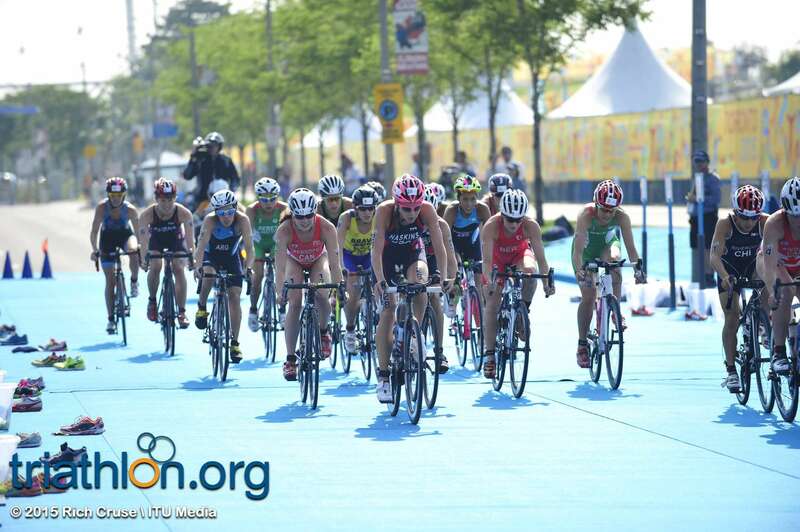 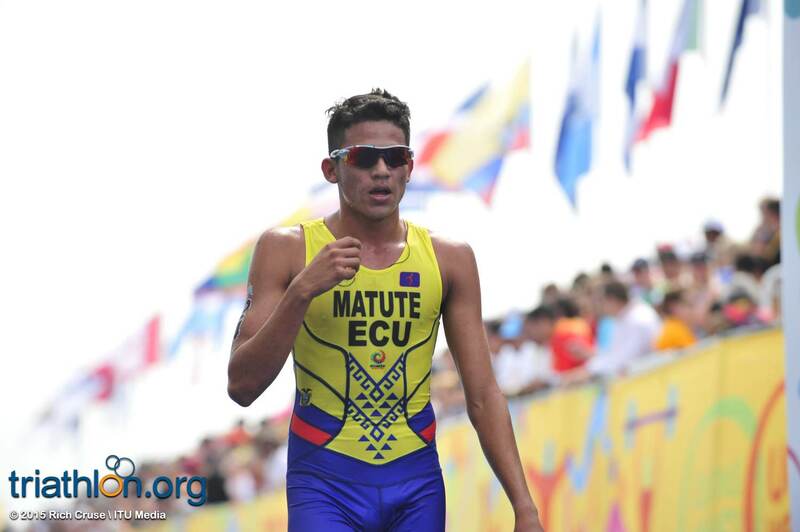 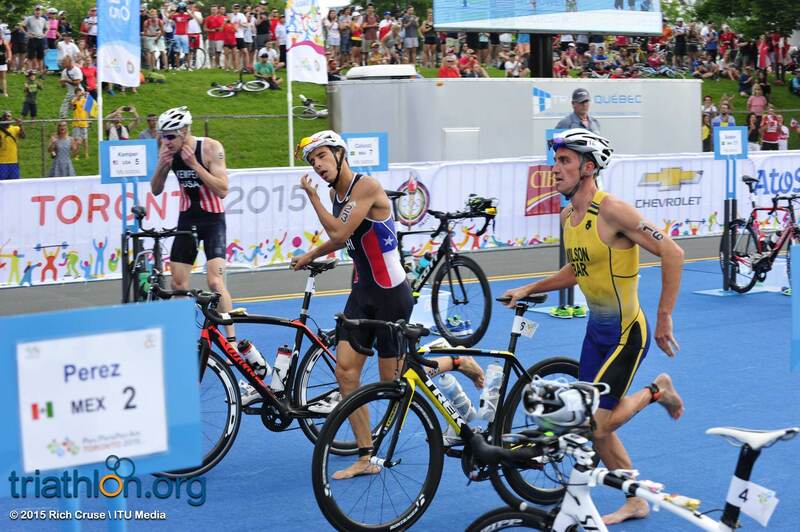 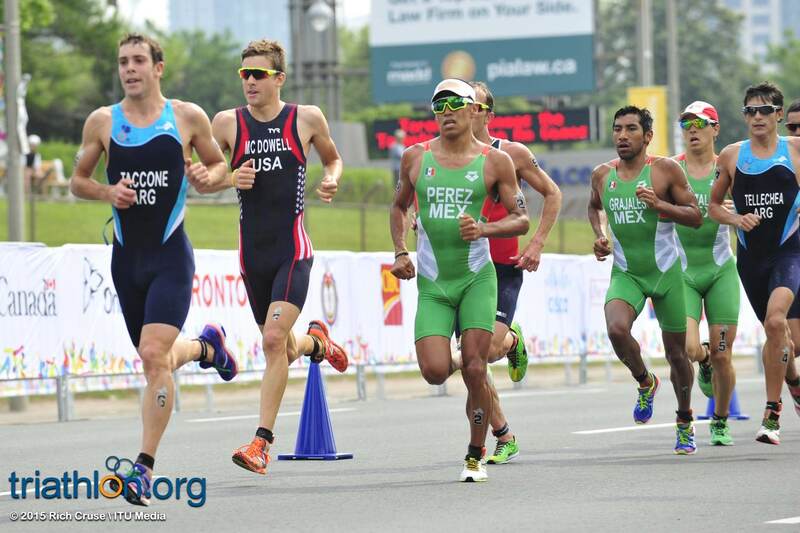 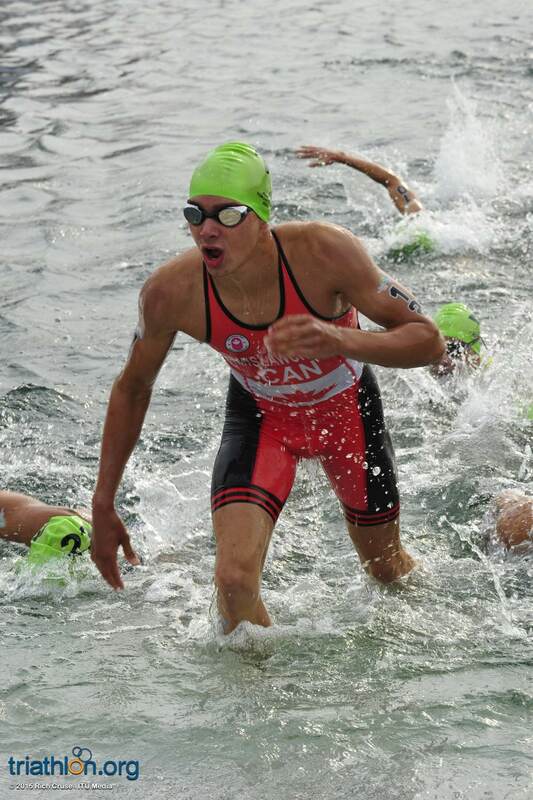 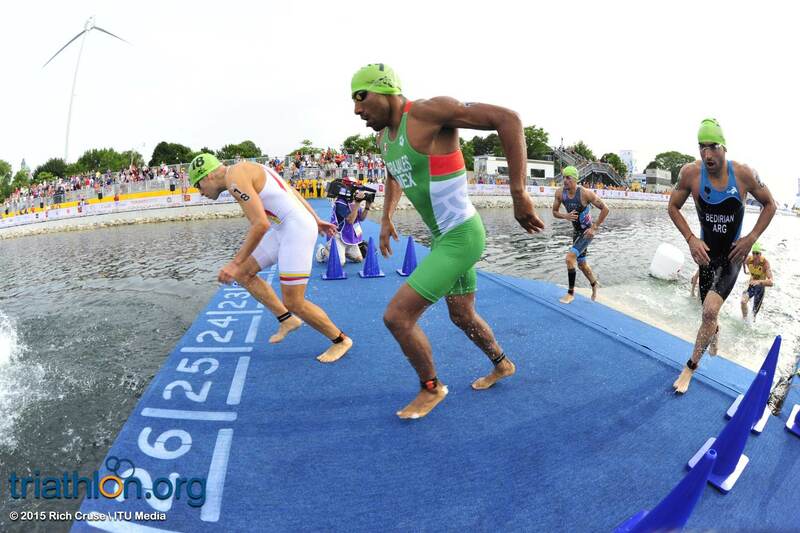 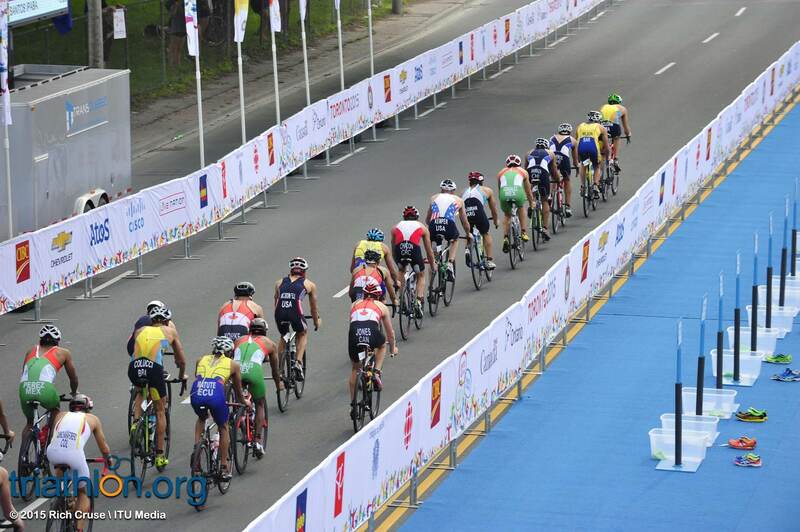 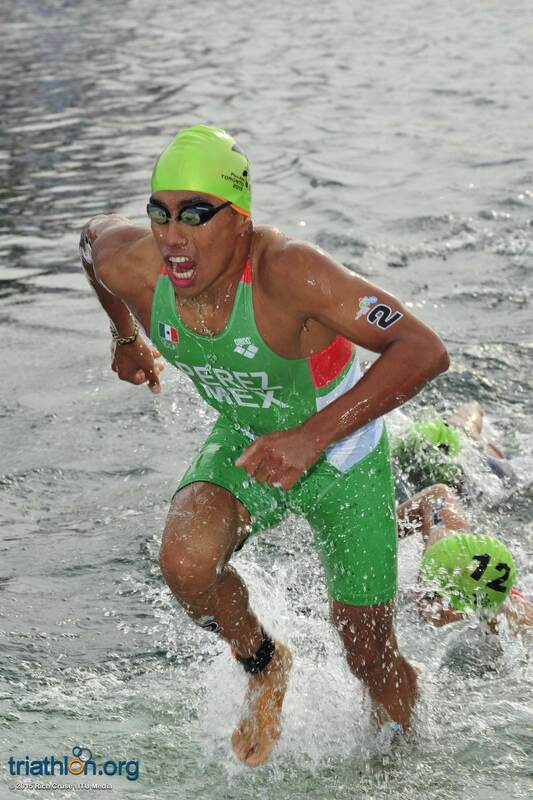 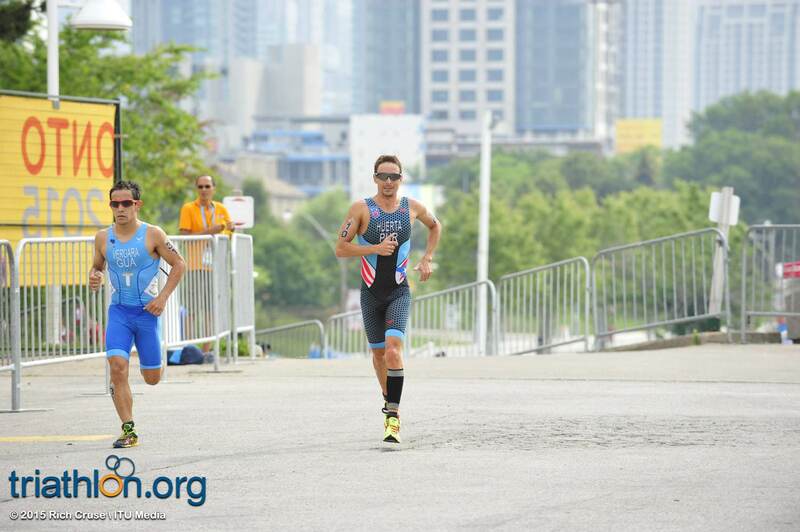 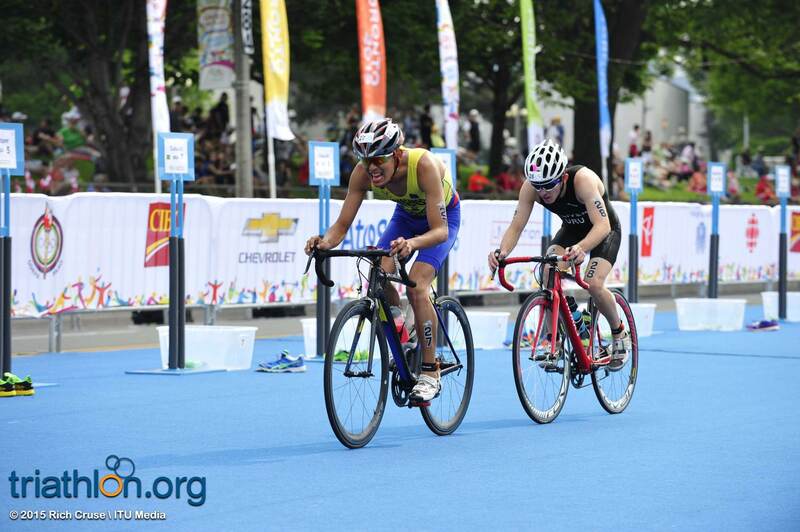 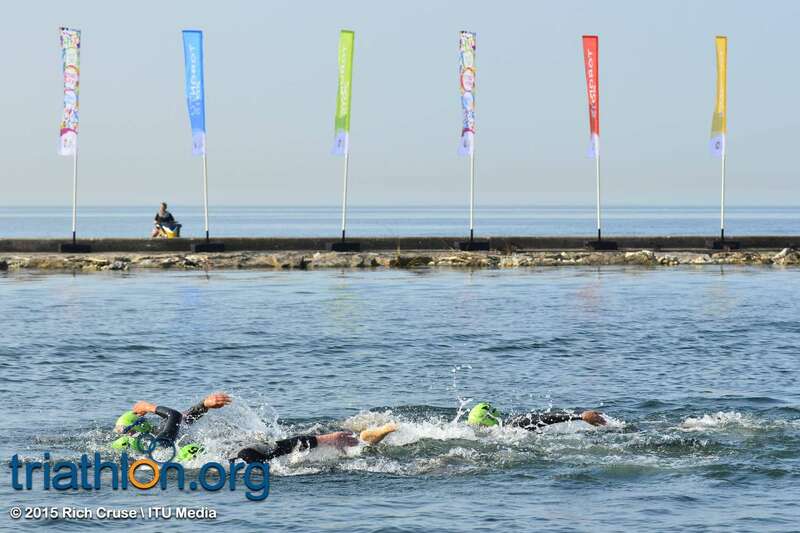 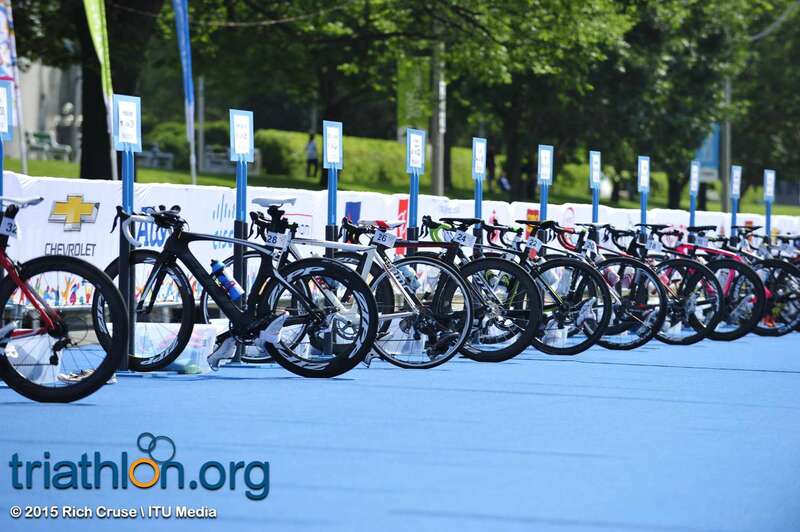 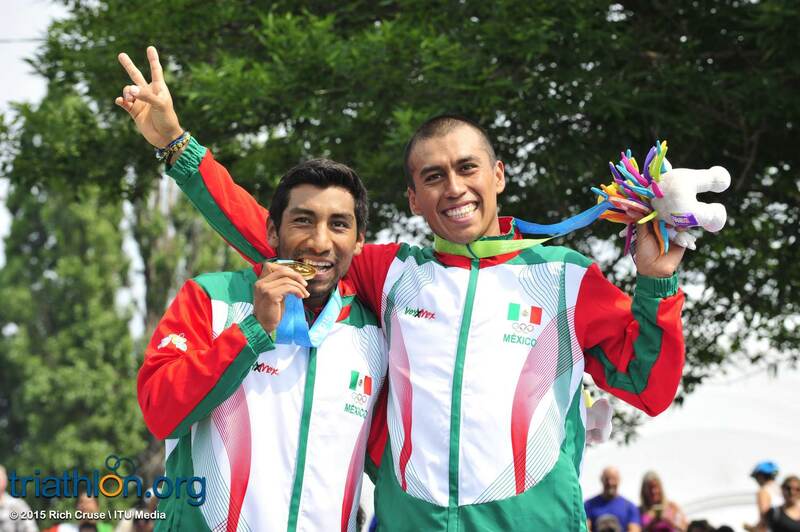 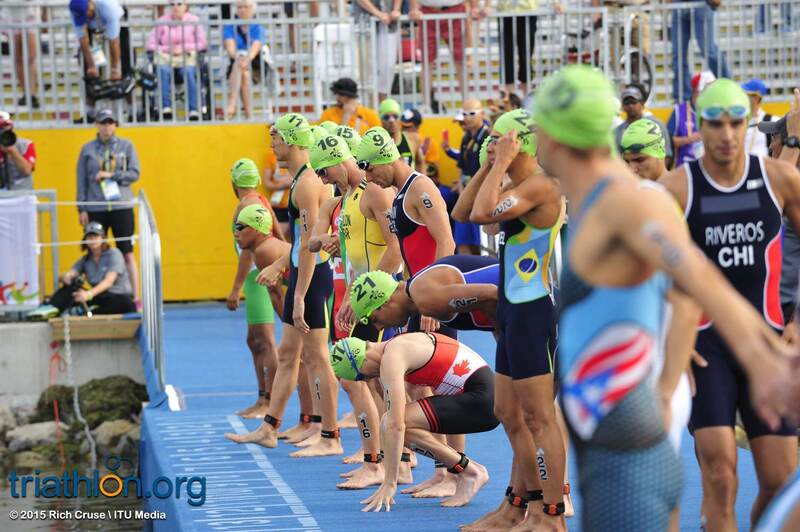 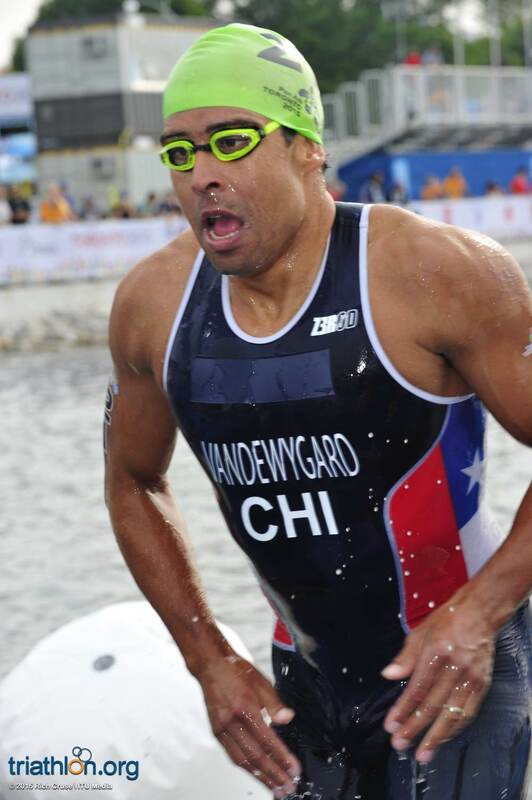 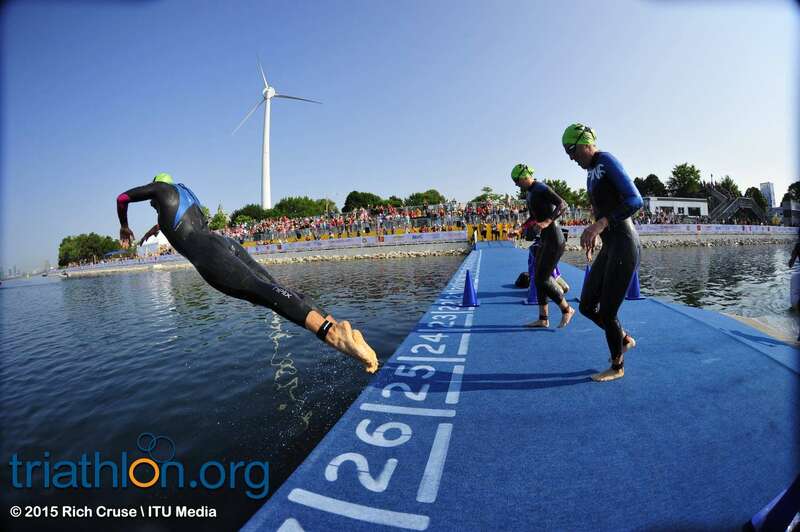 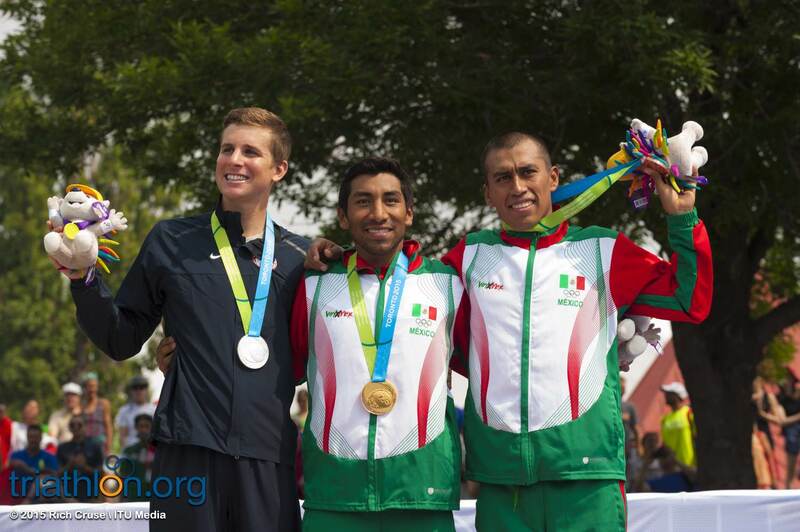 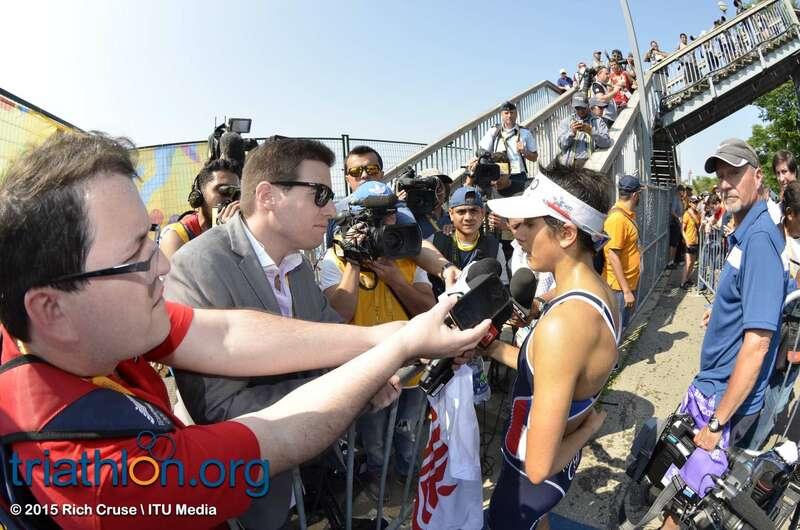 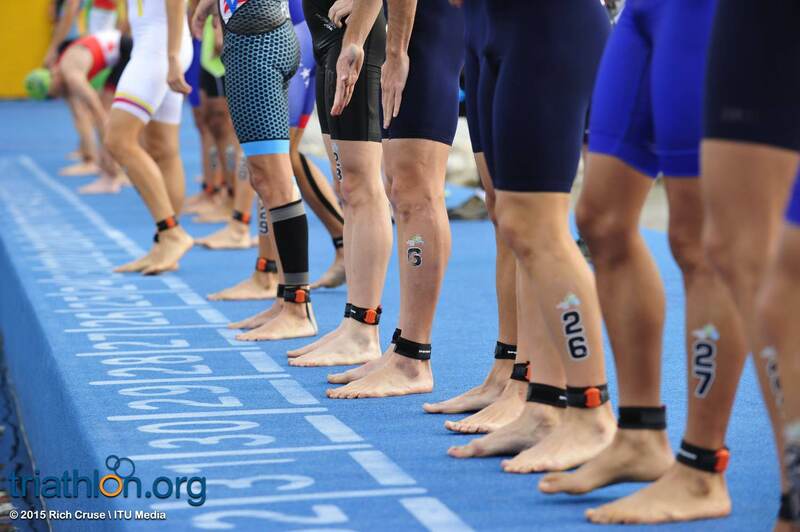 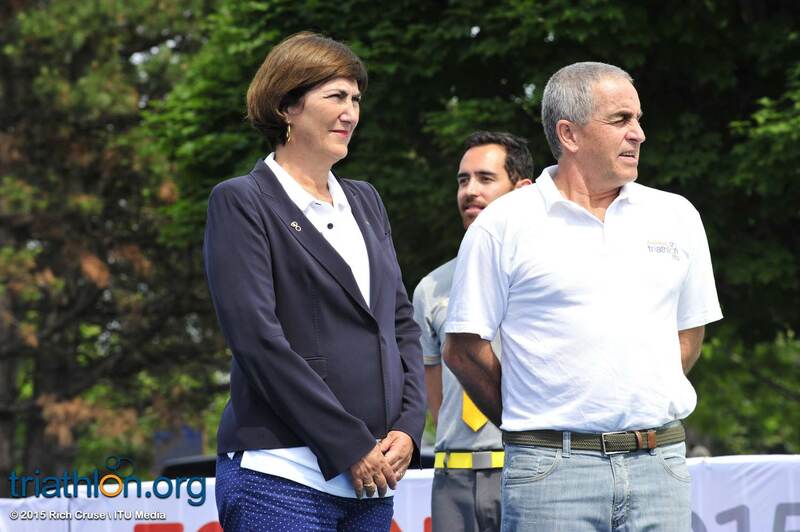 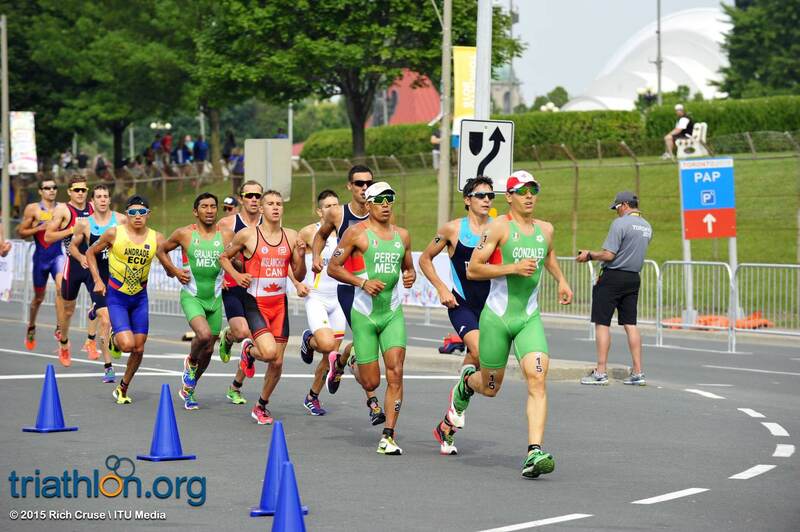 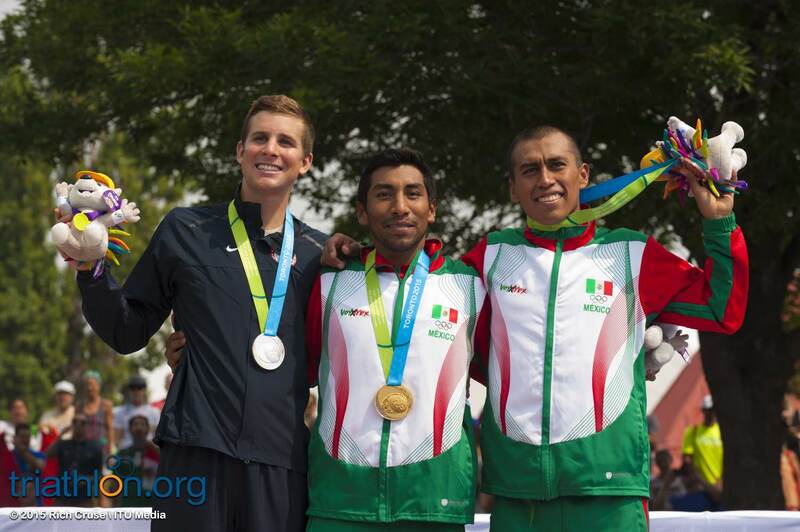 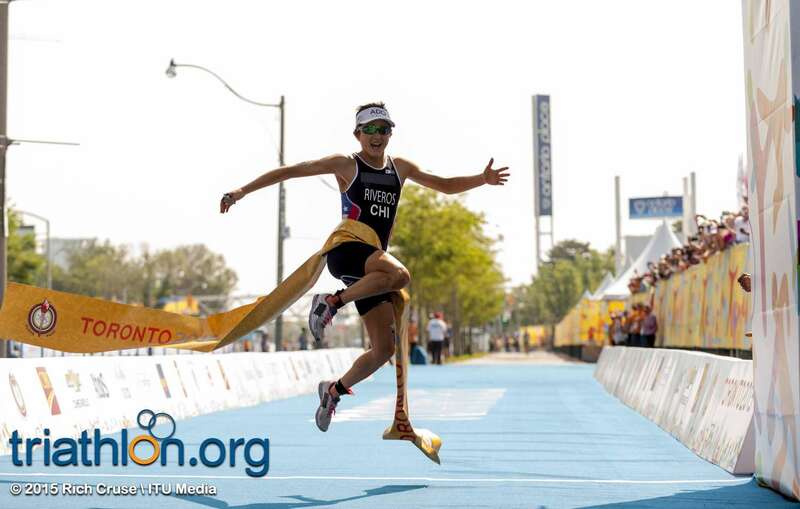 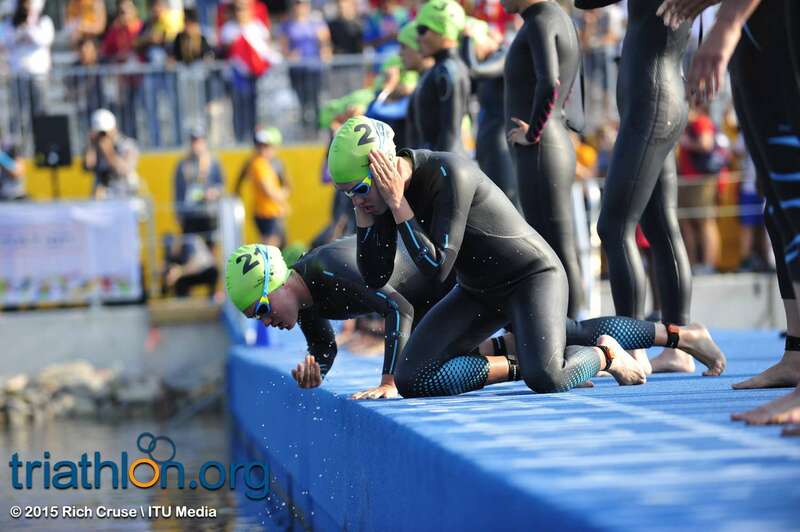 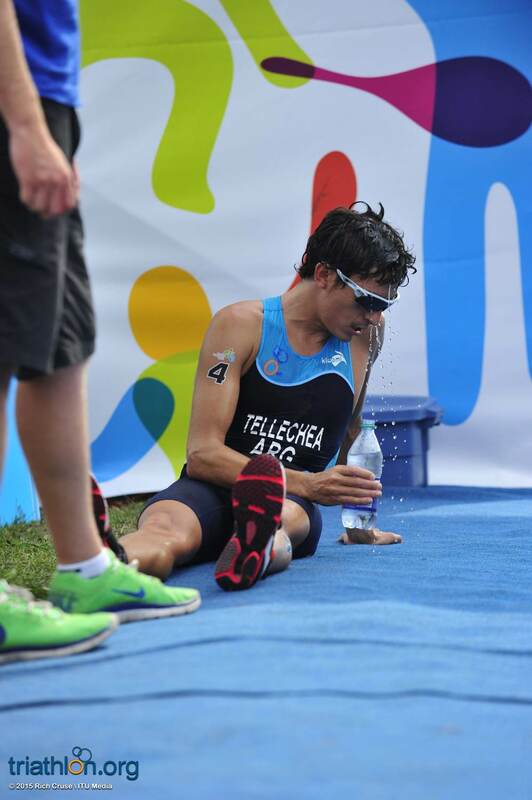 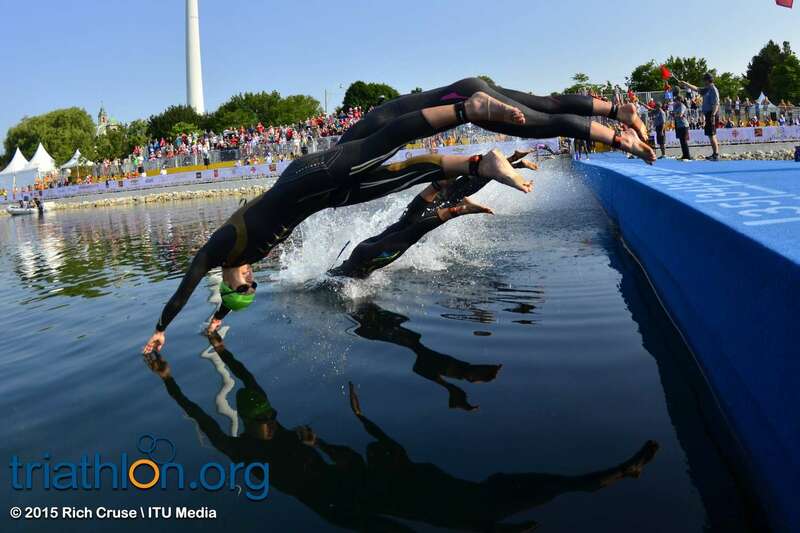 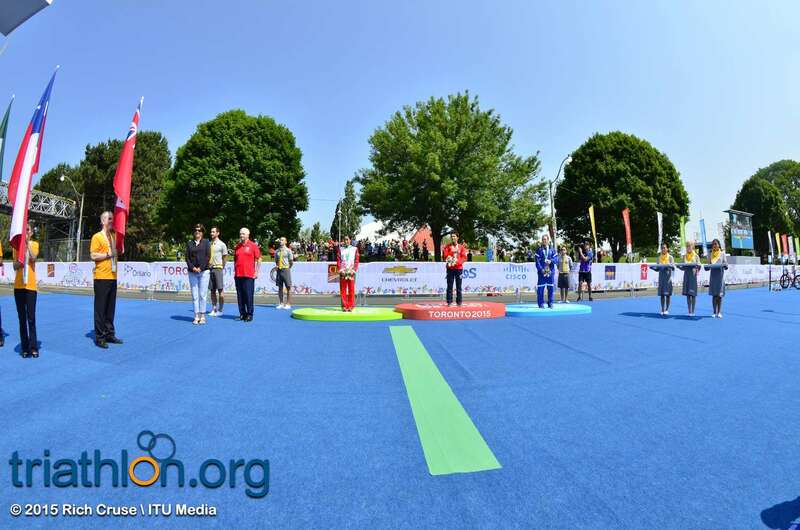 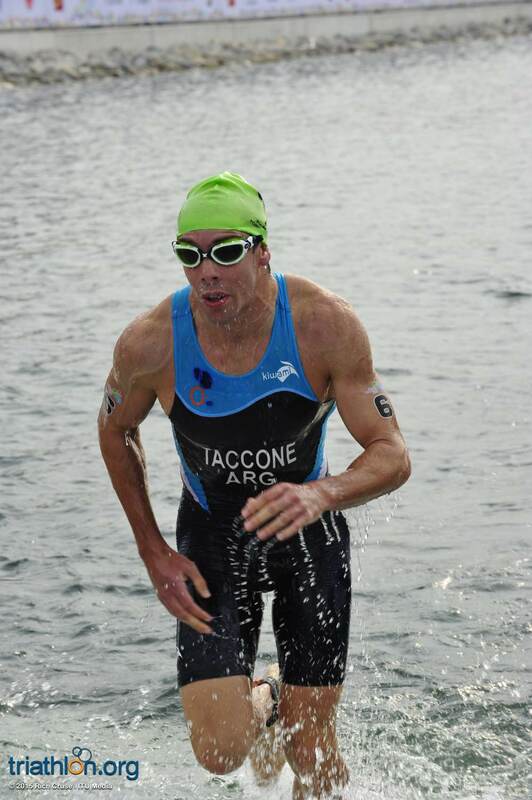 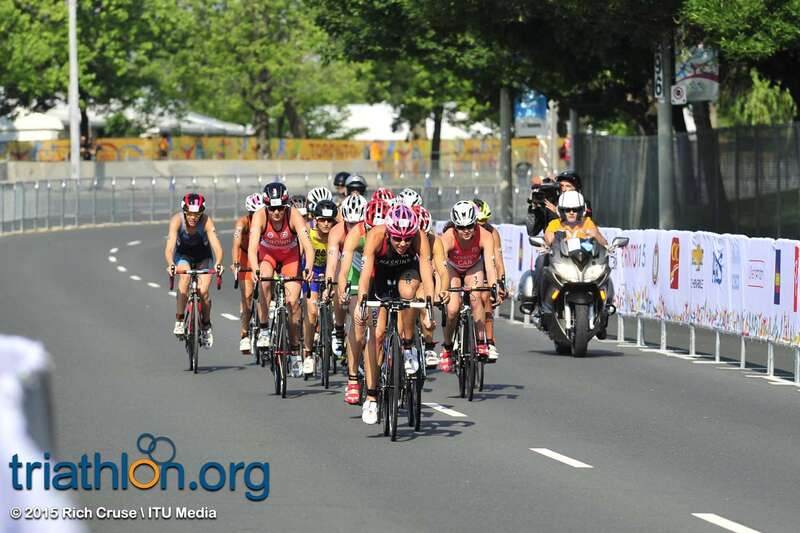 Lucciano Taccone (ARG) and Leonardo Chacon (CRC) have both made a strong showing in the ITU 2015 season and should be a factor this weekend, as could Manuel Huerta (PUR), who took silver in 2011 when he was racing for the US. 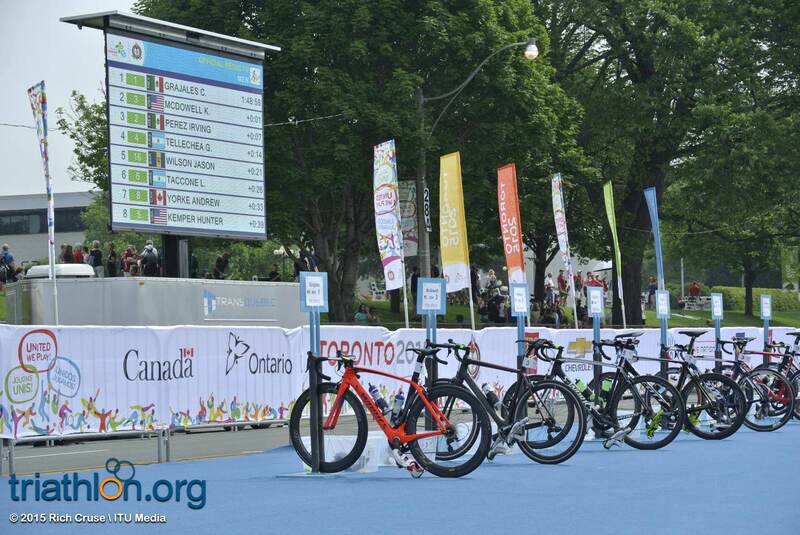 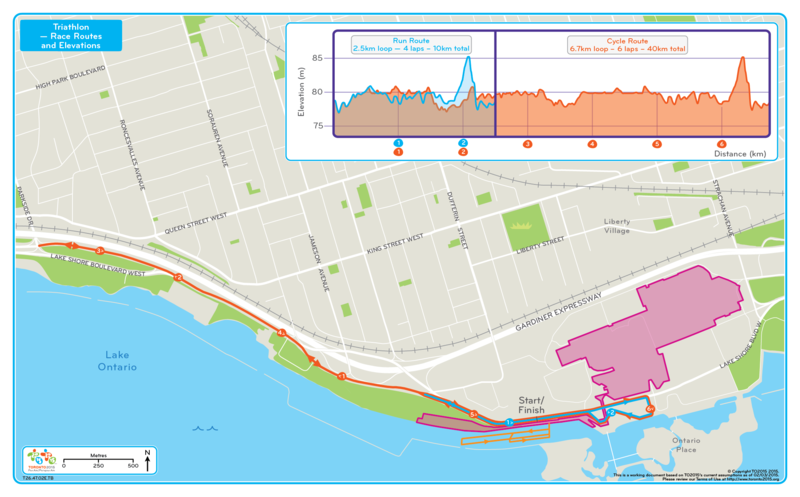 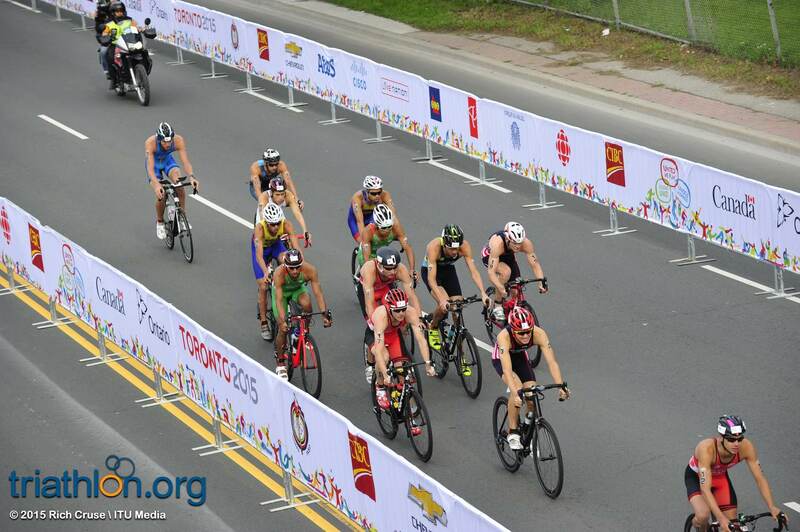 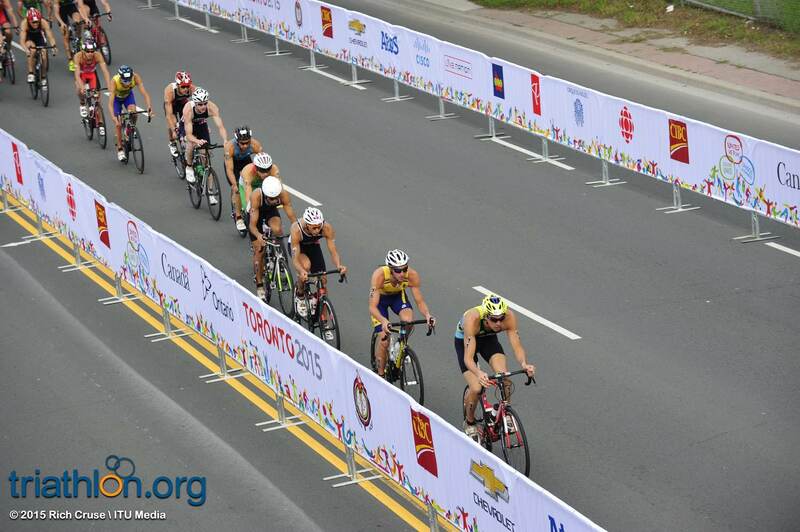 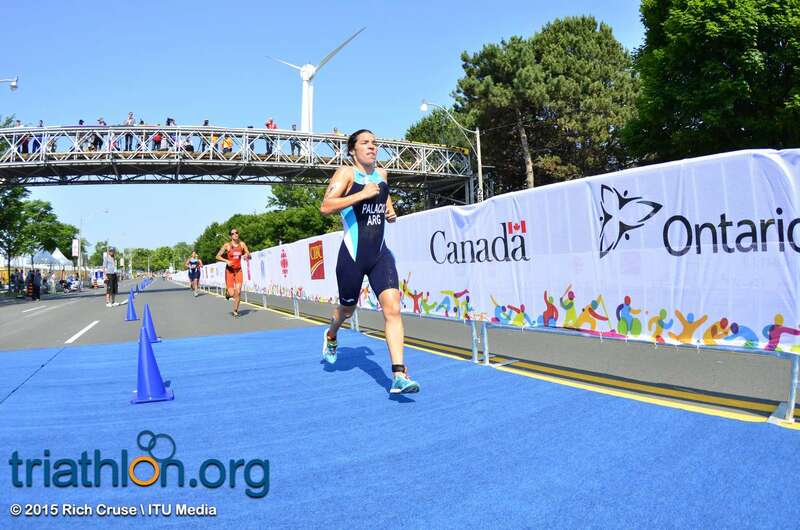 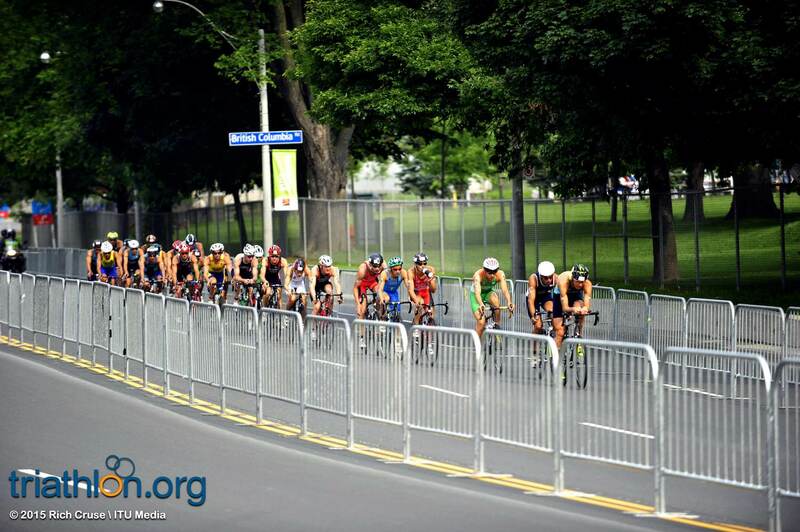 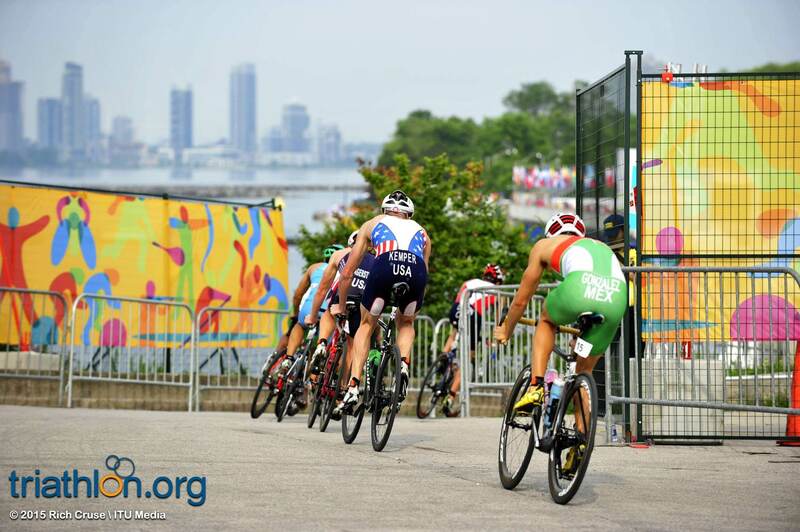 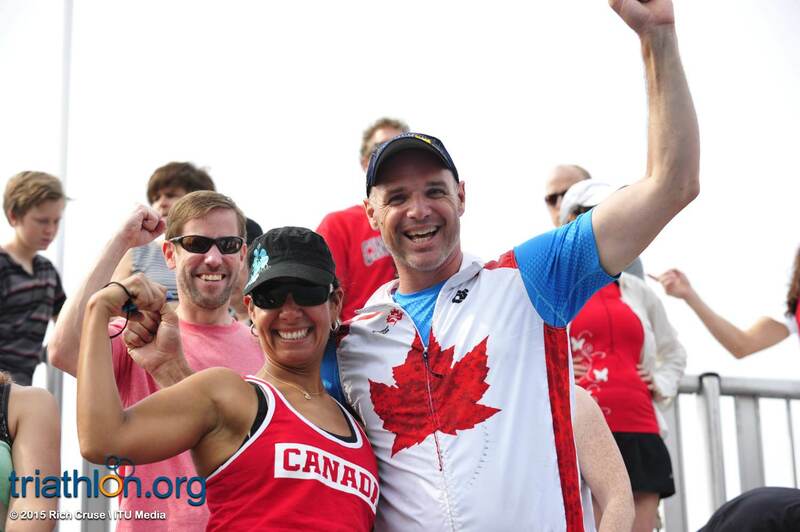 Leading the Pan Am races this weekend is the solid representation of families on the start lists for both the men and women. 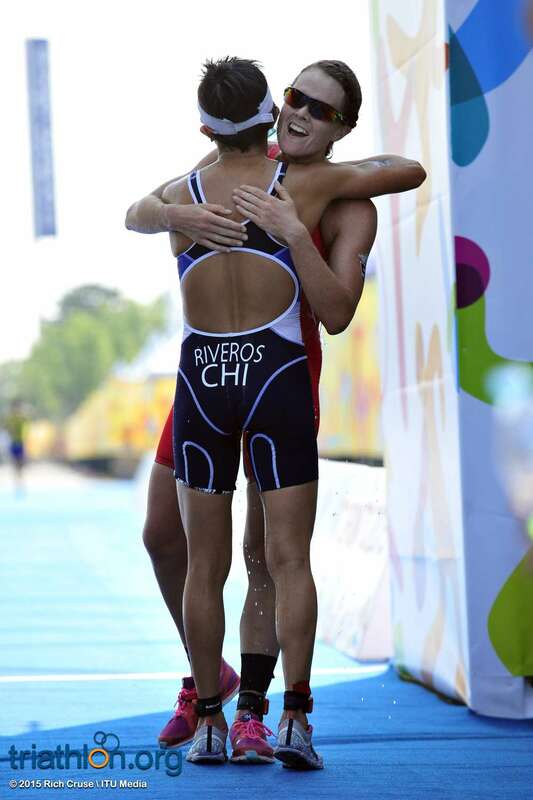 Chile’s Gaspar Riveros is the younger brother of Olympic standout Barbara Riveros, who are both attempting to be a brother-sister team in Rio. 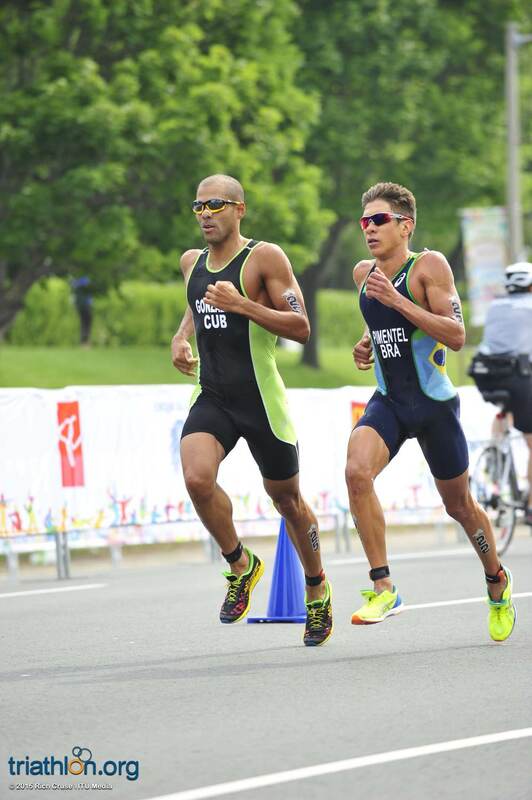 Brothers Carlos Alfredo Perez Bolsegui and Carlos Enrique Perez Bolsegui team up for Venezuela on the men’s side, while in the women’s race two sets of sisters mark the lineup. 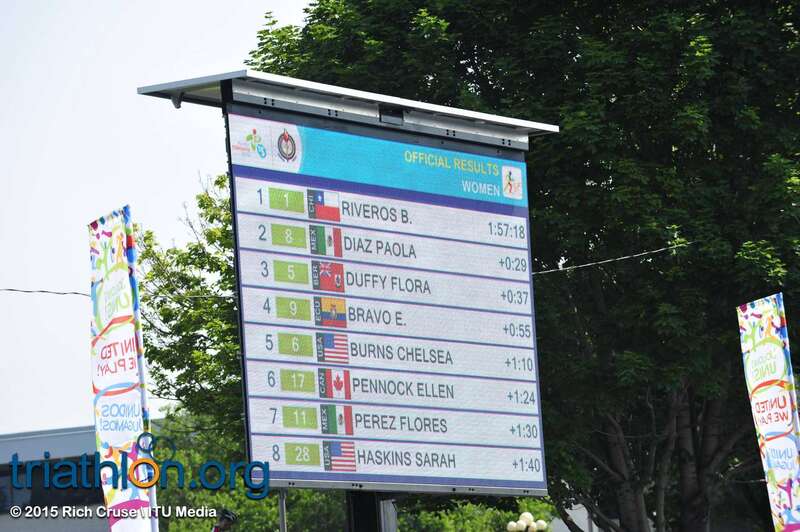 Melissa Rios and Militza Rios are representing Puerto Rico and Barbara Schoenfeld and Daniela Schoenfeld are set to race together for Guatemala. 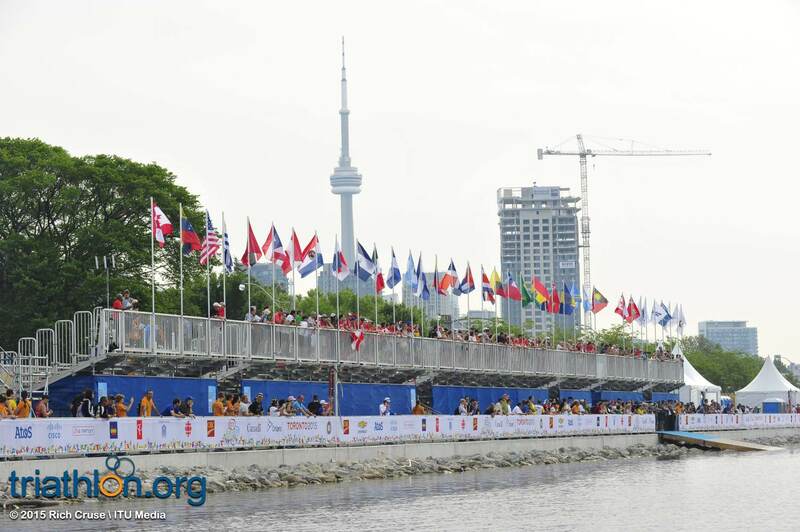 In total, Toronto will see the likes of four families compete.